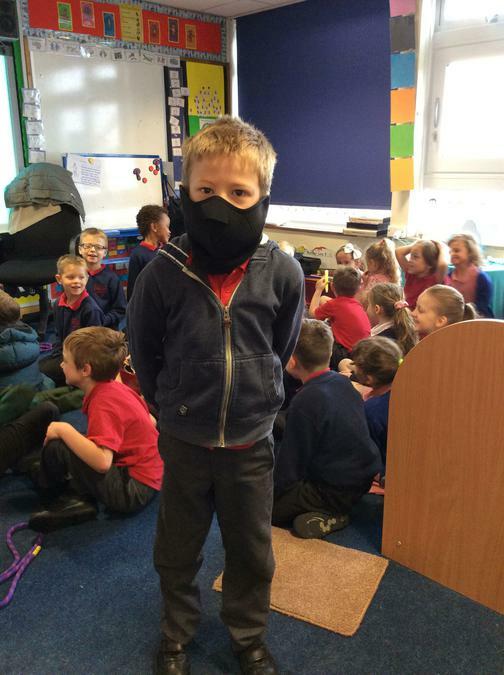 Hello and welcome to Class 4. 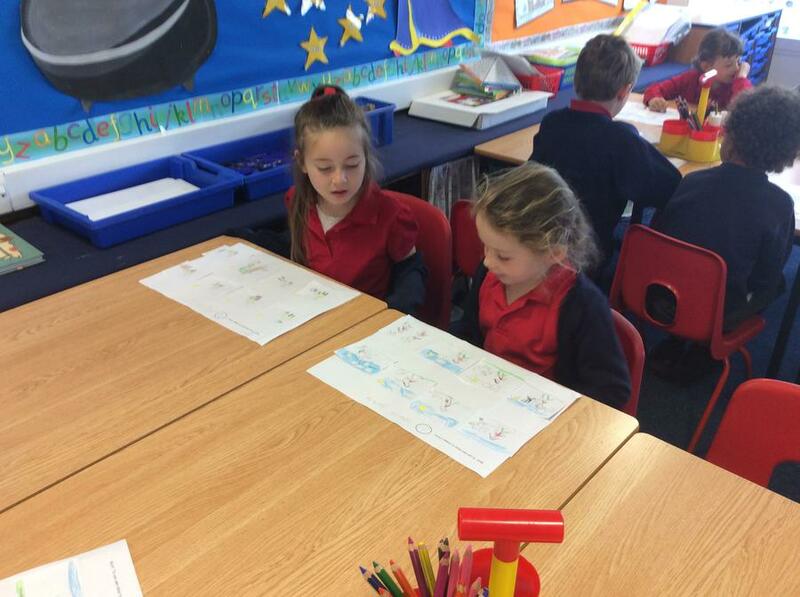 I am Mrs Broad the class teacher and Mrs Knapczyk is our teaching assistant. 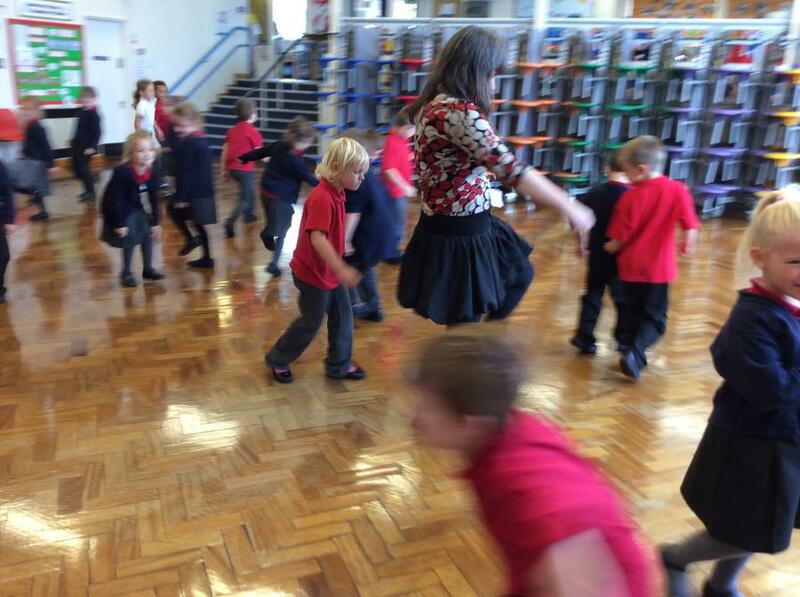 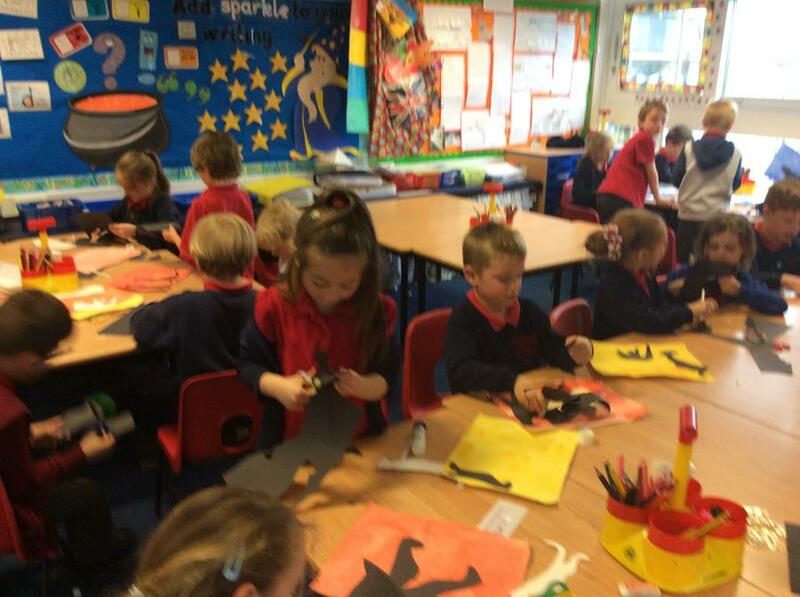 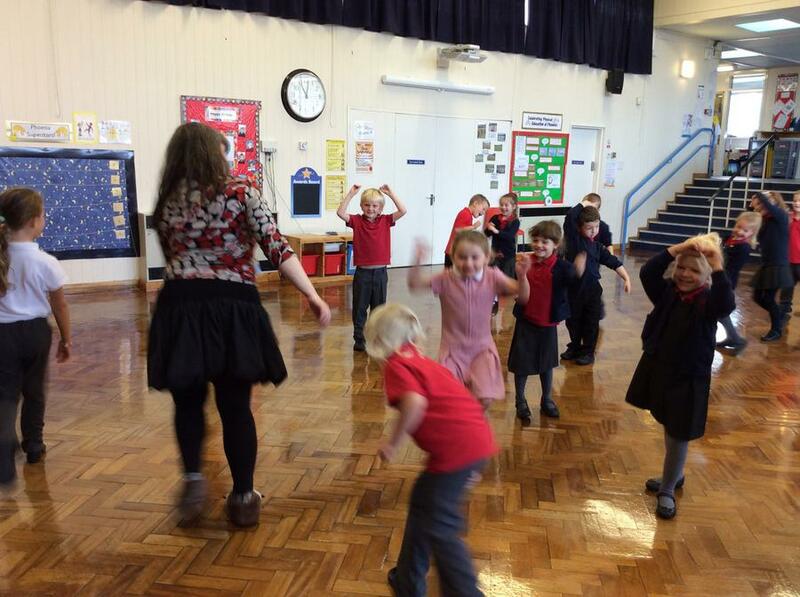 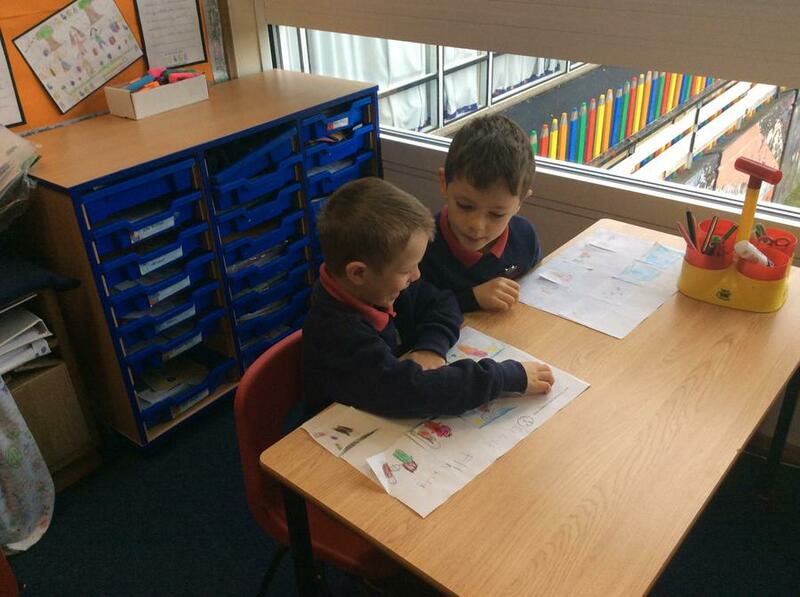 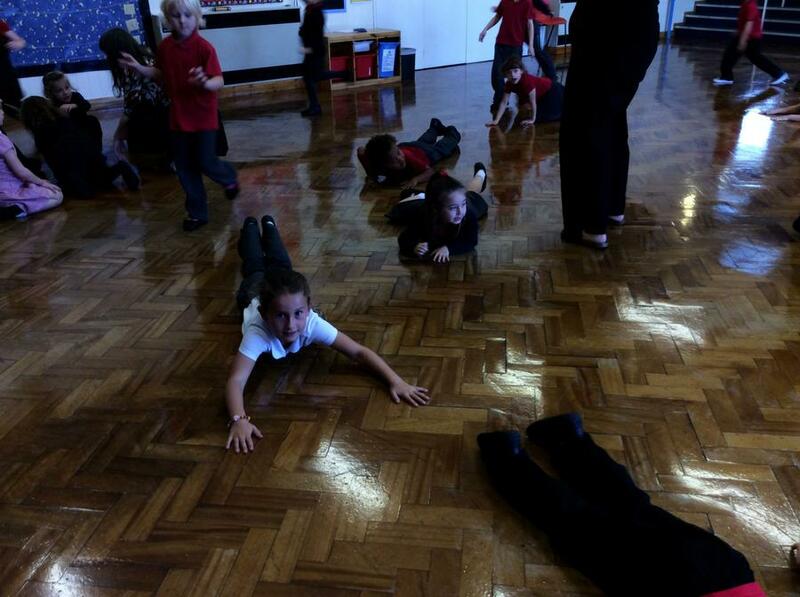 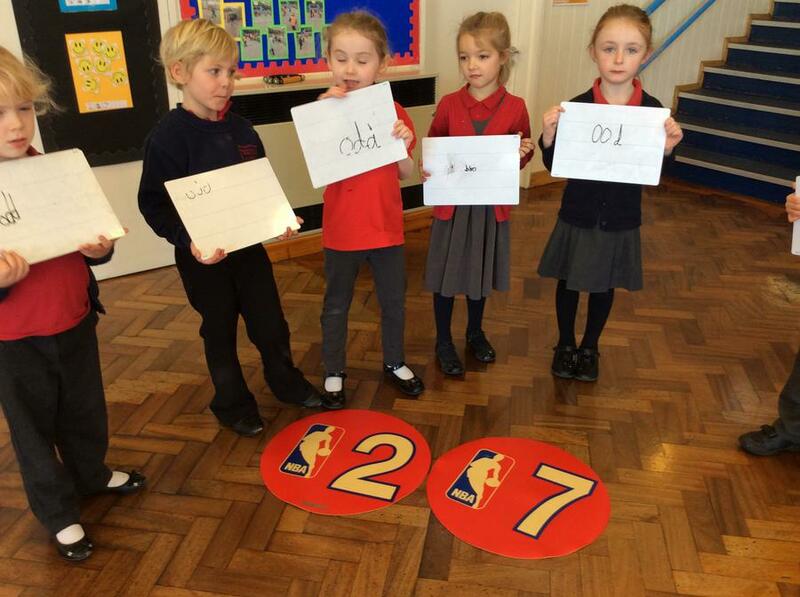 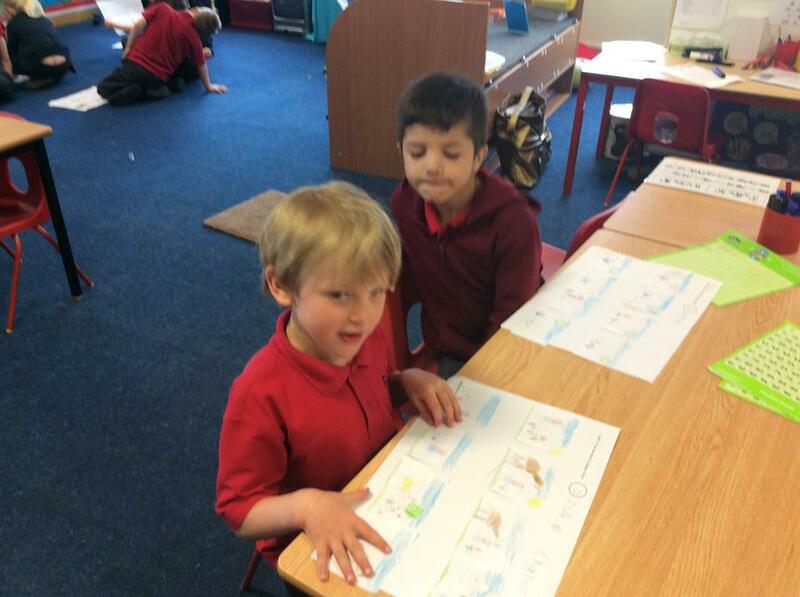 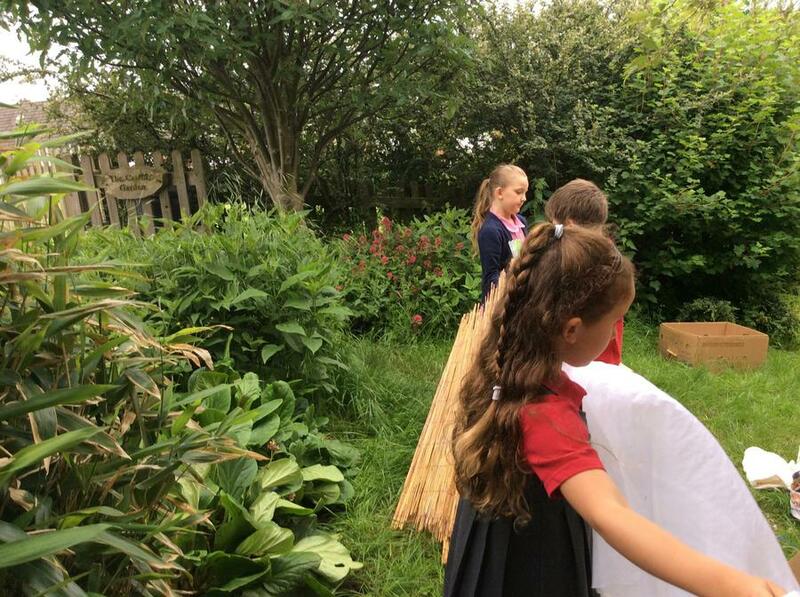 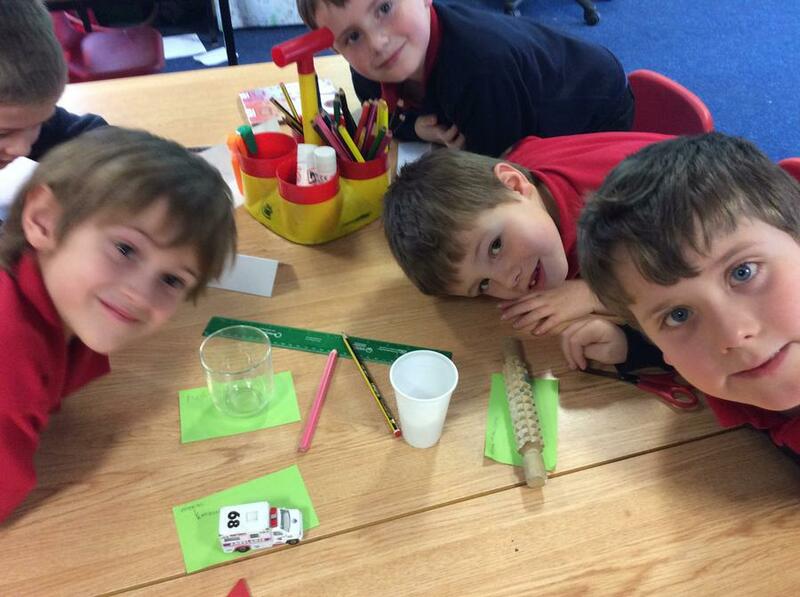 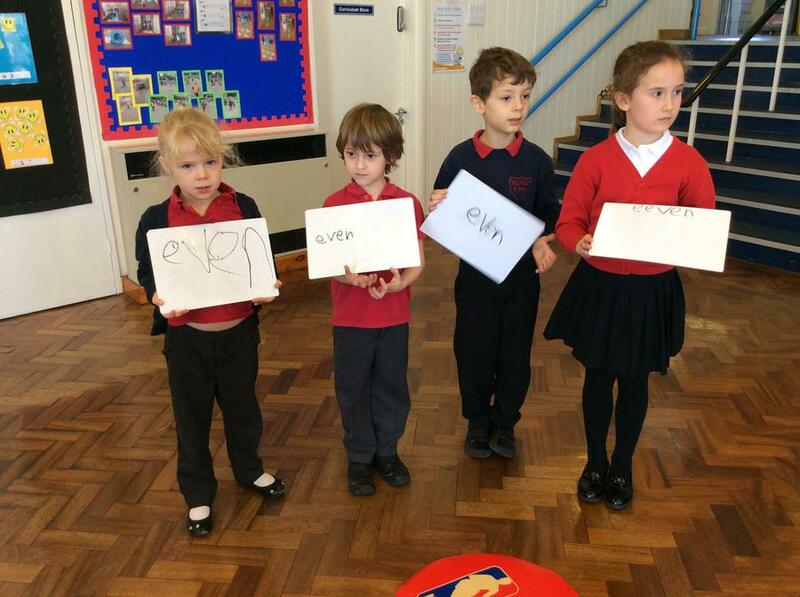 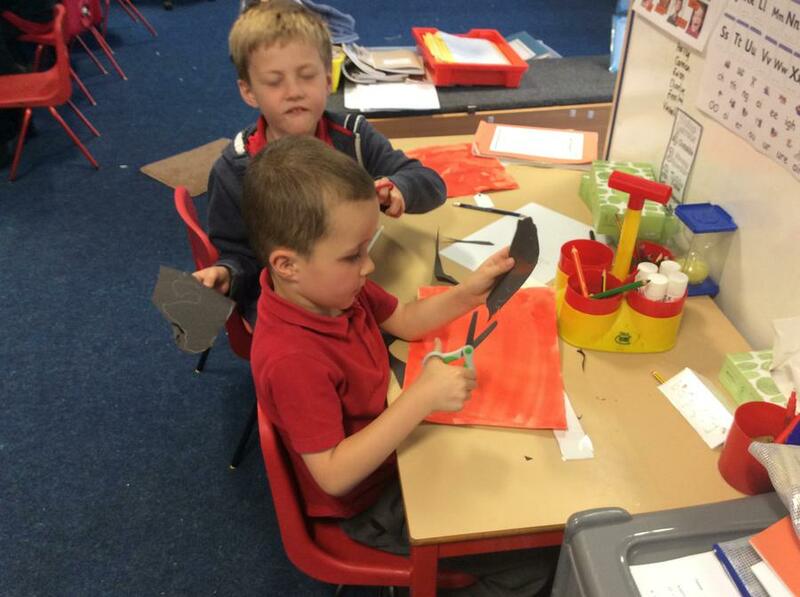 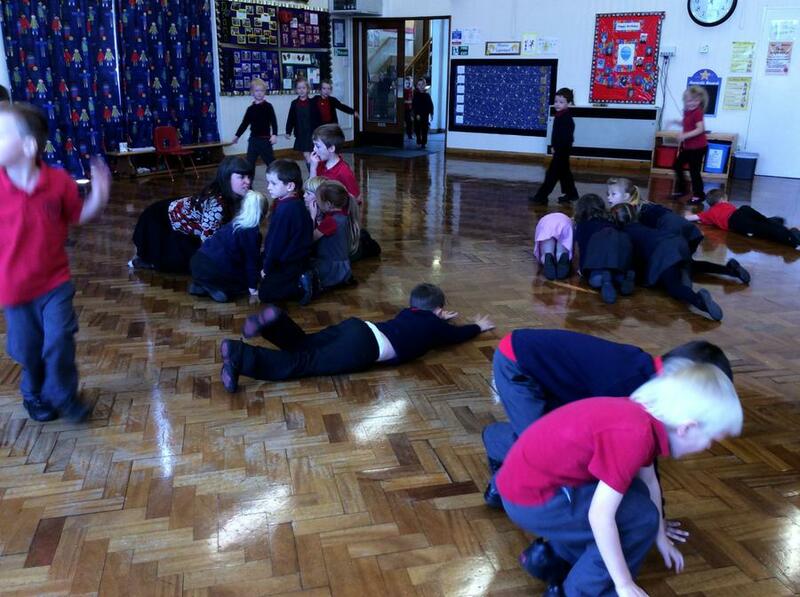 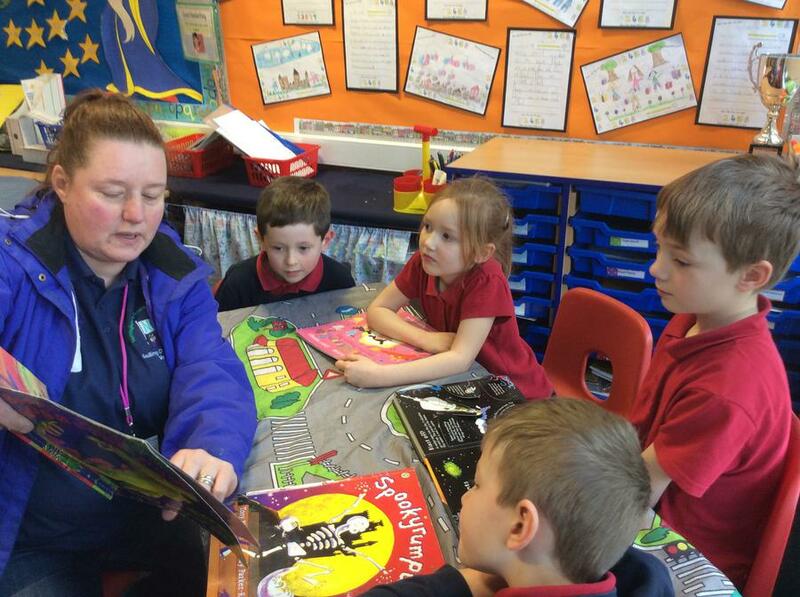 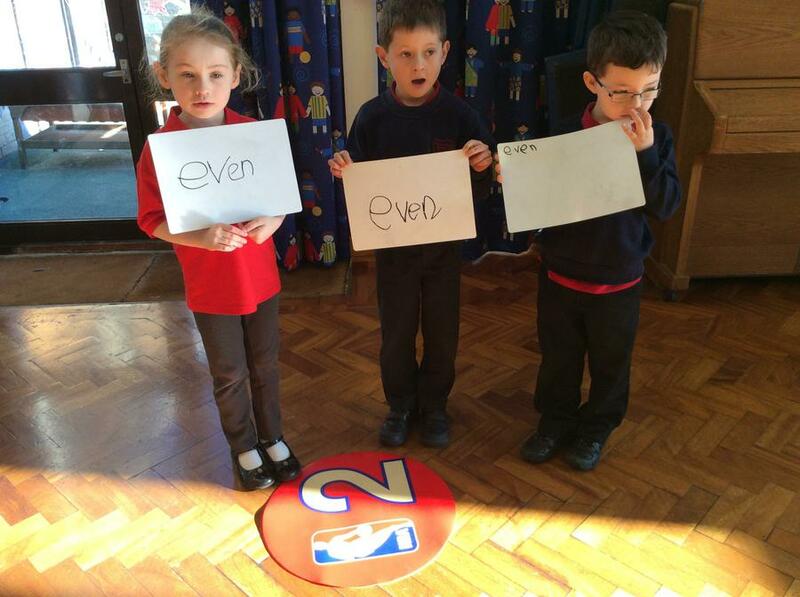 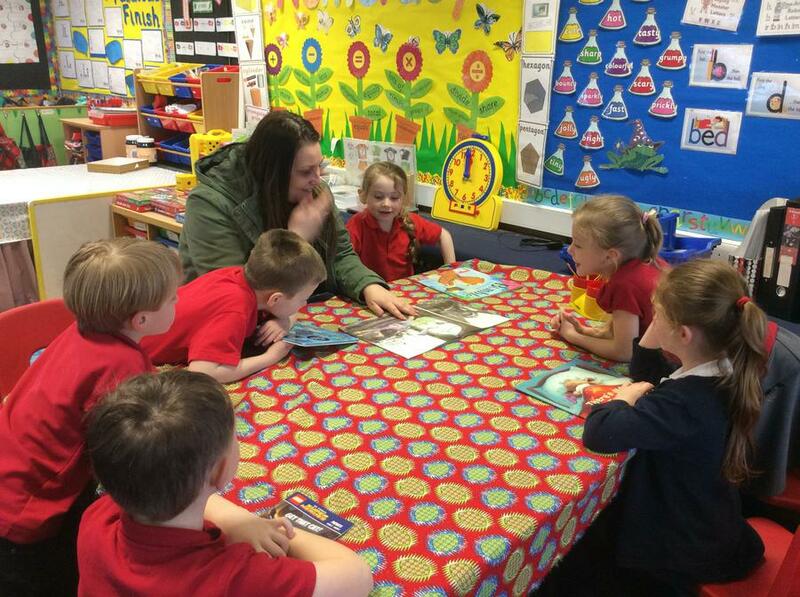 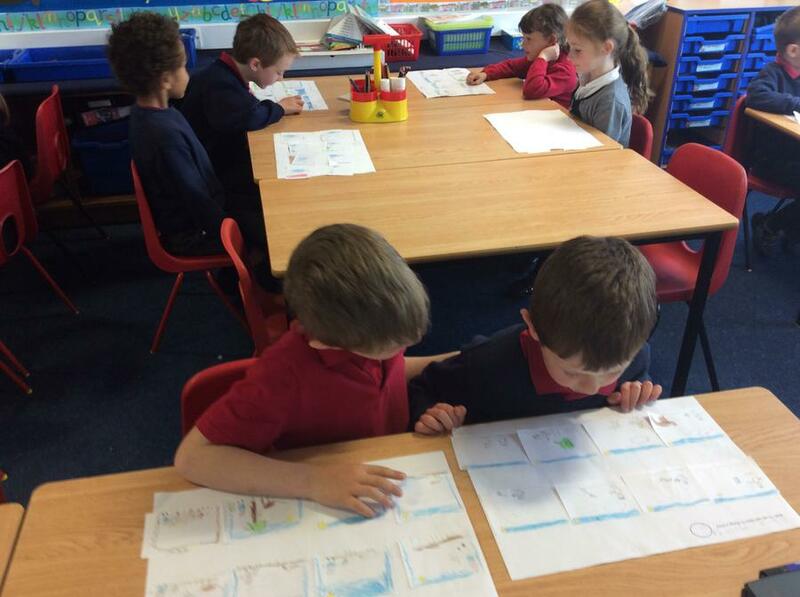 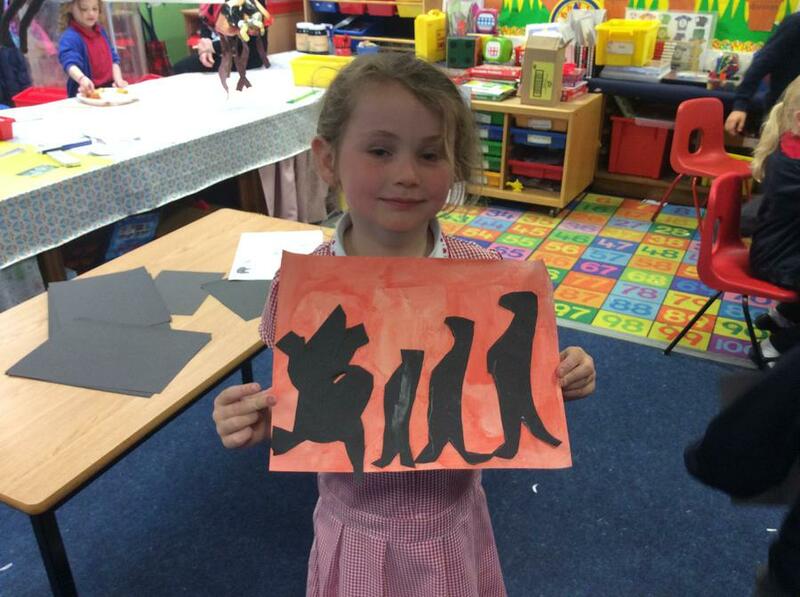 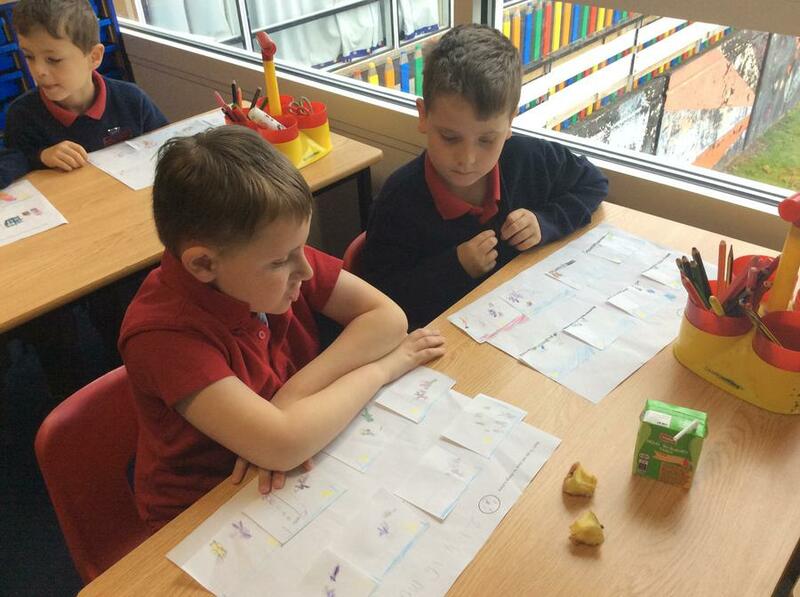 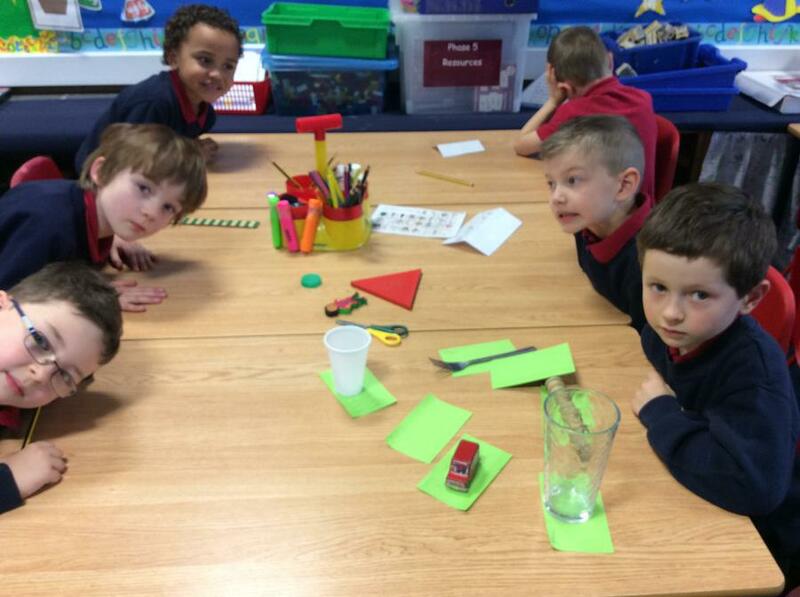 The children in class 4 are excited about learning new things and work extremely hard. 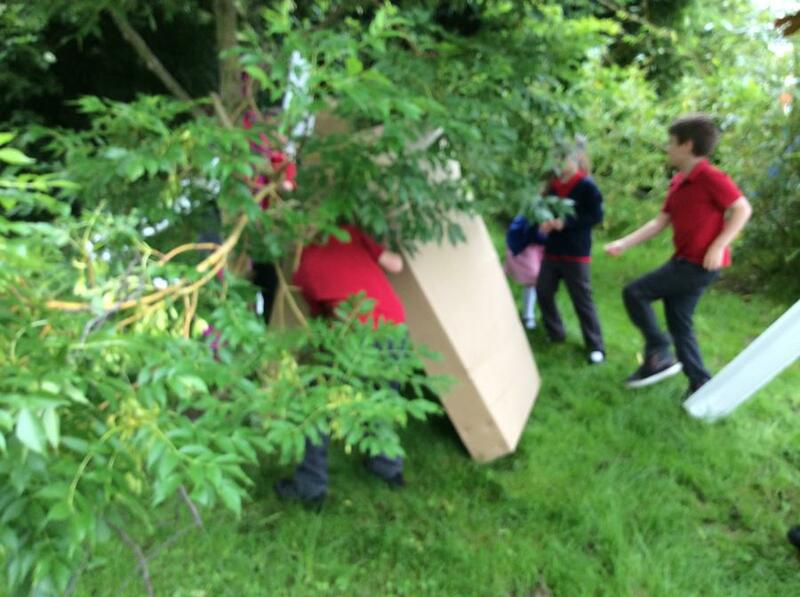 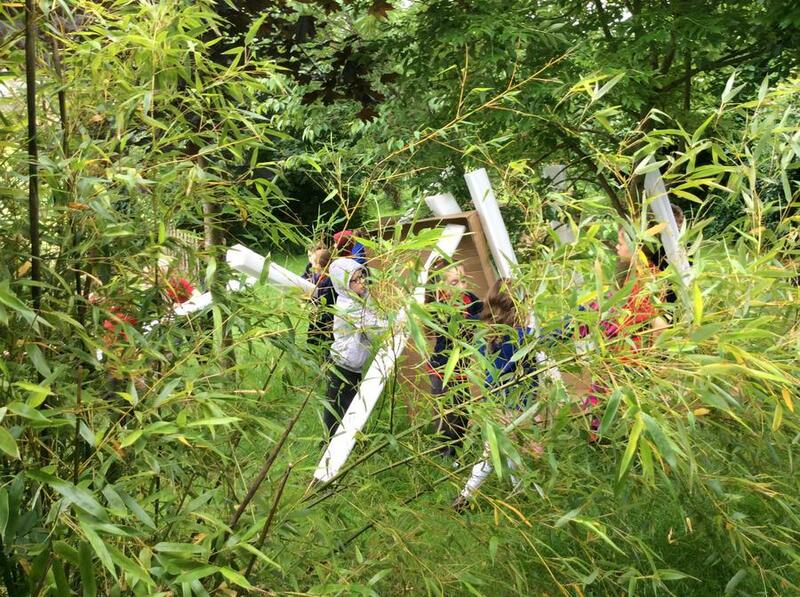 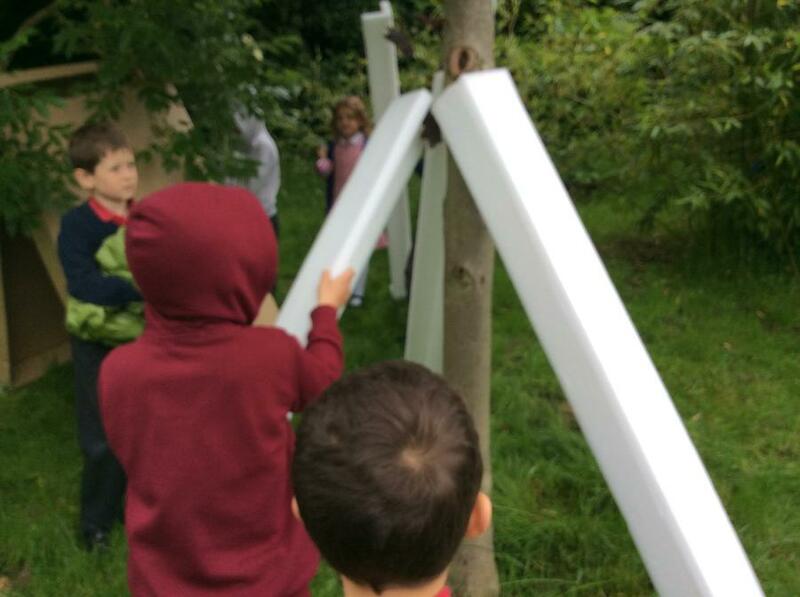 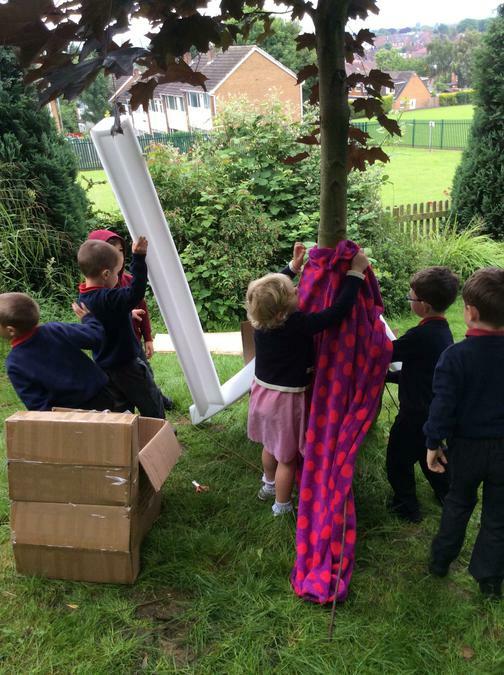 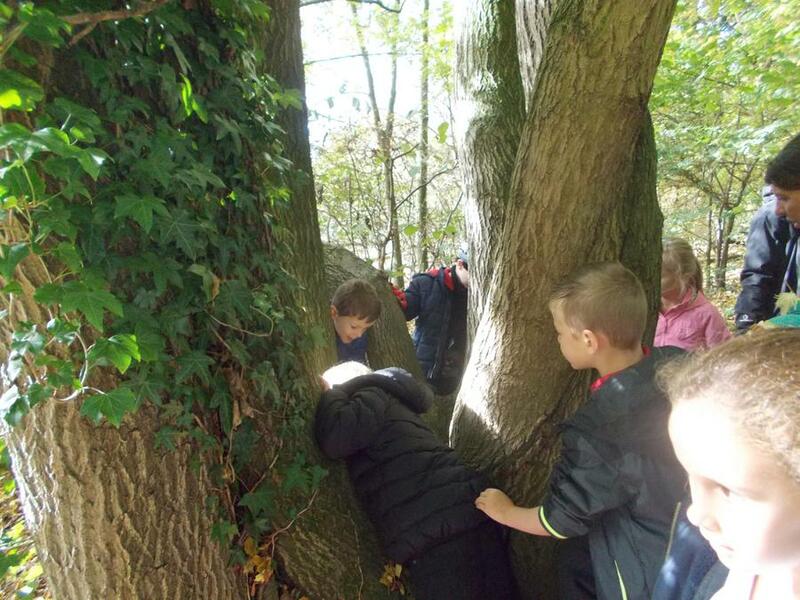 Our learning for this term will all stem around the theme "Into the Woods". 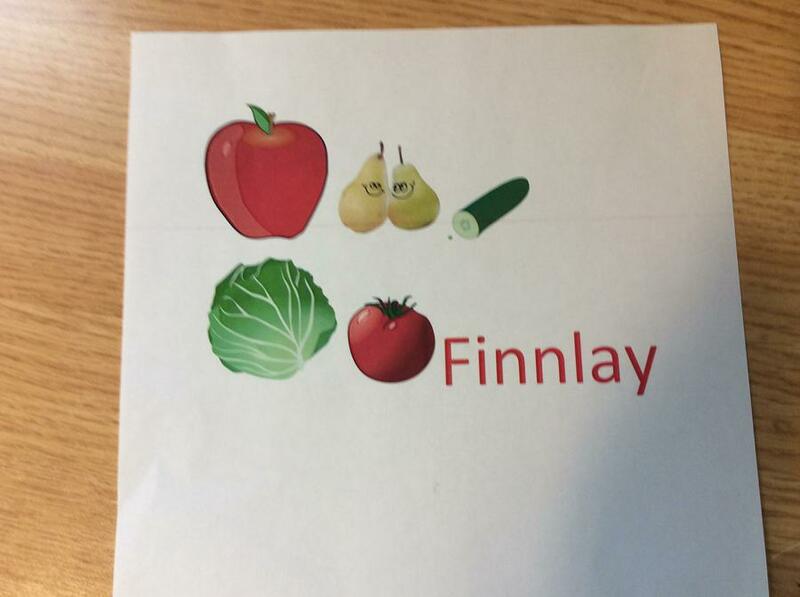 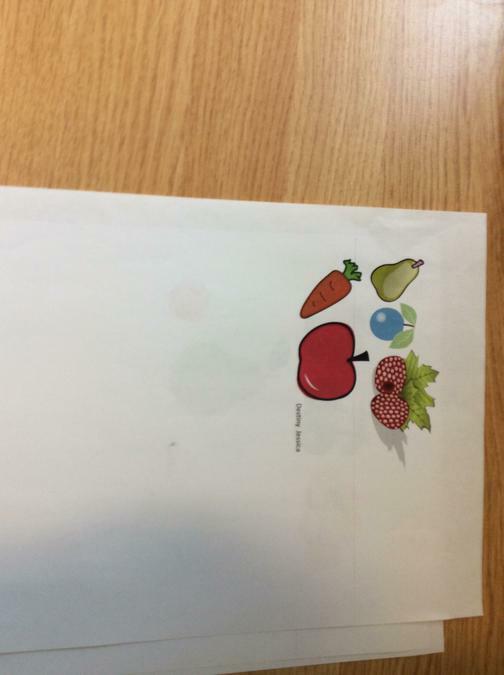 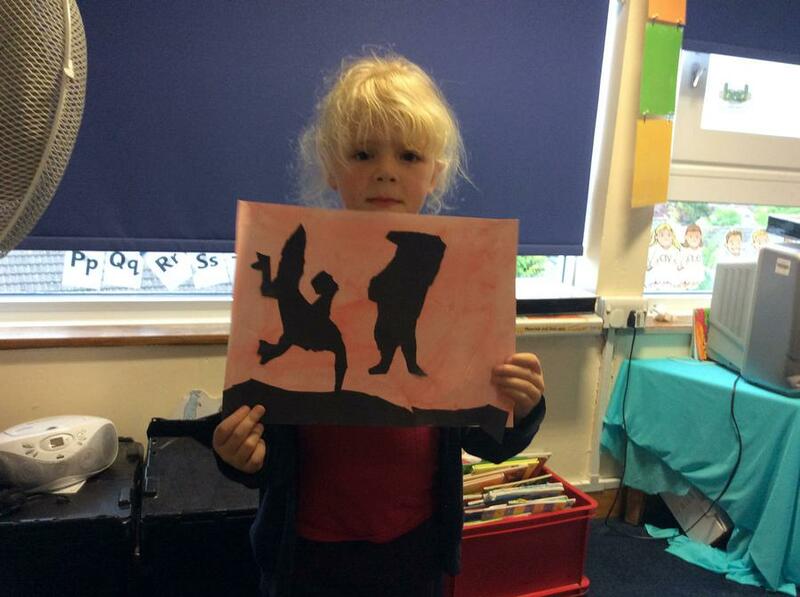 We will be reading the story of the Gruffalo and using this to help with describing characters and settings. 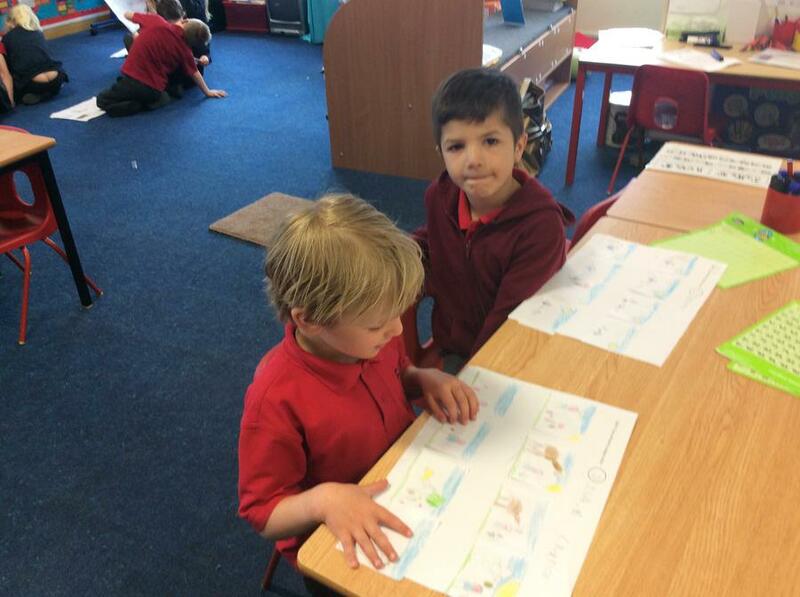 We will be exploring our local area and considering what we like and dislike about where we live. 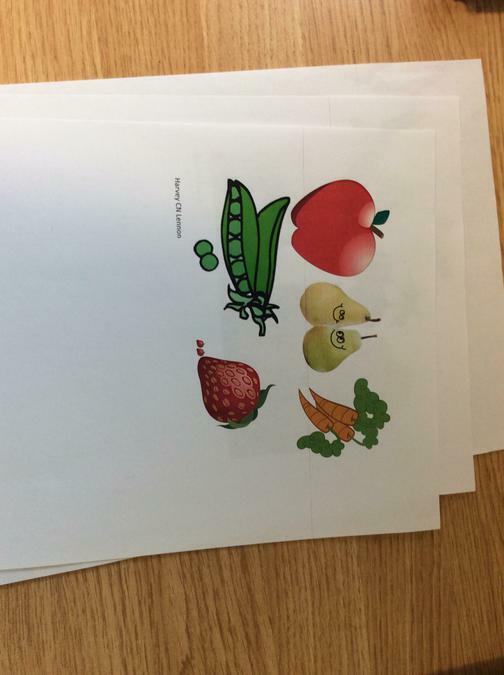 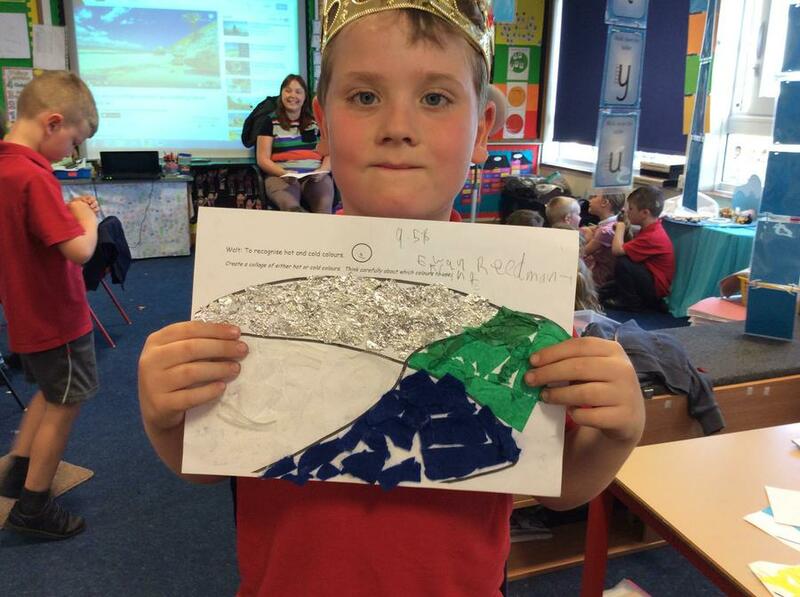 In History we will be finding out all about Robin Hood and why he is a famous person. 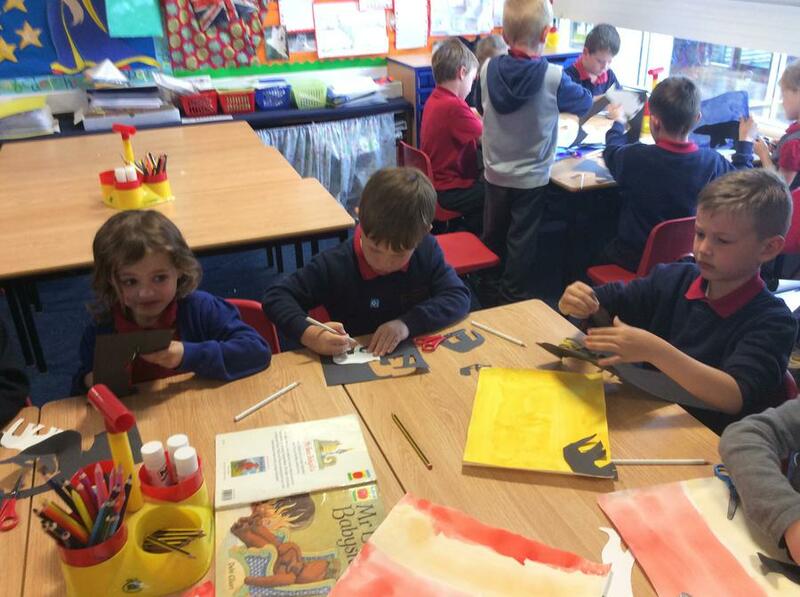 We will be exploring art work by William Morris and creating our own patterns in the same style as him. 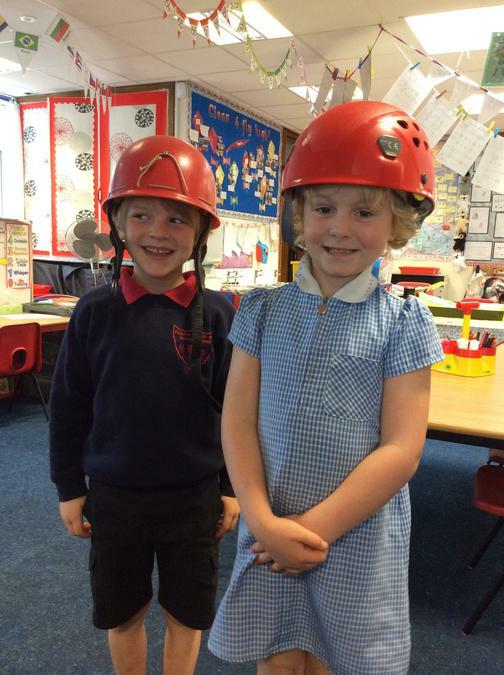 Please keep checking our class page as we will regularly put on photographs of all the exciting things that take place over the year. 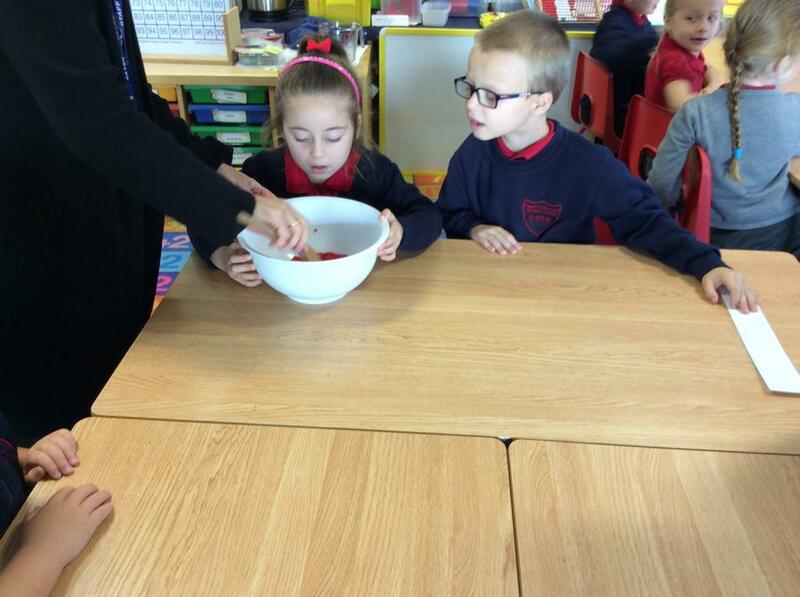 We investigated jelly using our 5 senses. 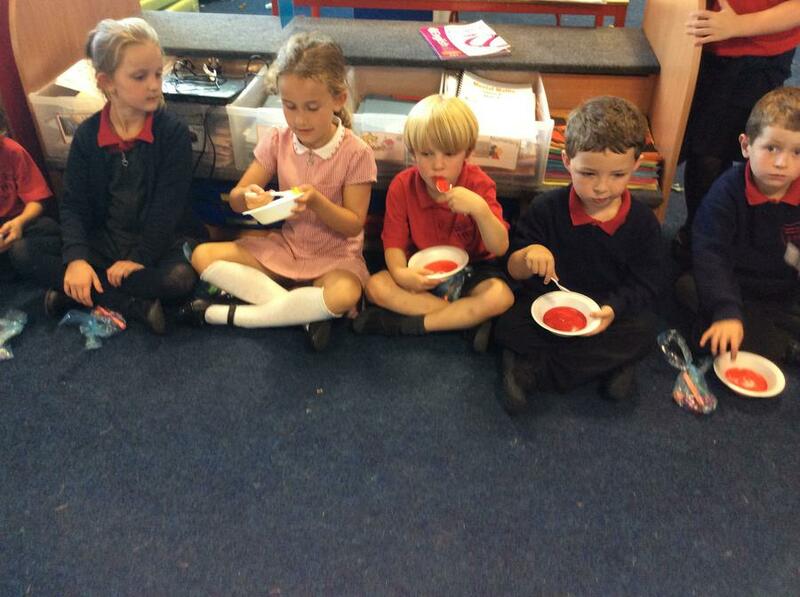 We tasted, smelled, felt and looked at the jelly to answer questions. 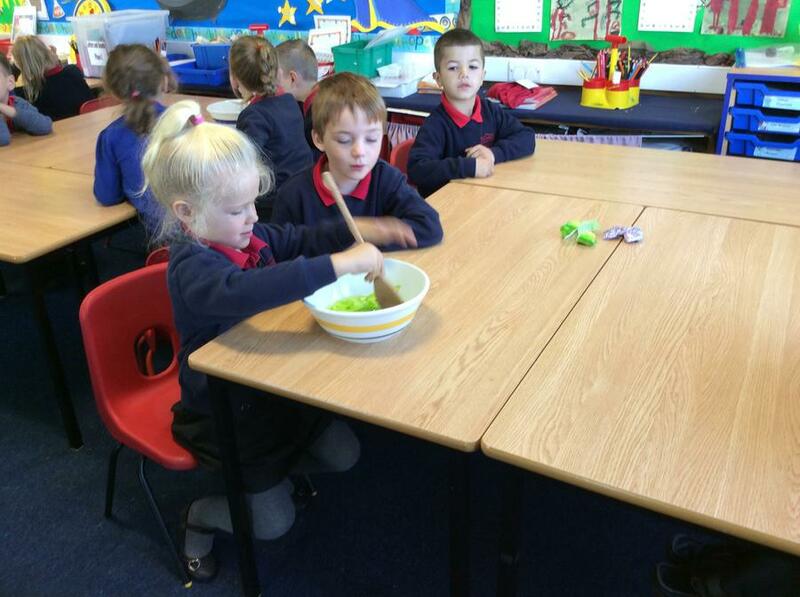 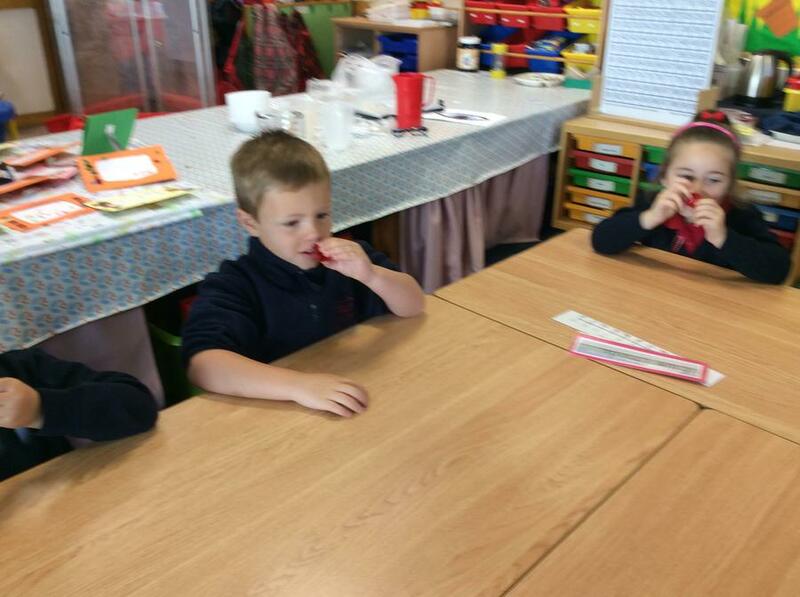 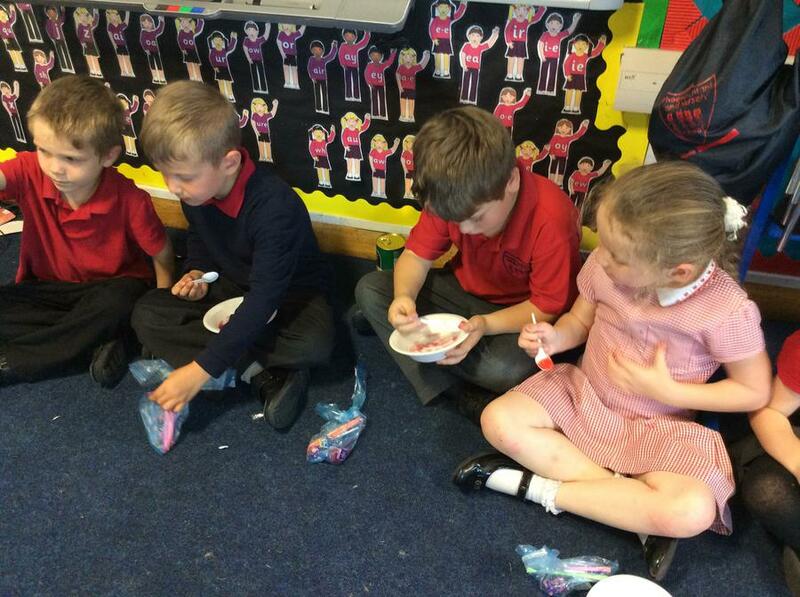 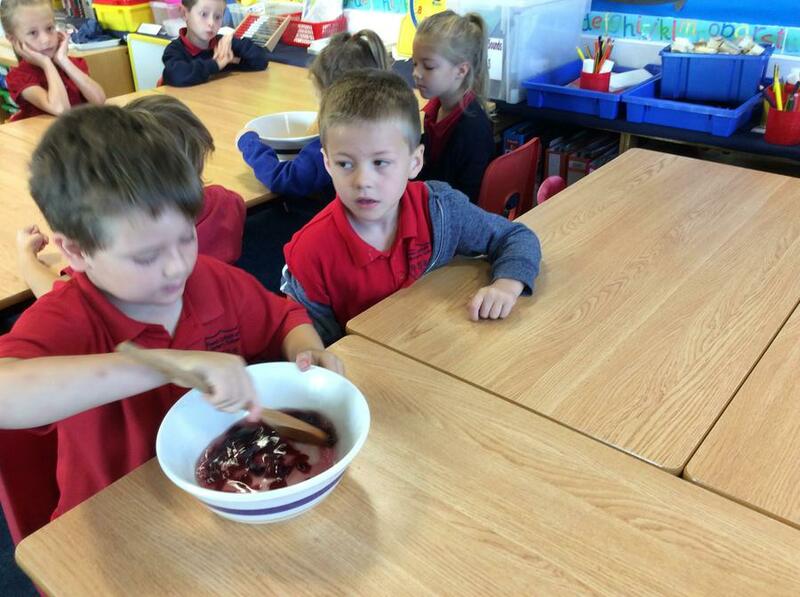 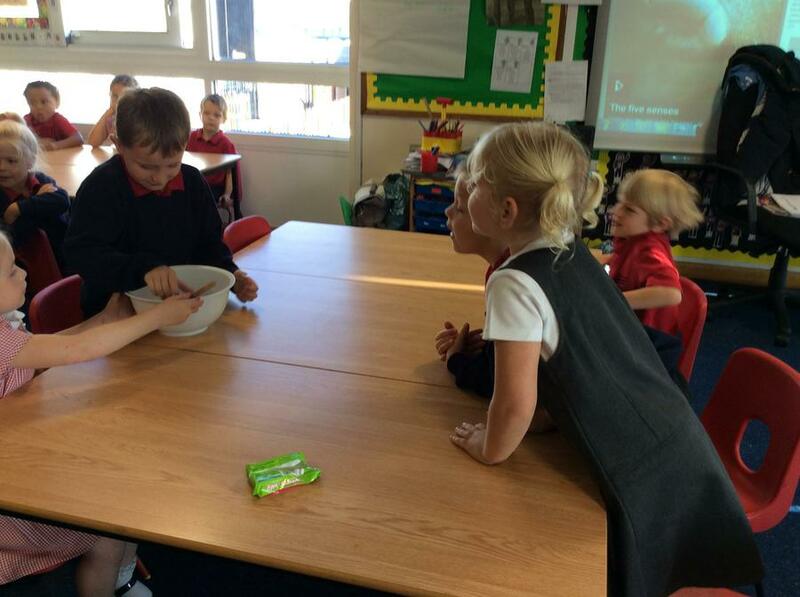 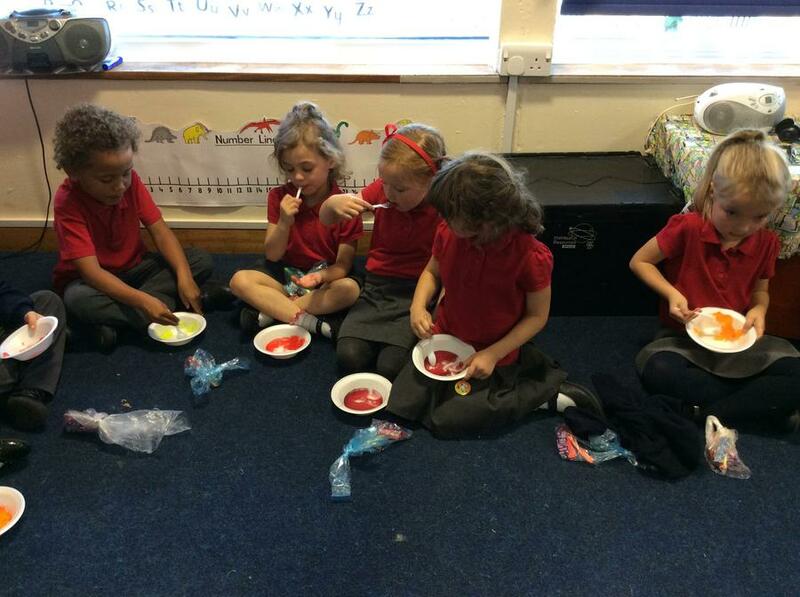 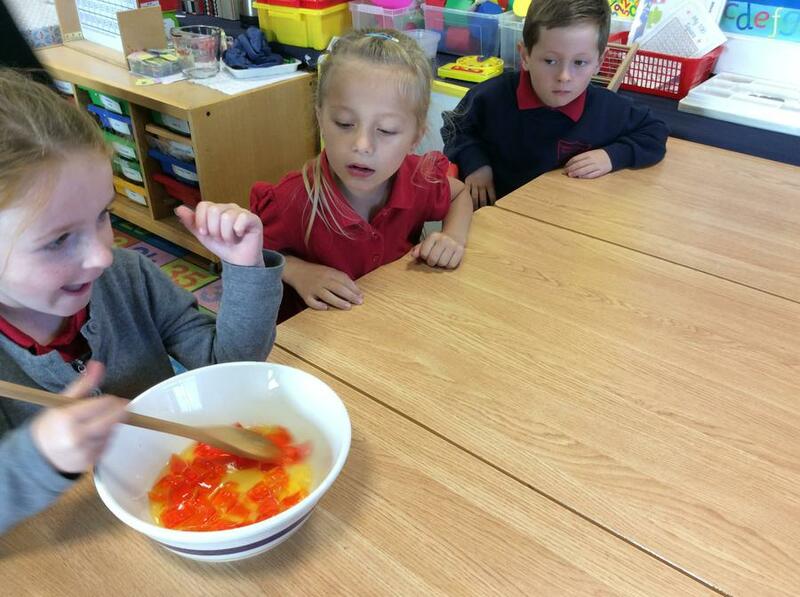 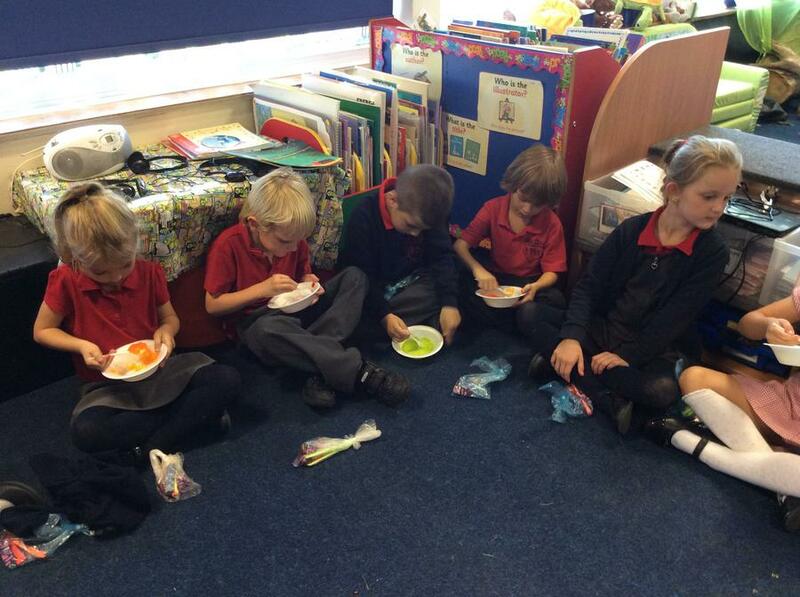 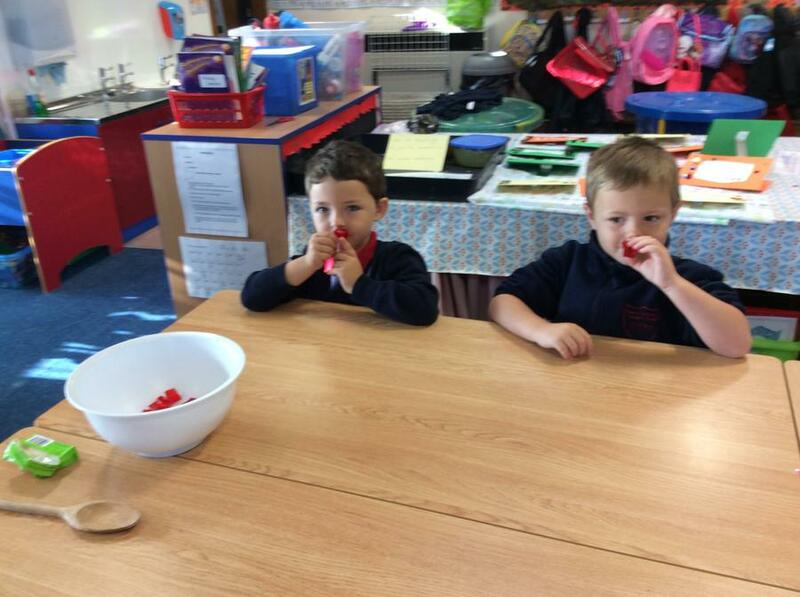 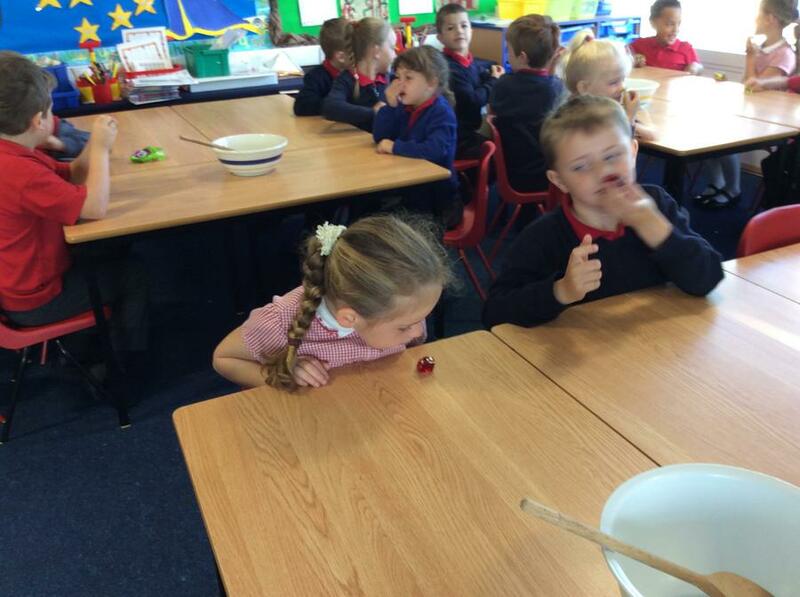 We used our sense of hearing to listen to instructions on how to make the jelly. 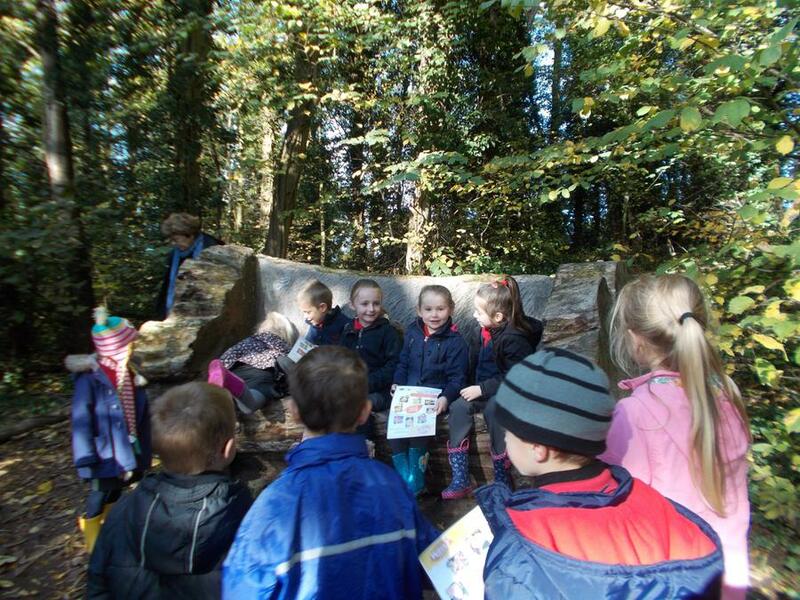 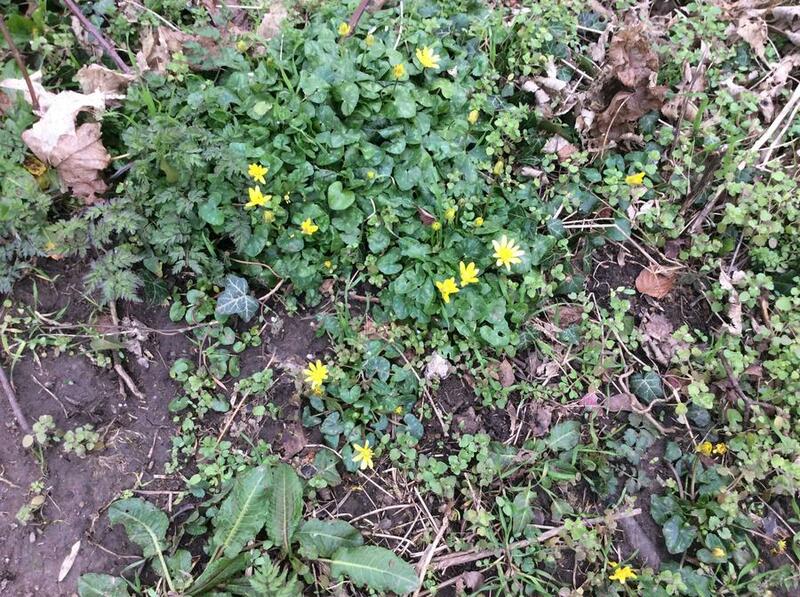 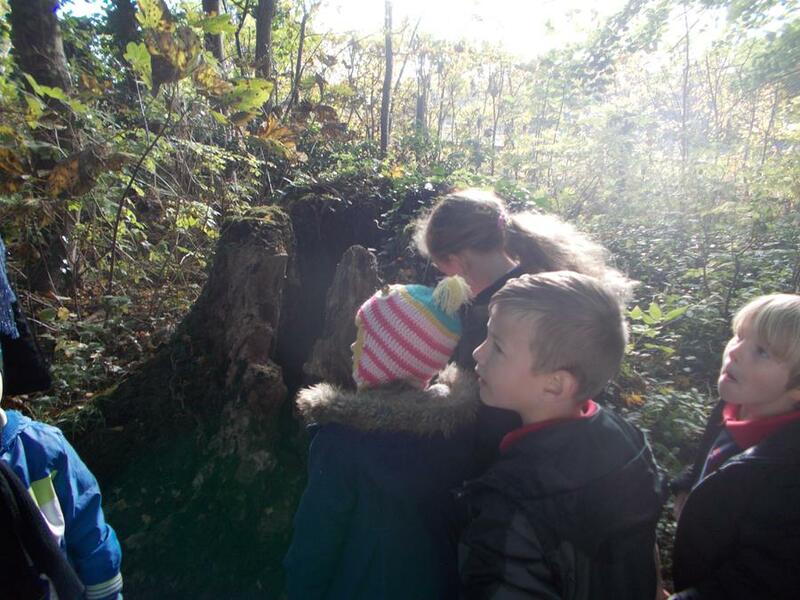 We went to Gedling Woods! 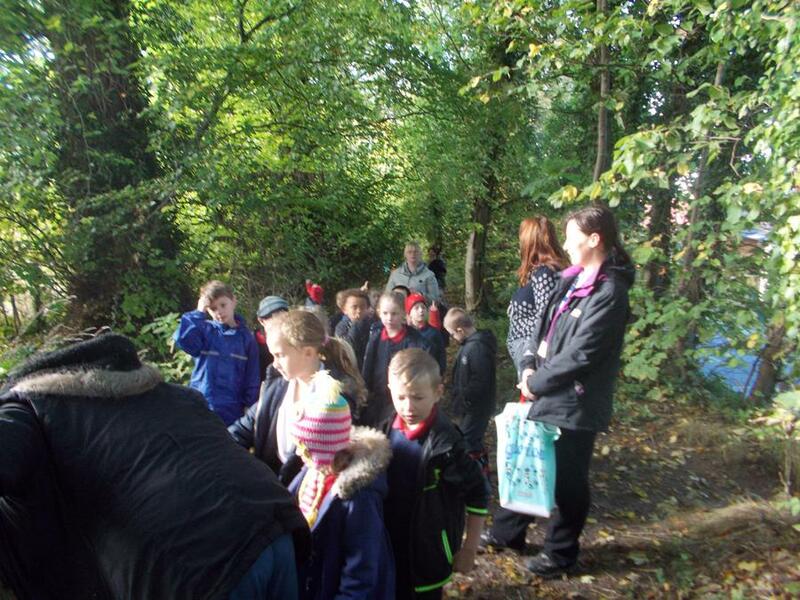 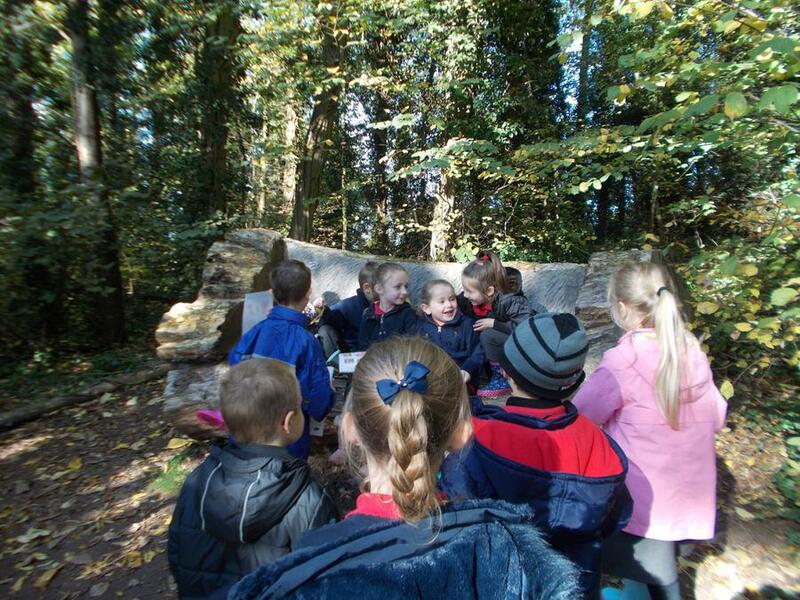 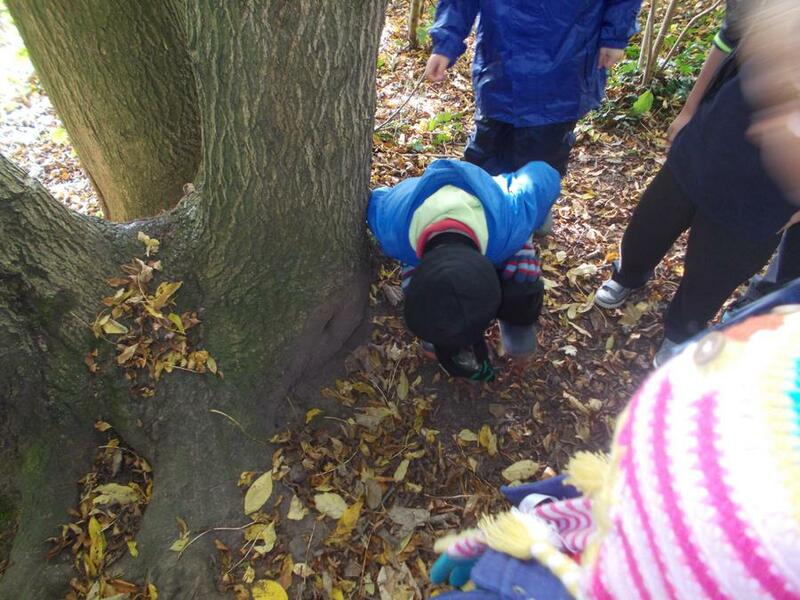 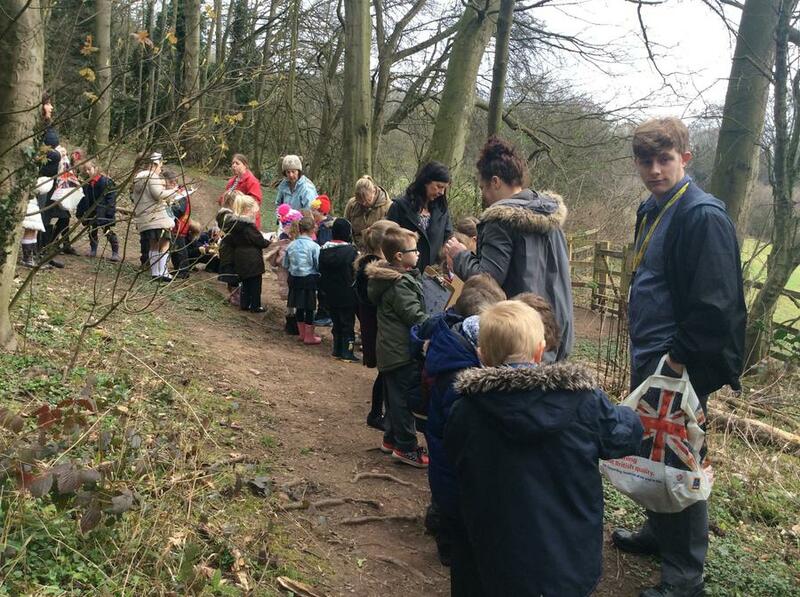 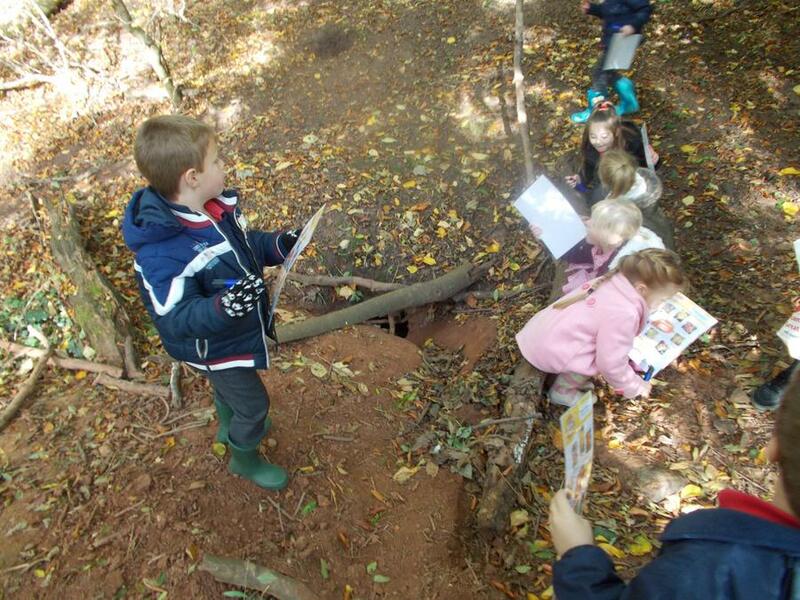 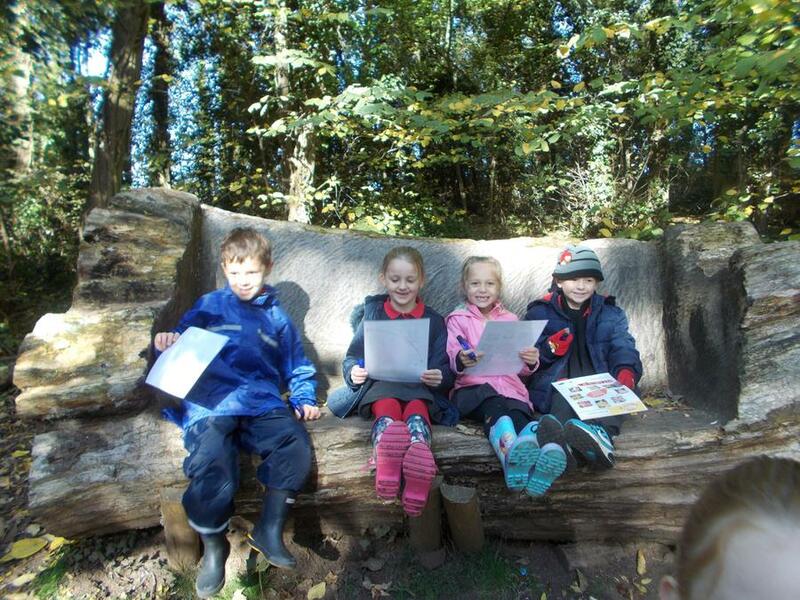 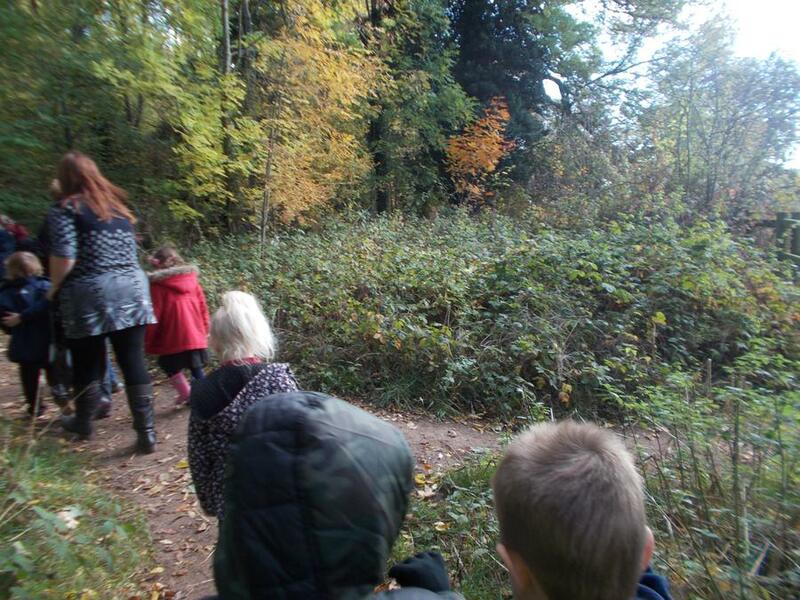 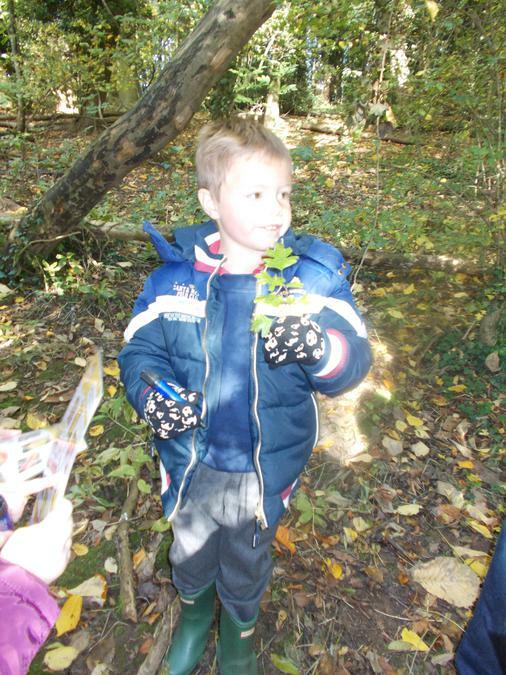 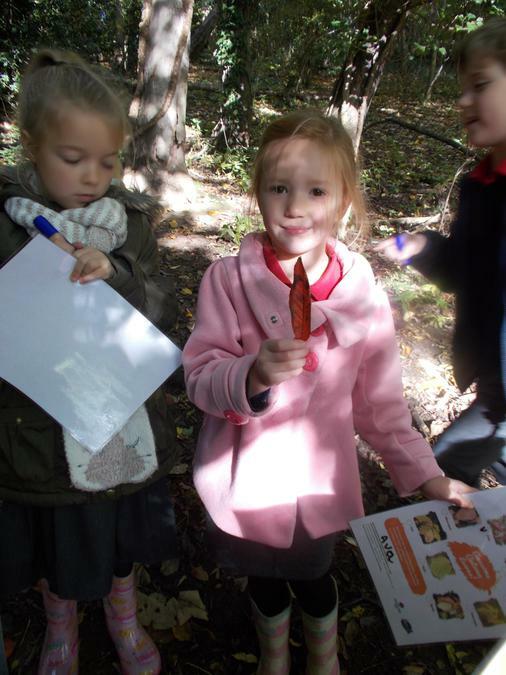 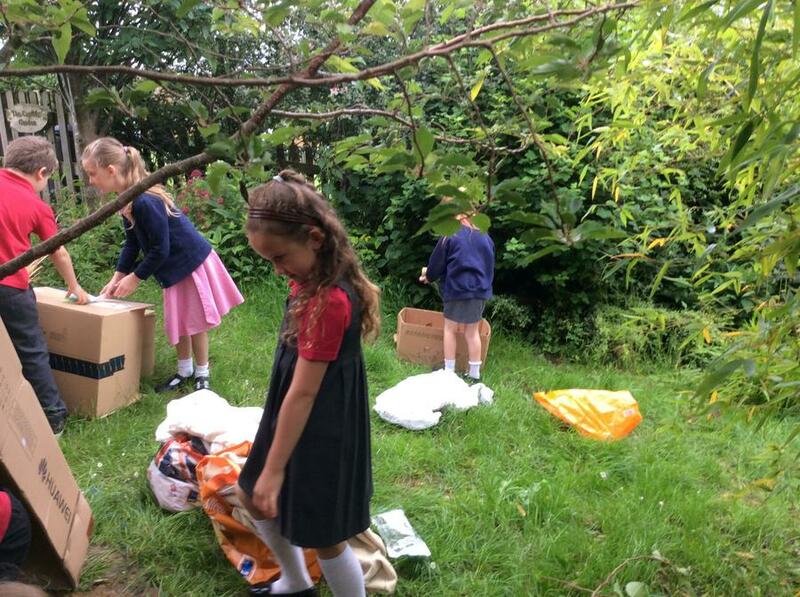 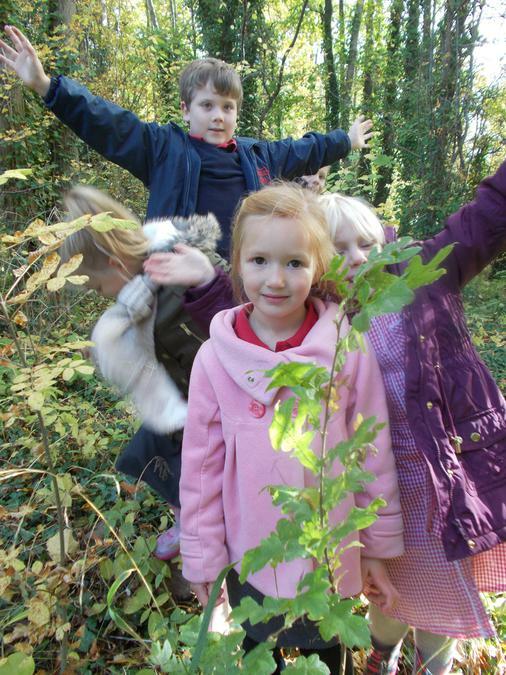 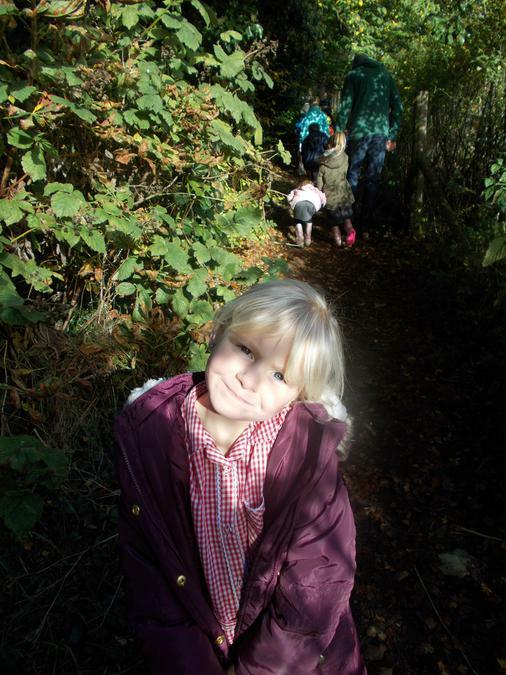 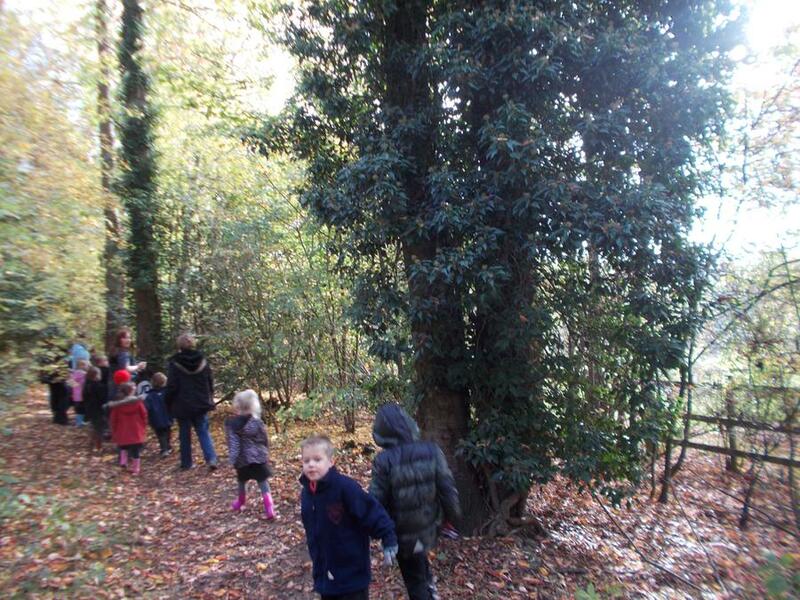 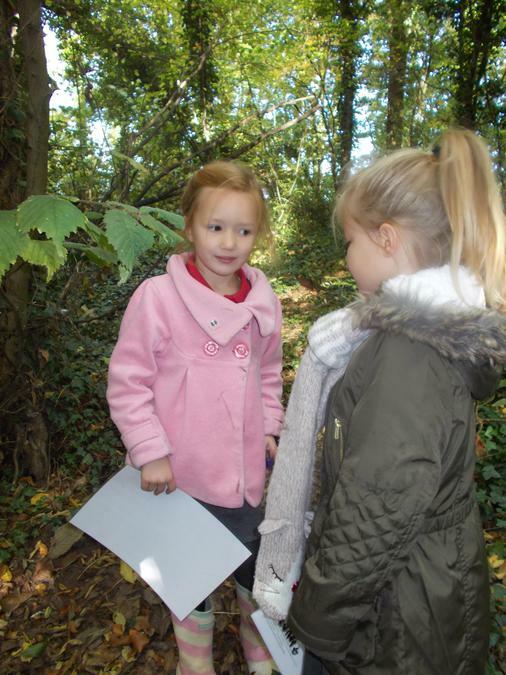 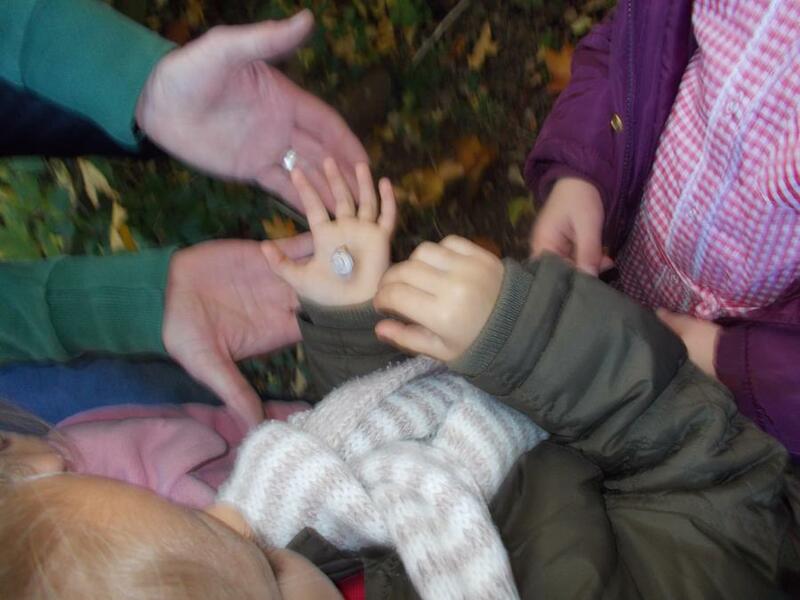 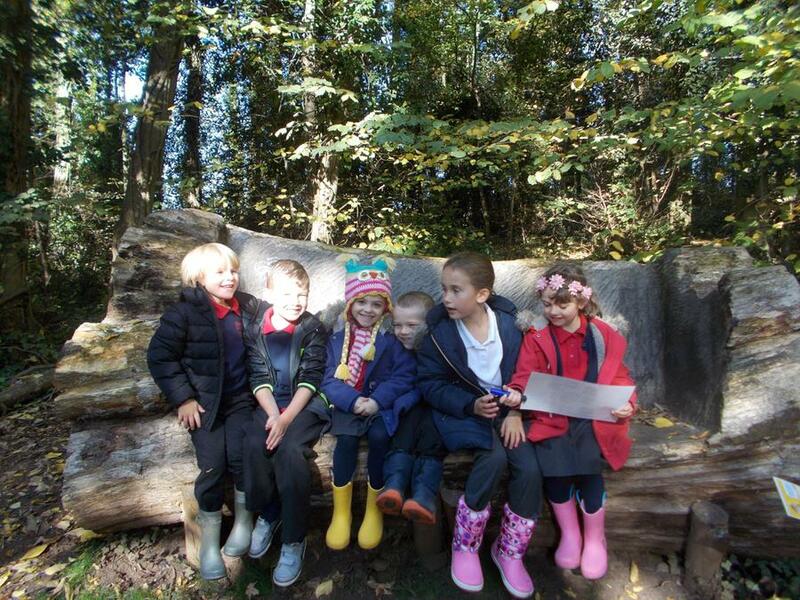 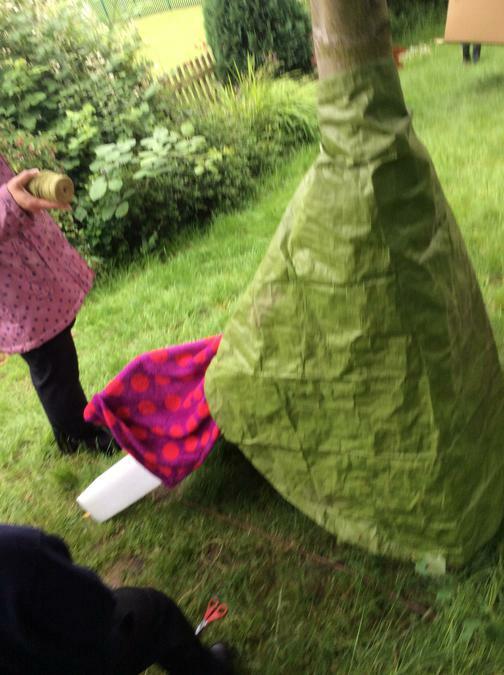 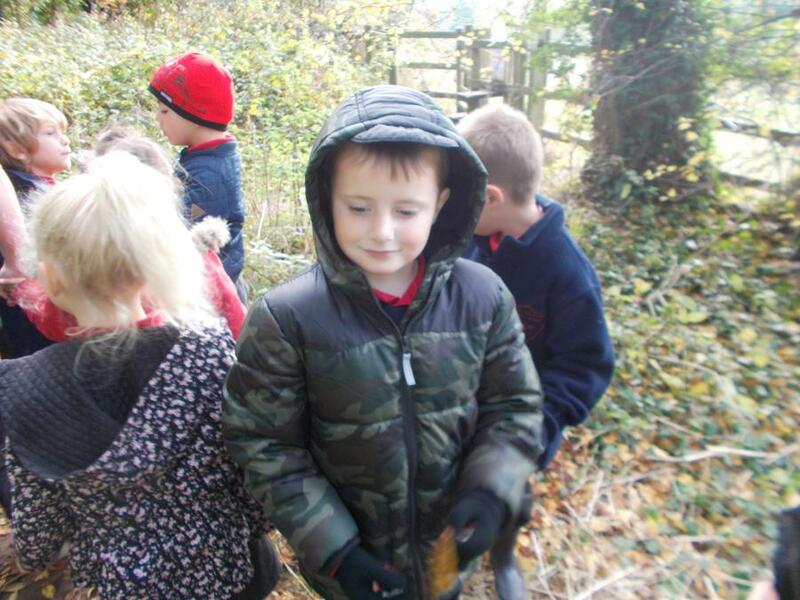 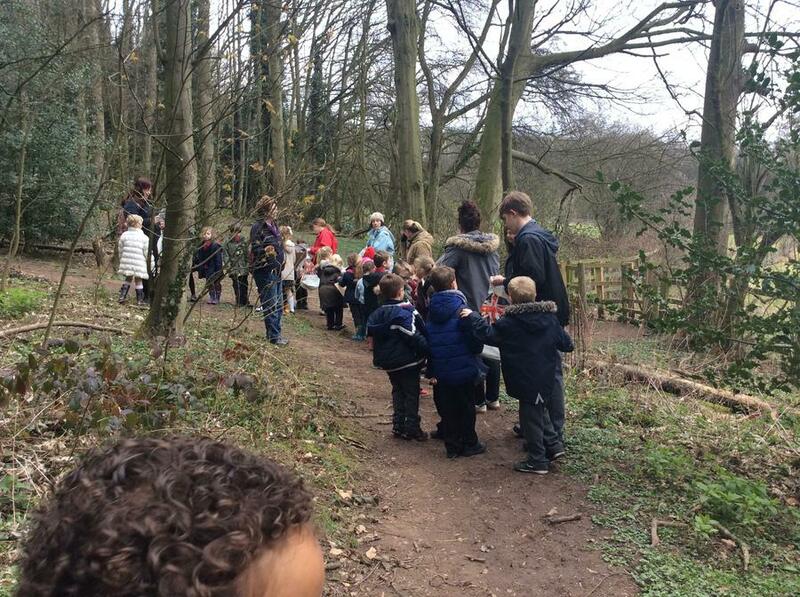 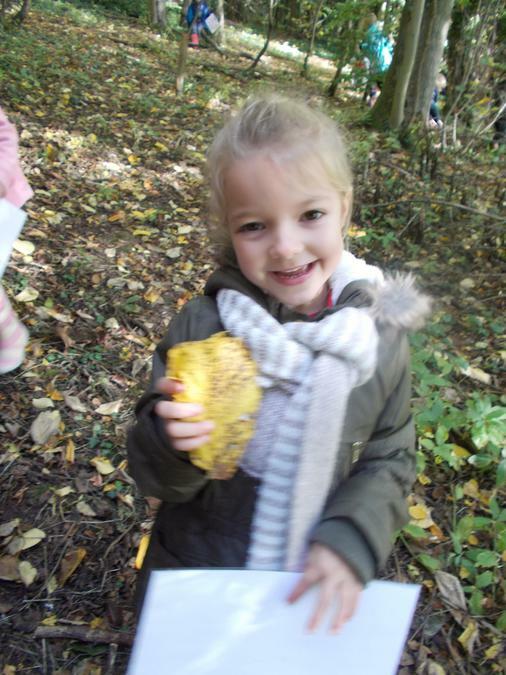 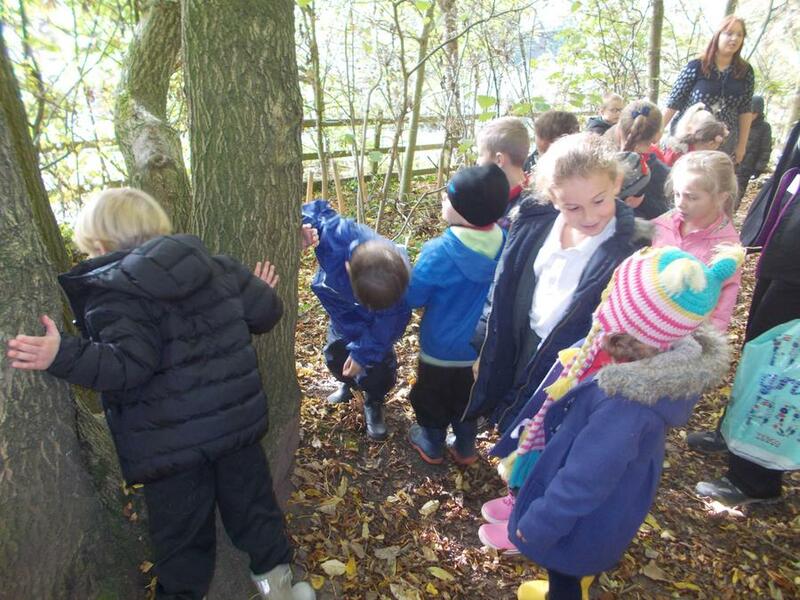 We became explorers of the Woods and by the end could name lots of leaves that belong in Gedling Woods. 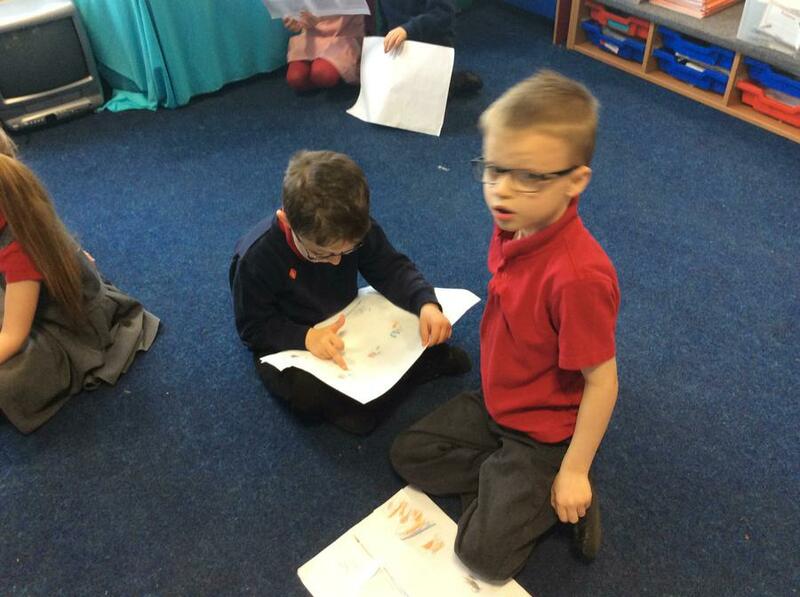 We have been learning about the character of Robin Hood. 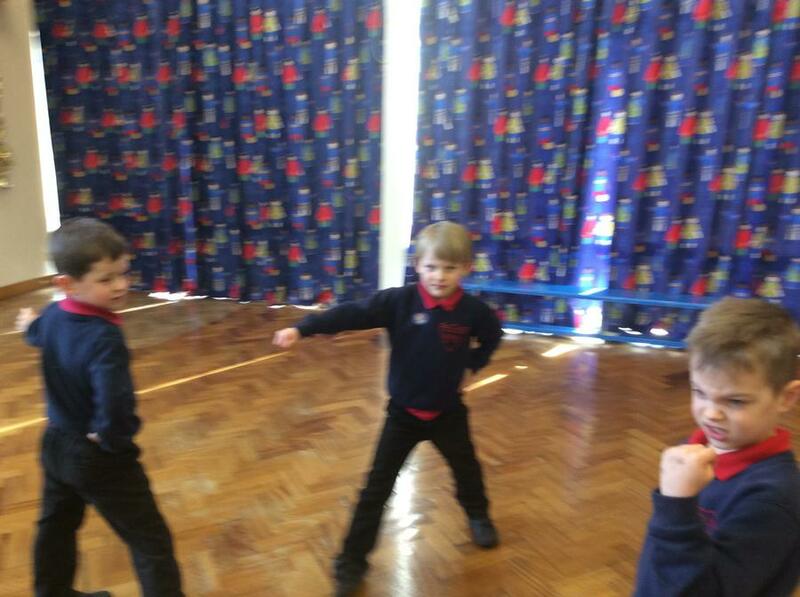 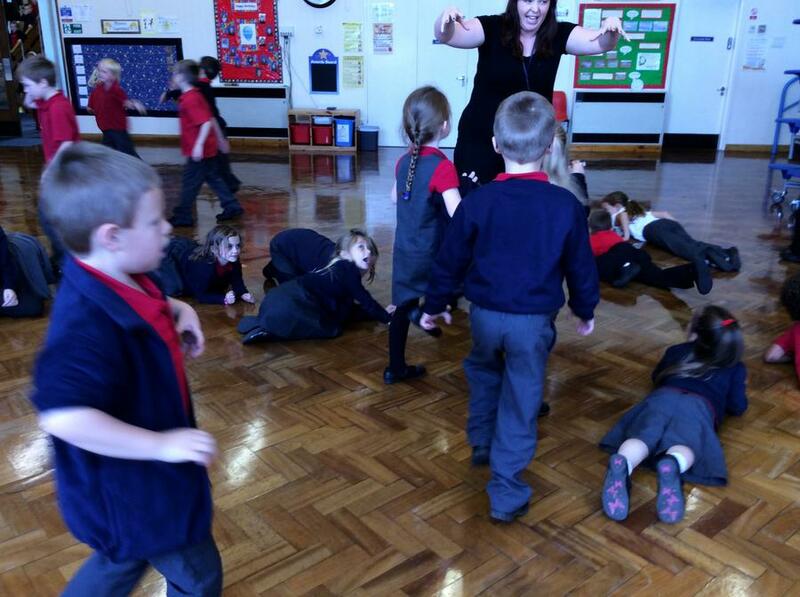 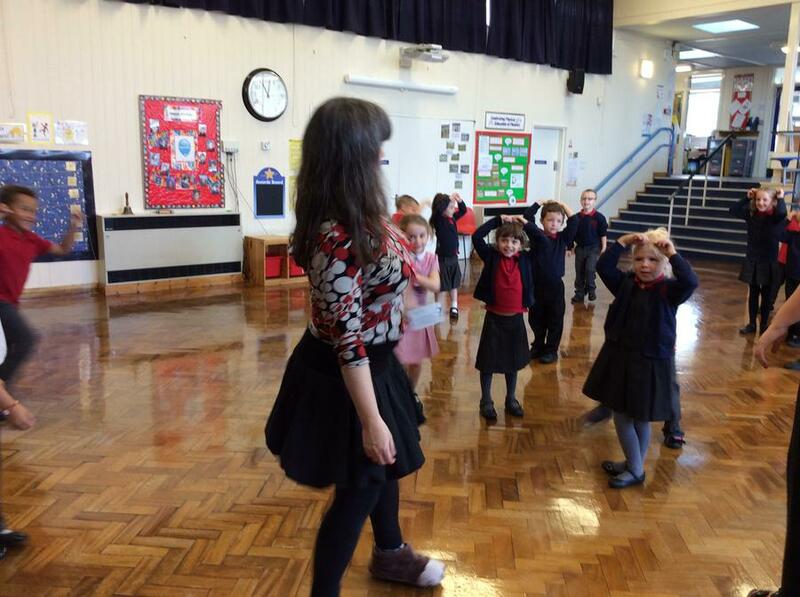 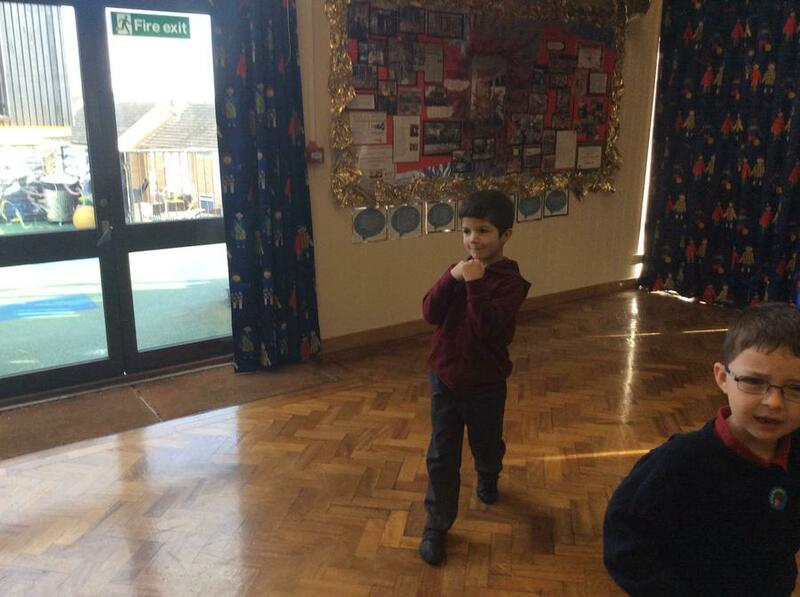 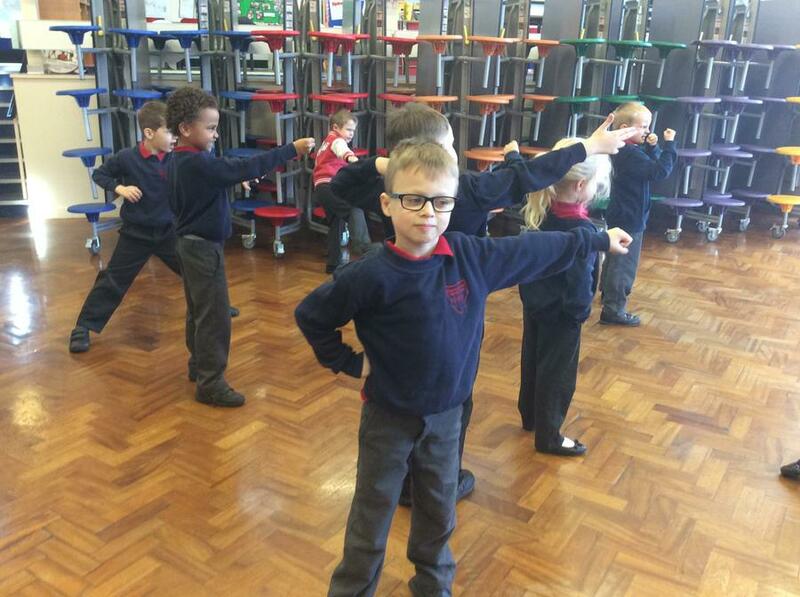 We learned about the story of Robin Hood through a drama session with Partake where we all took part as one of the characters. 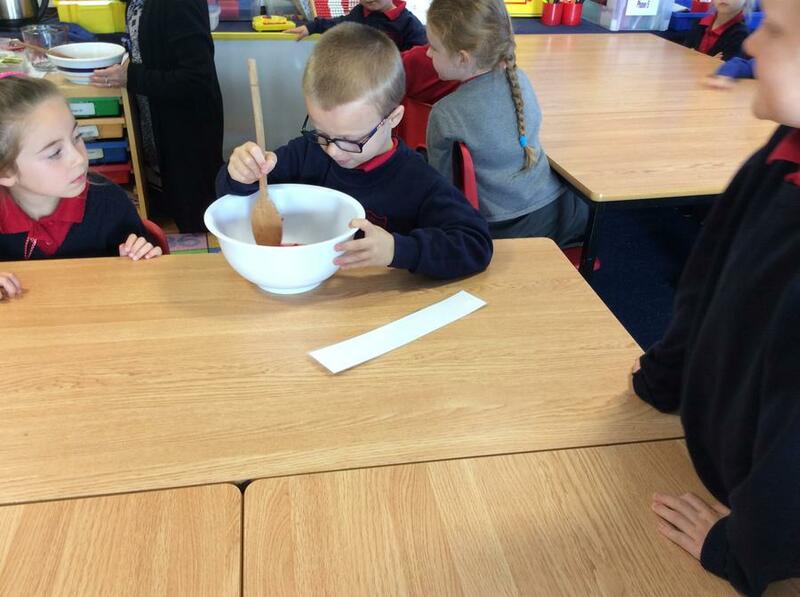 We have learned about the festival of Diwali. 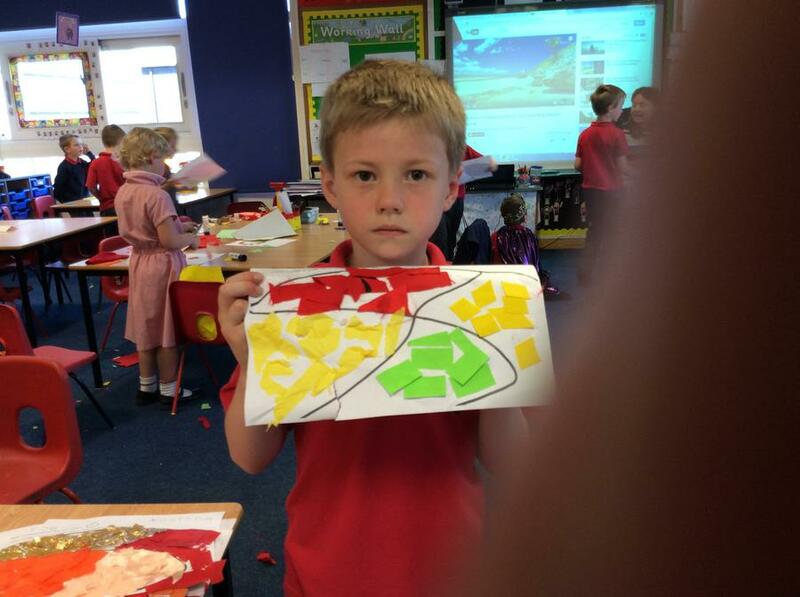 The children made Rangoli patterns and Diva lamps. 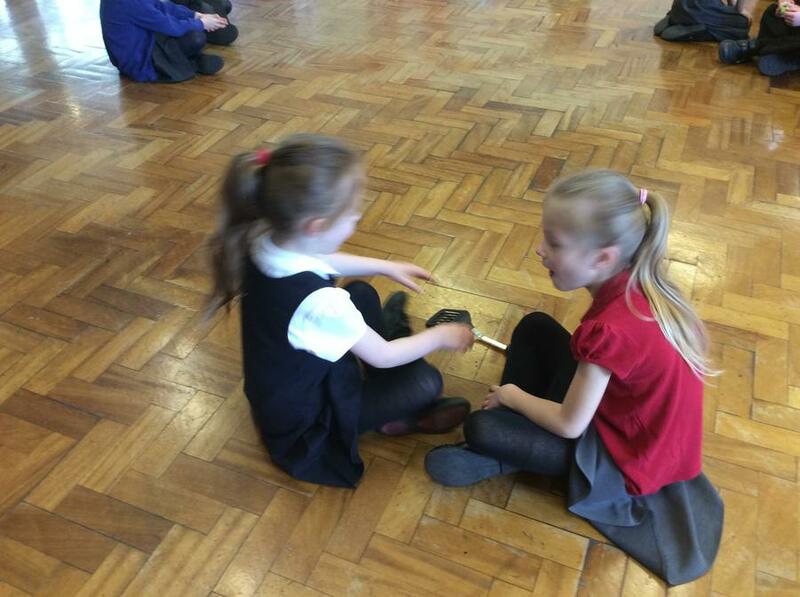 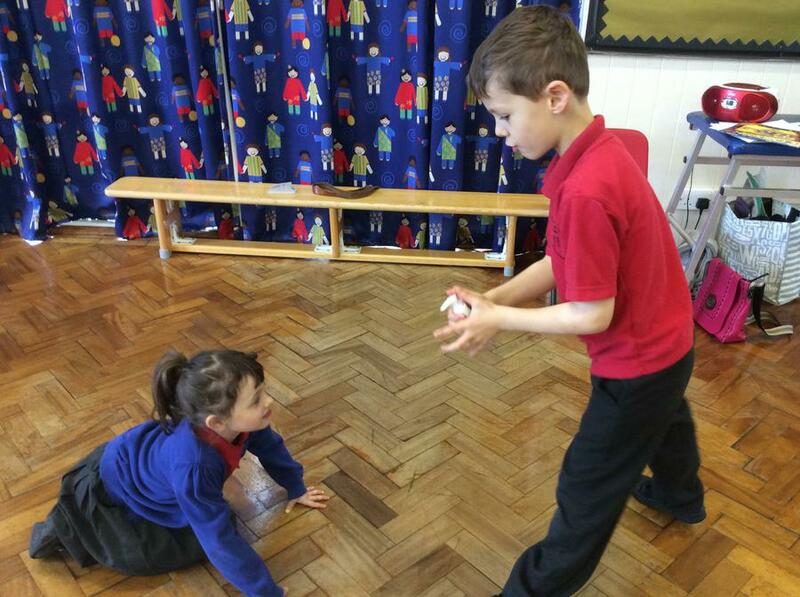 During the first half of Spring Term we have been comparing old and new toys. 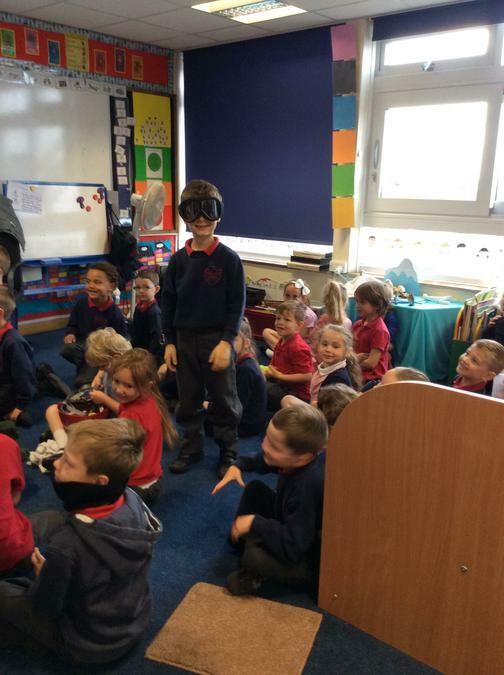 Mrs Richards, Mrs Lester and Partake came to visit us and brought some toys for us to observe and play with. 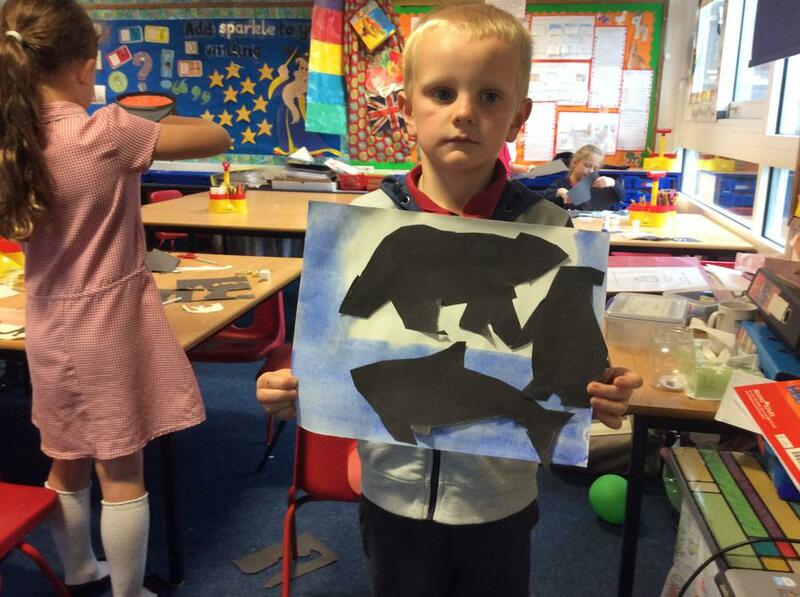 To continue our learning on bears we designed and made our own teddy bears in DT. 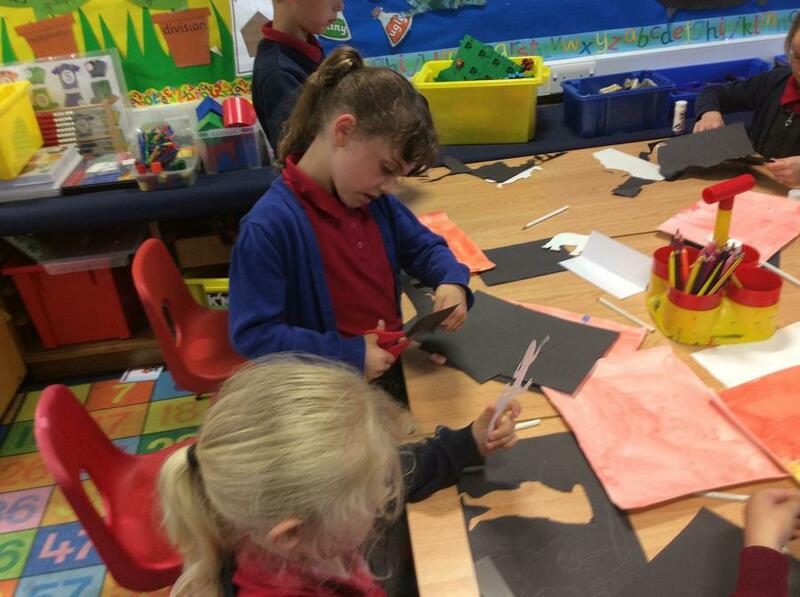 We were very lucky to get lots of support from parents to come and help us develop our sewing skills. 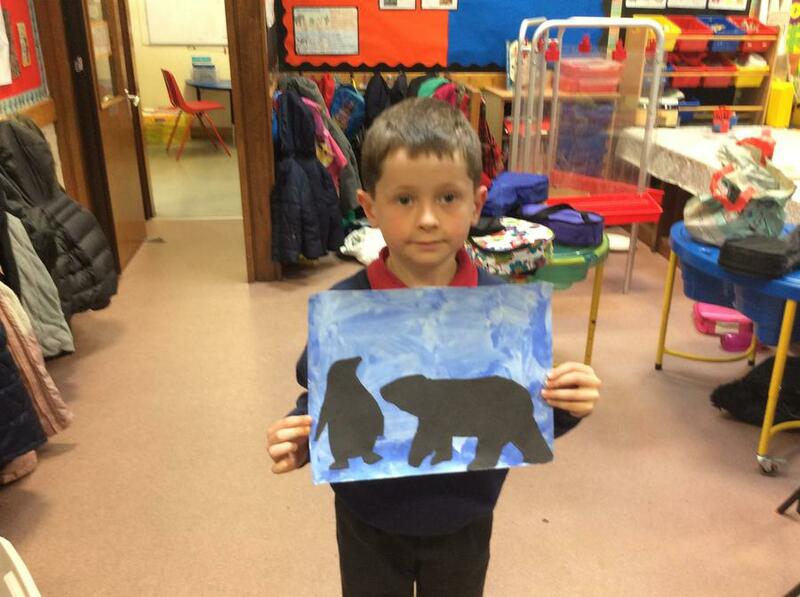 The bears were fantastic! 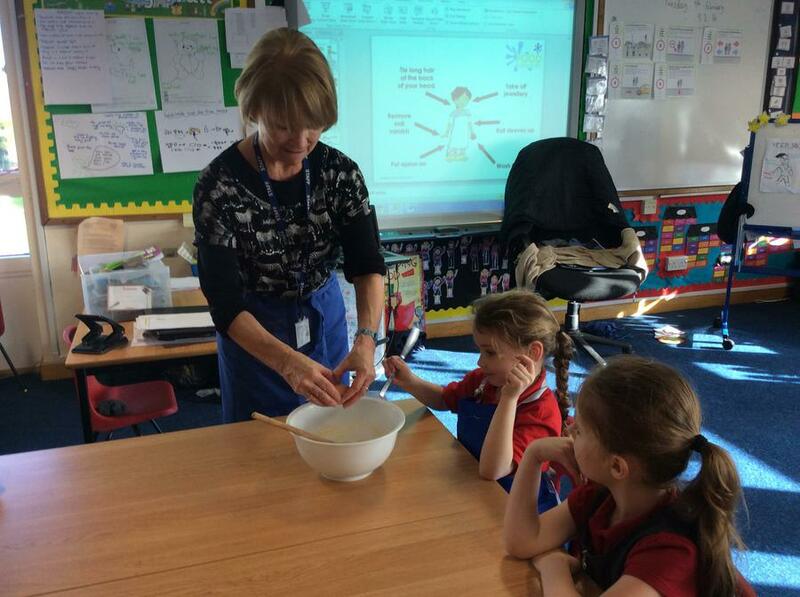 During Safety week we learned about Food Hygiene and keeping safe from germs. 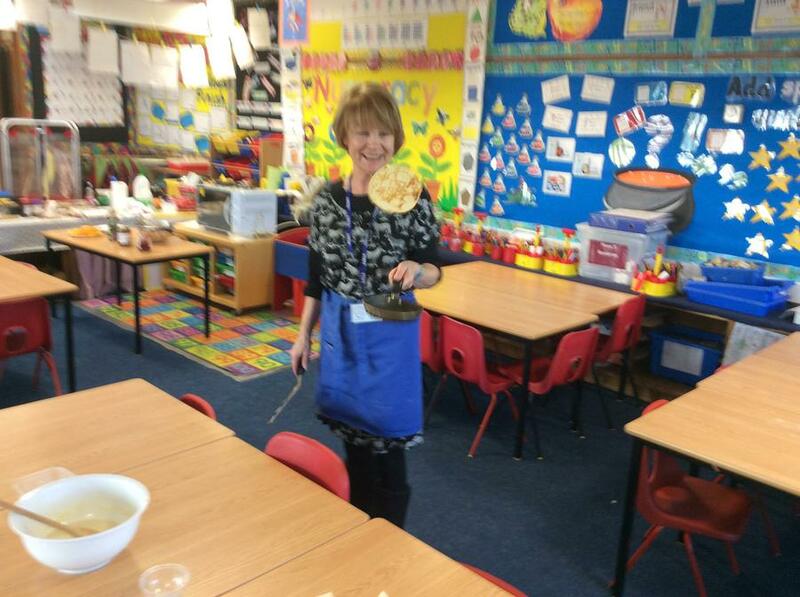 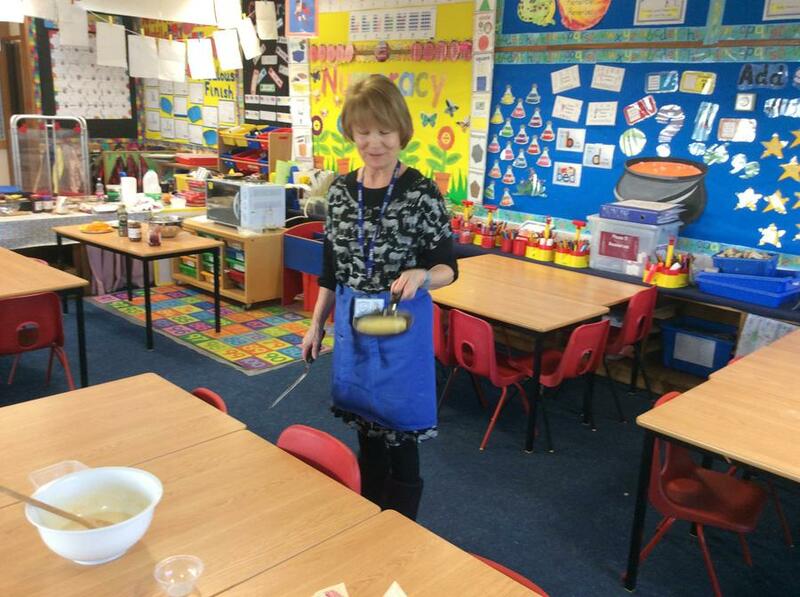 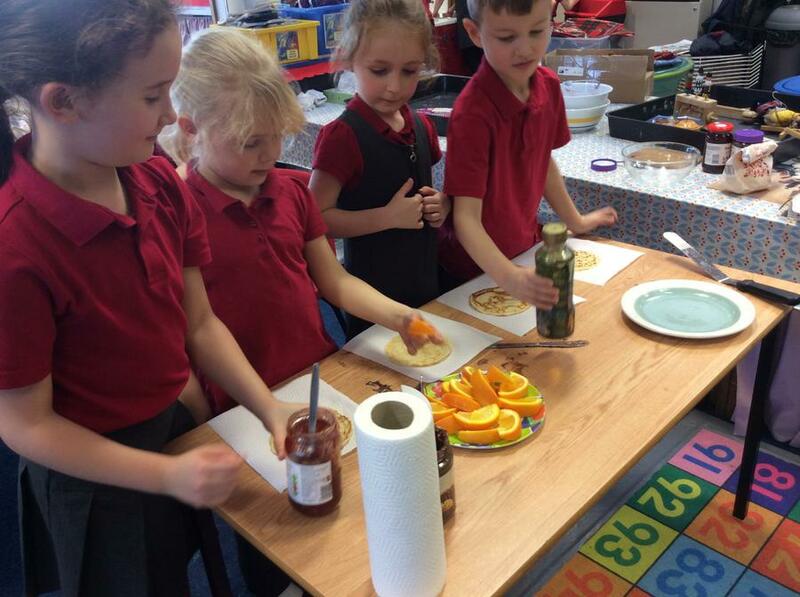 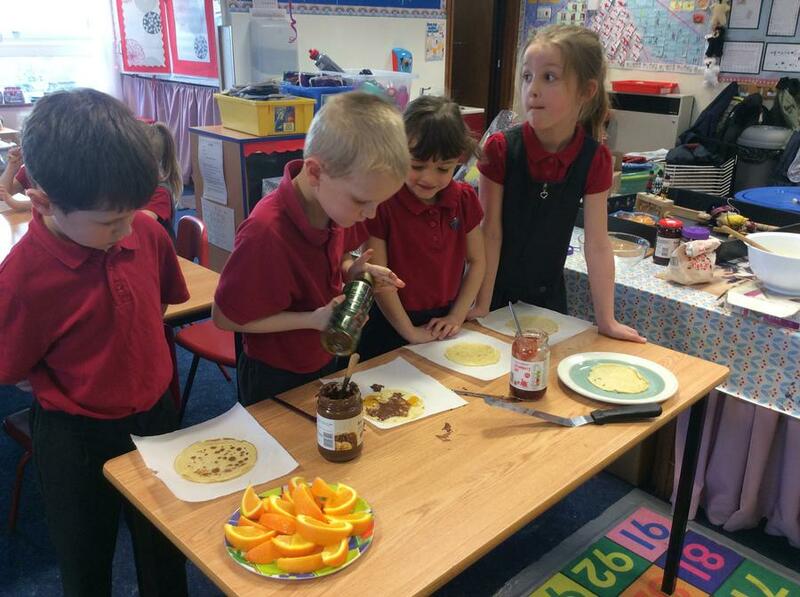 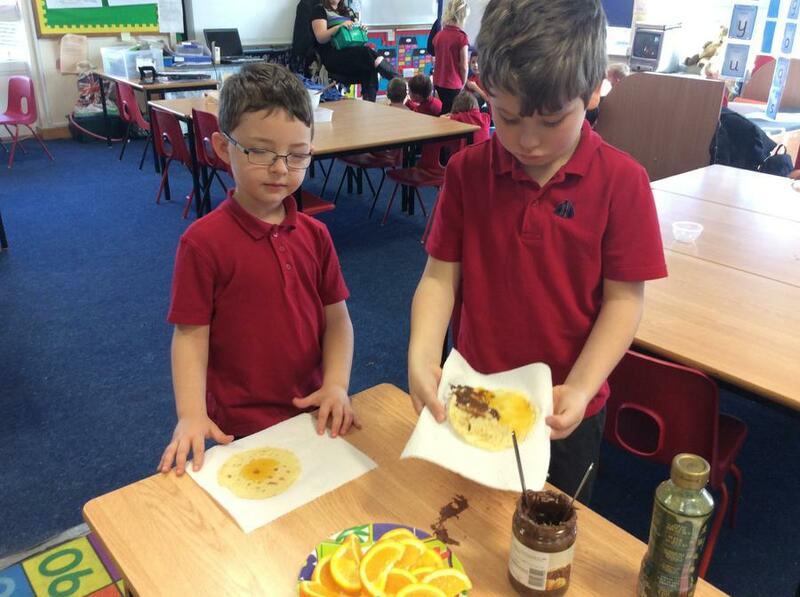 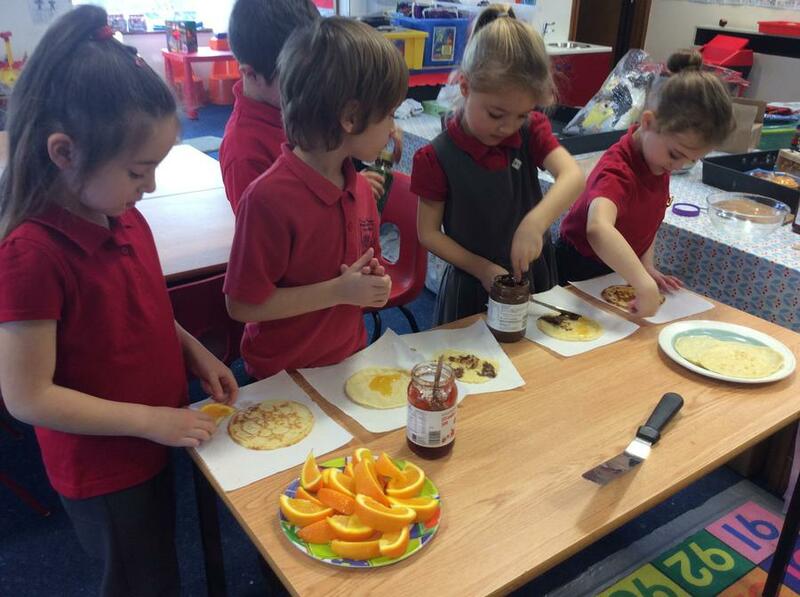 We had great fun making pancakes to celebrate Shrove Tuesday. 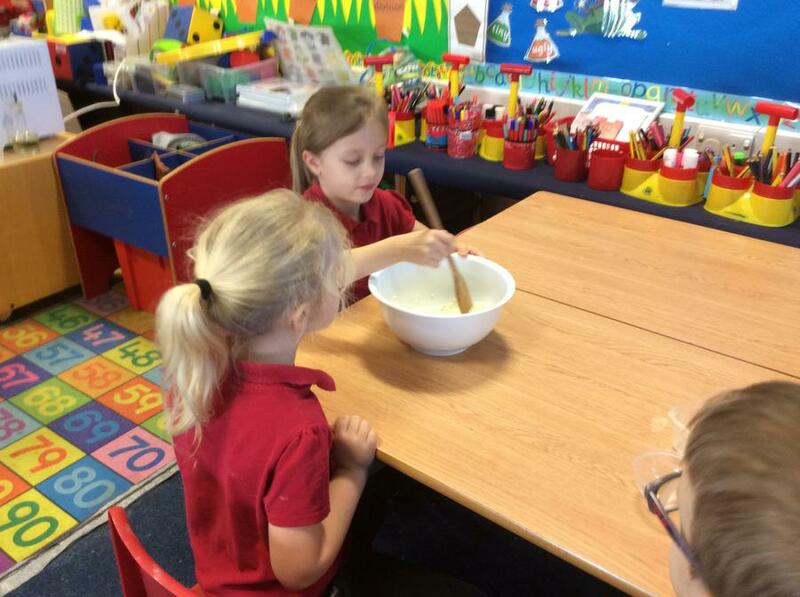 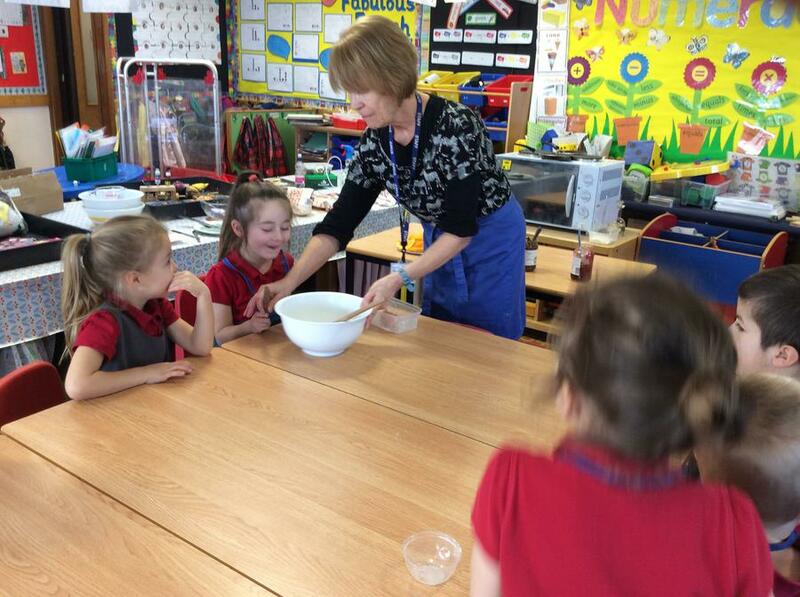 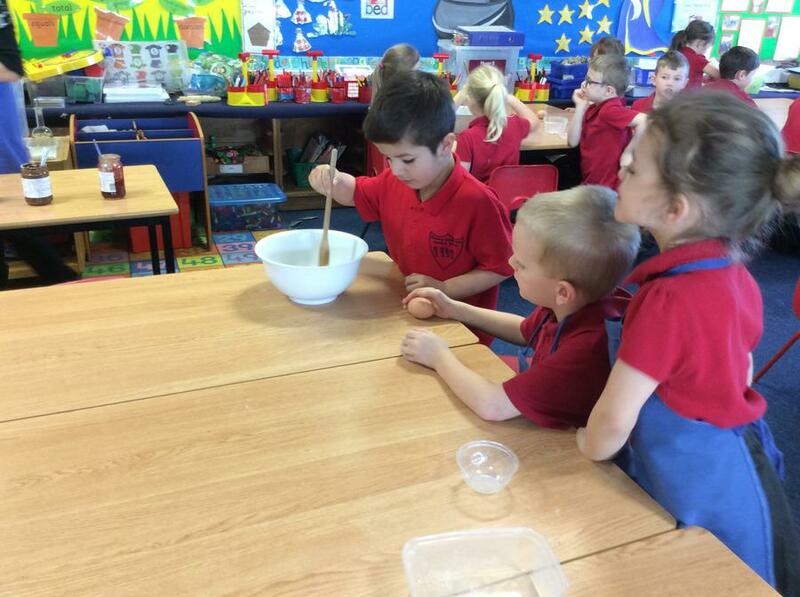 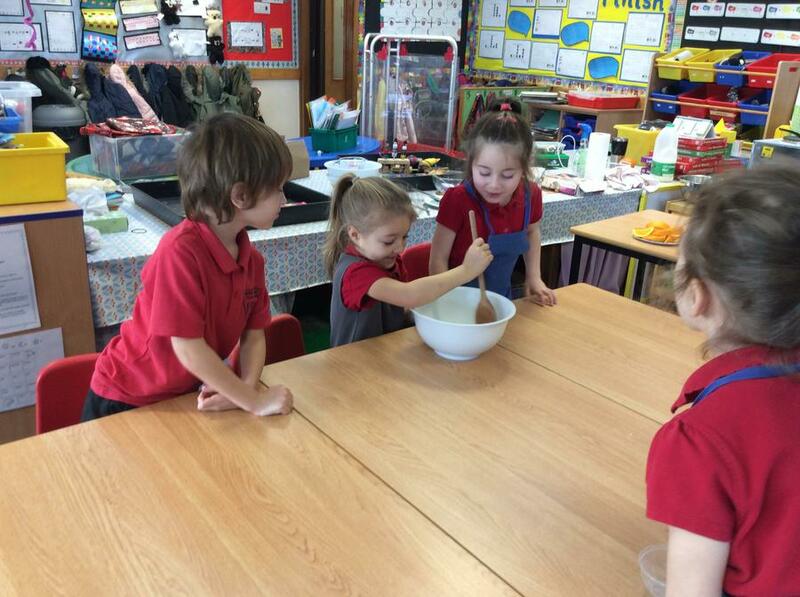 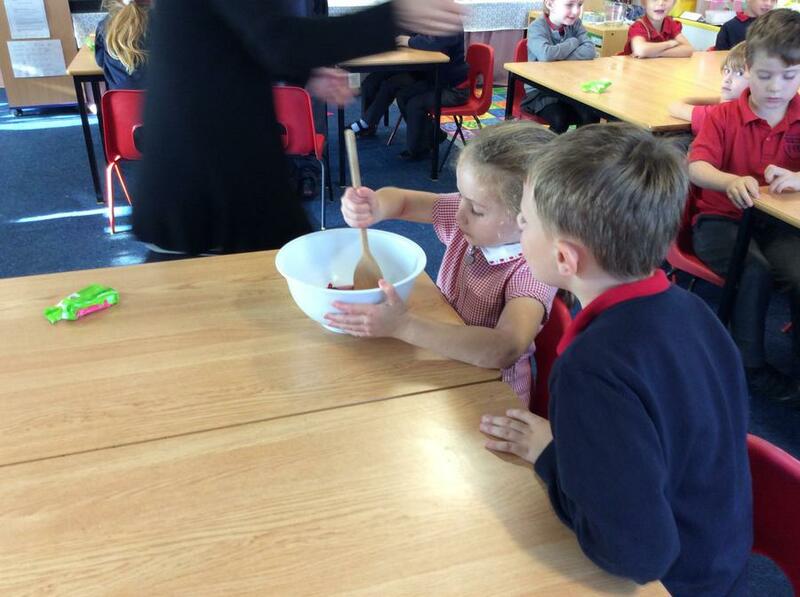 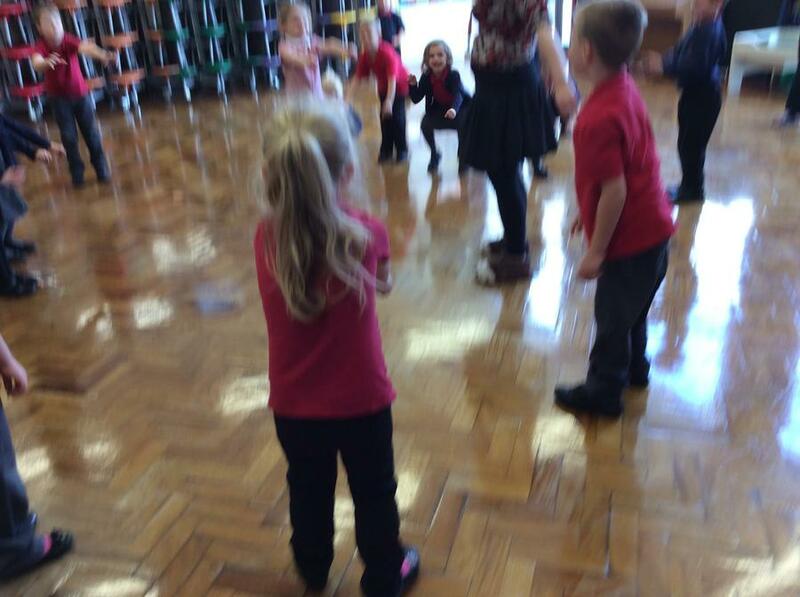 Year 1 have had fun this term baking during Golden time, Look at us in action! 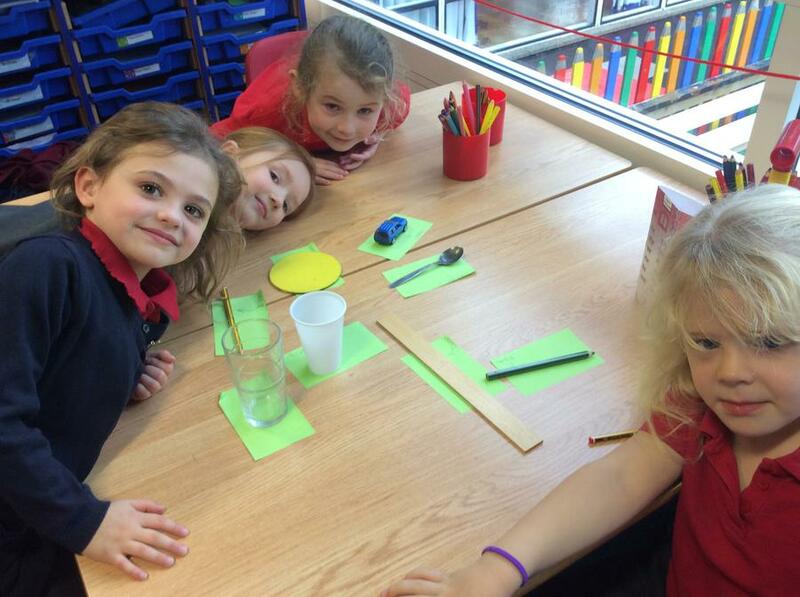 Look at what we have been learning and investigating in the Spring Term! 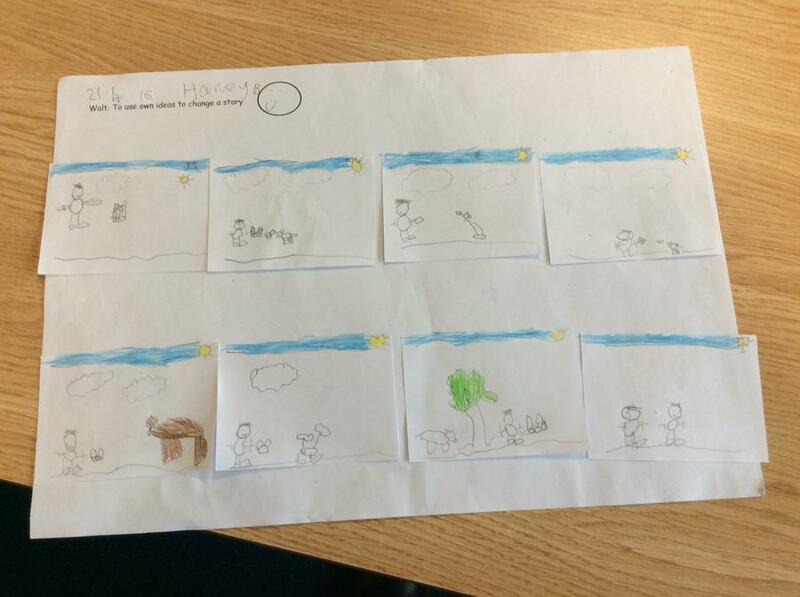 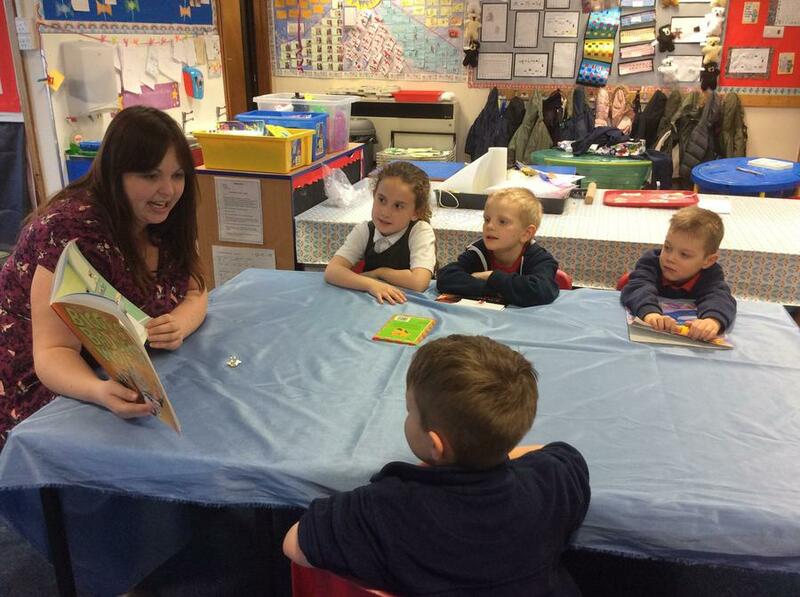 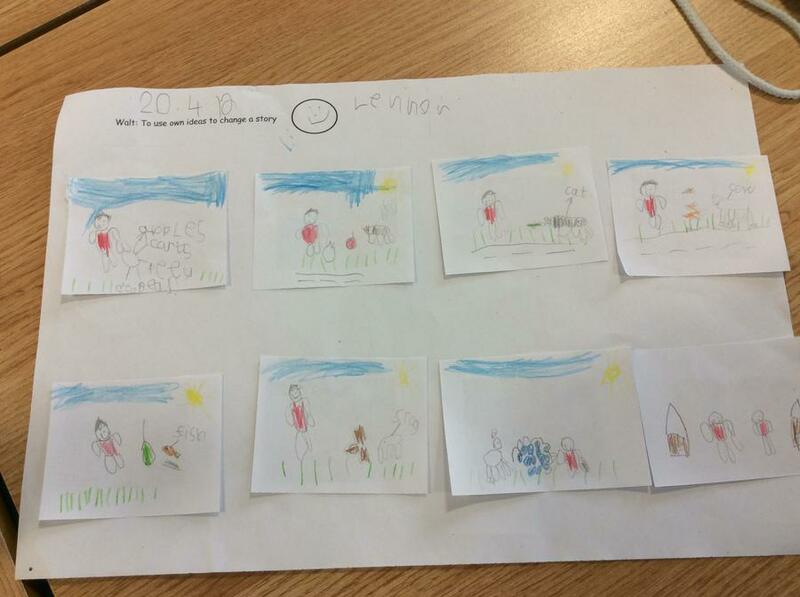 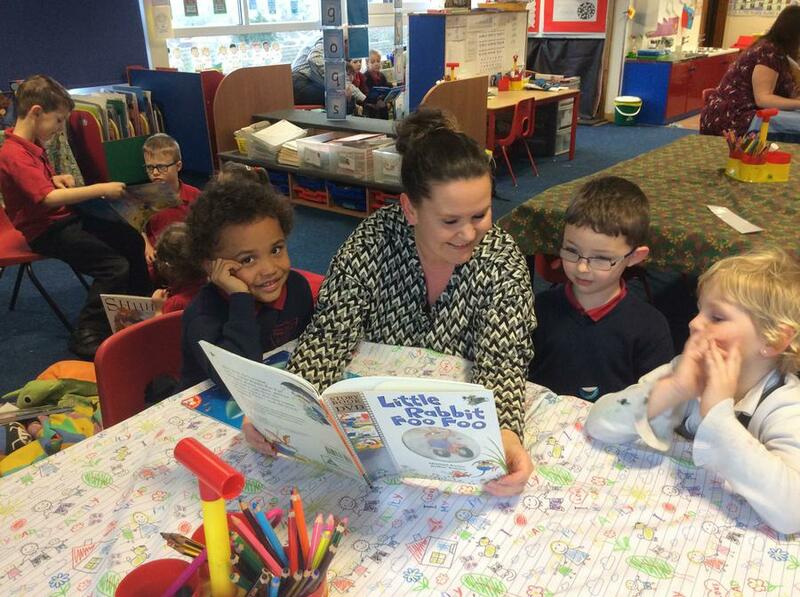 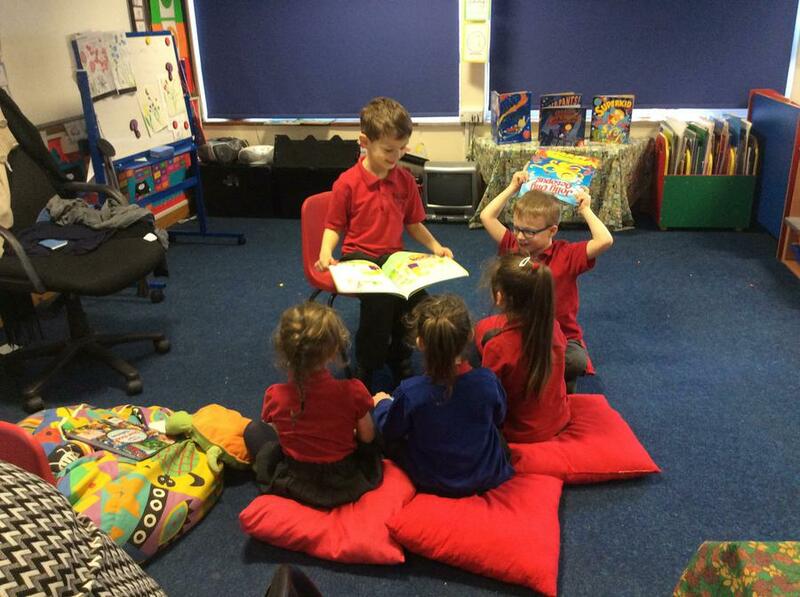 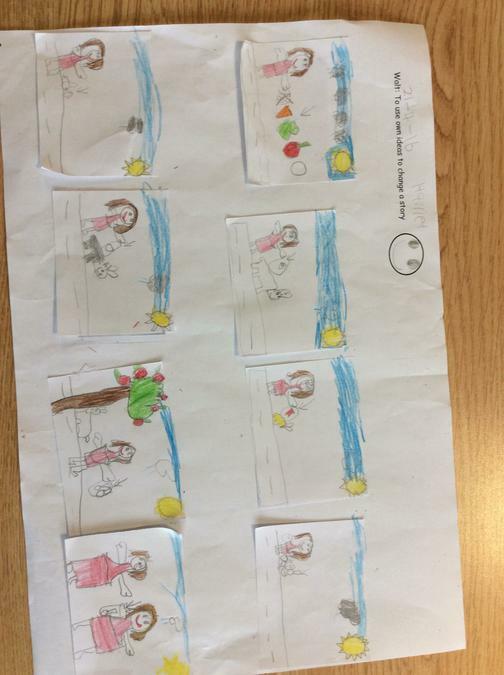 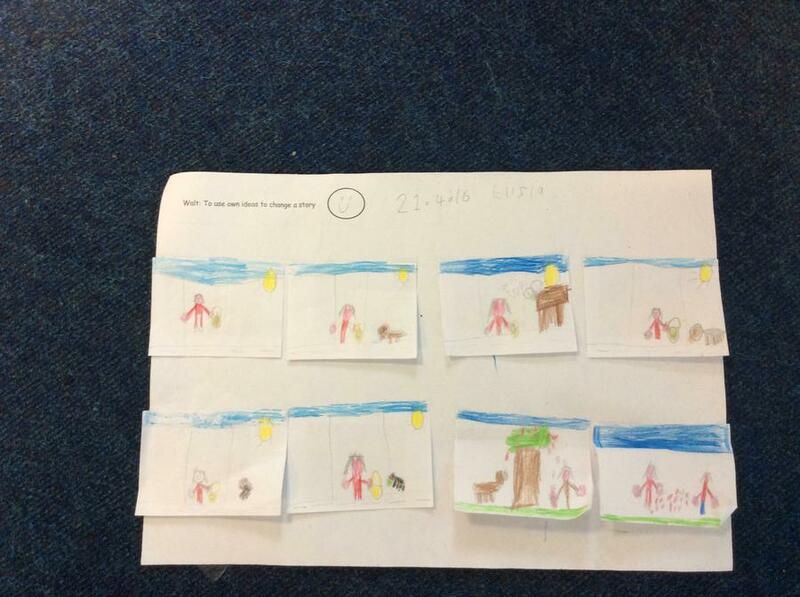 Class 4 read Handa's Surprise and then changed the story to create our own. 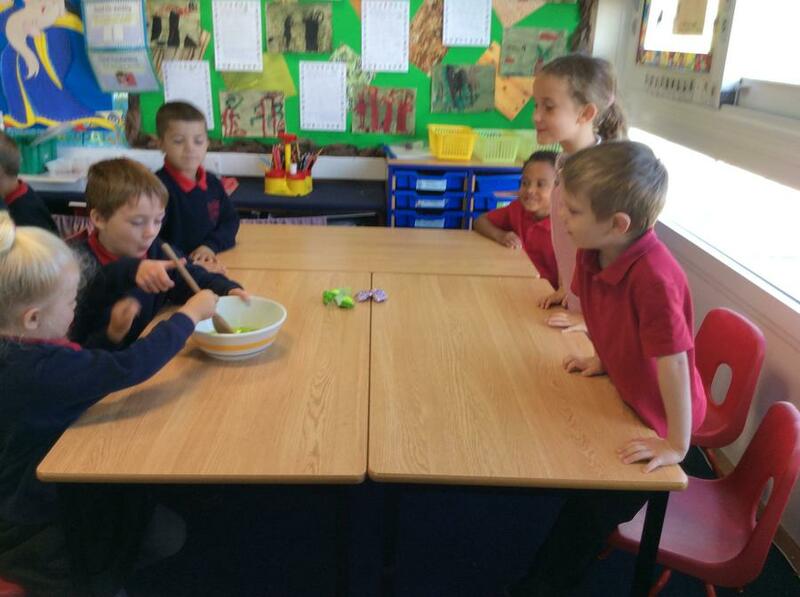 This half term we have been learning about hot and cold. 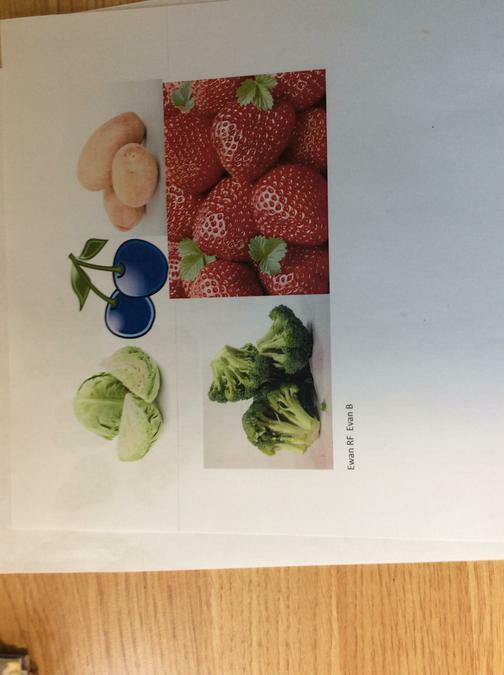 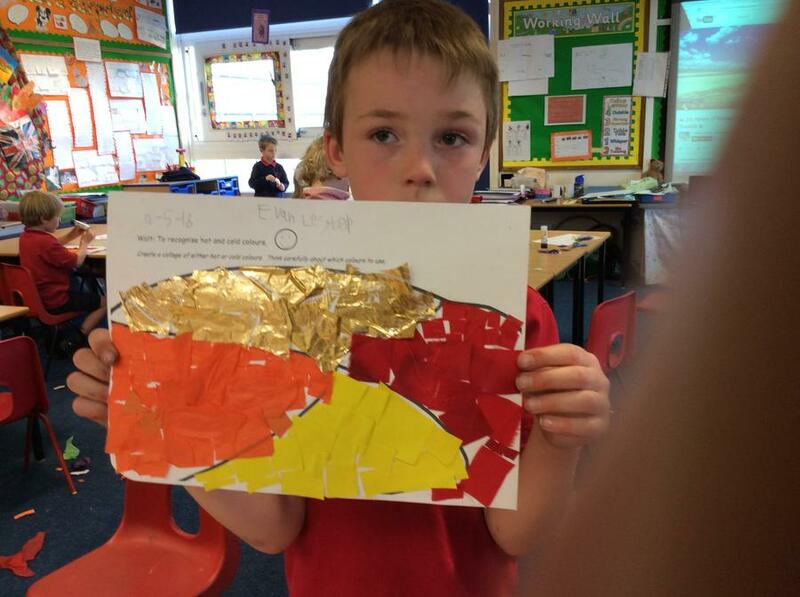 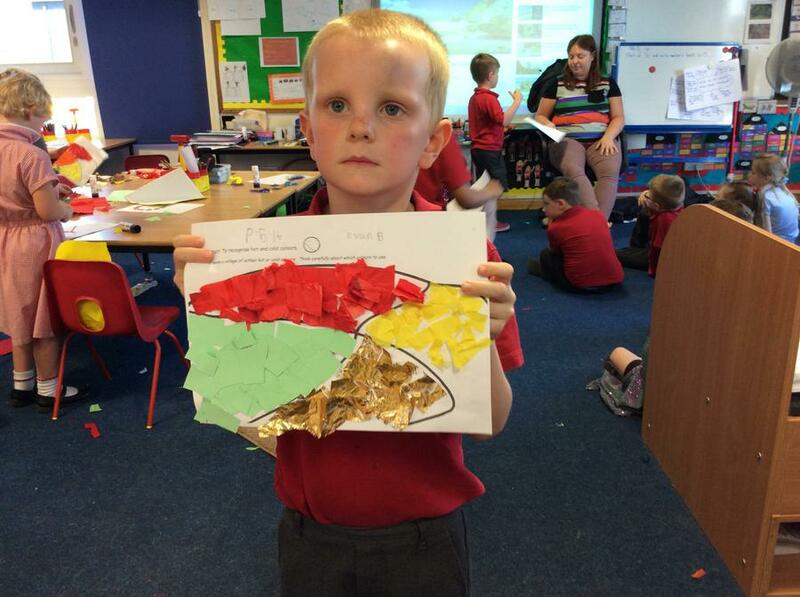 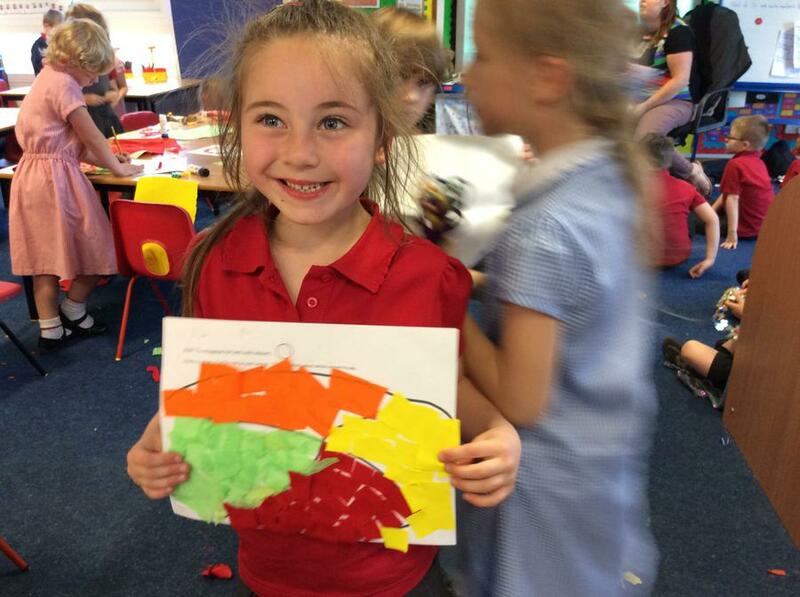 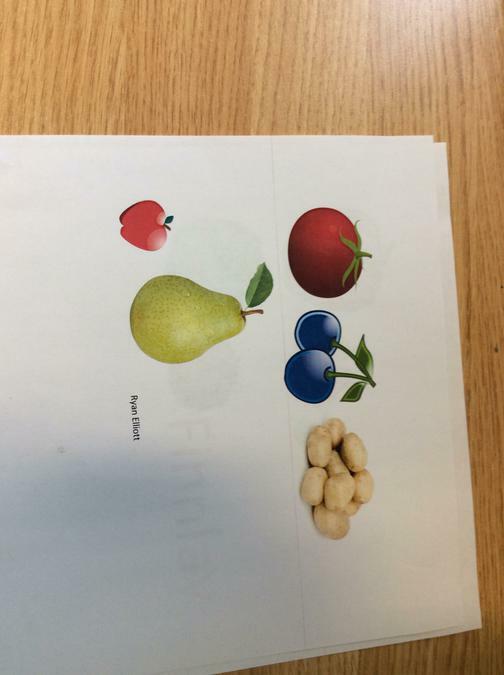 We created hot and cold collages. 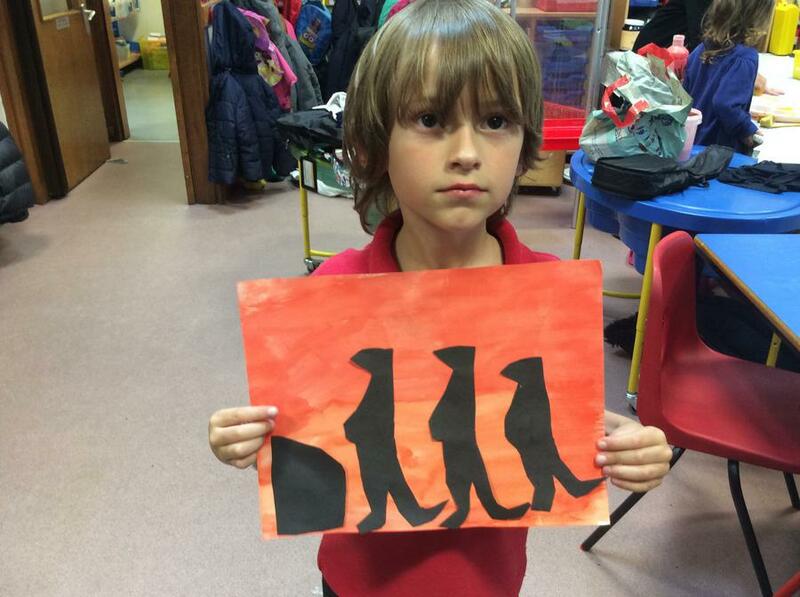 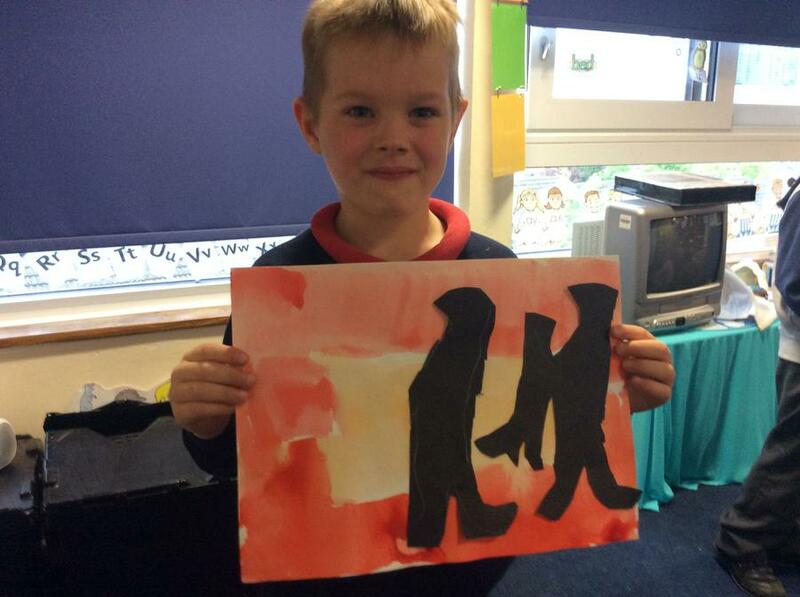 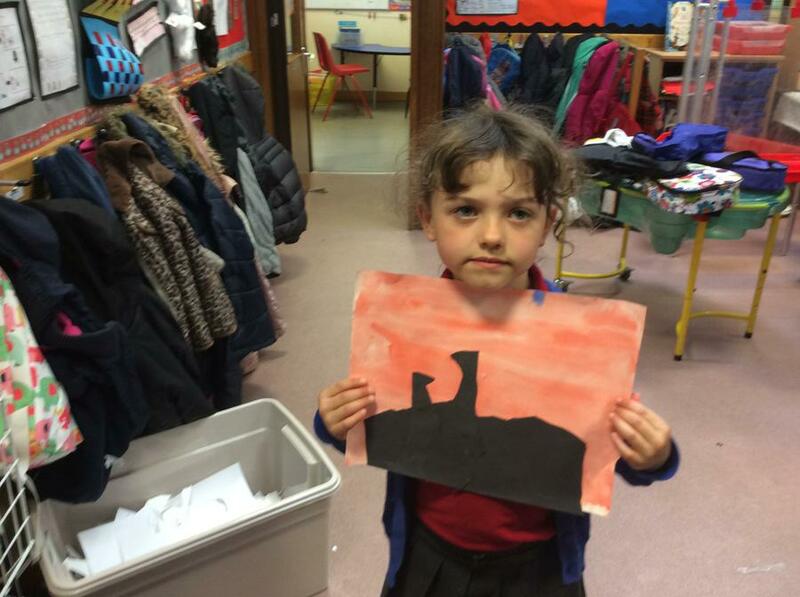 We then made a silhouette of either a hot or cold place. 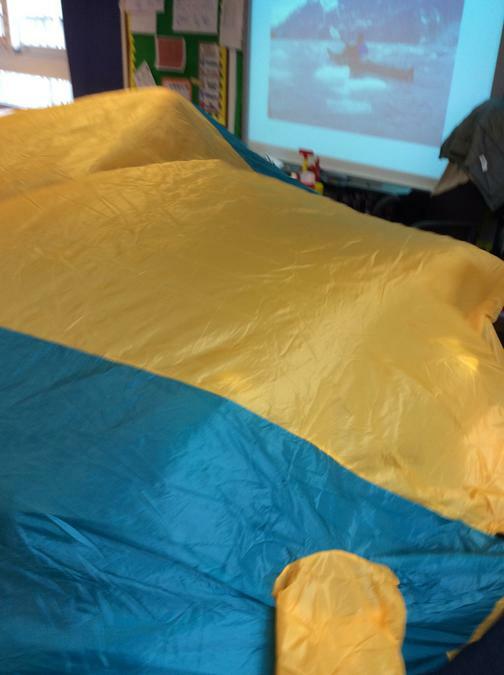 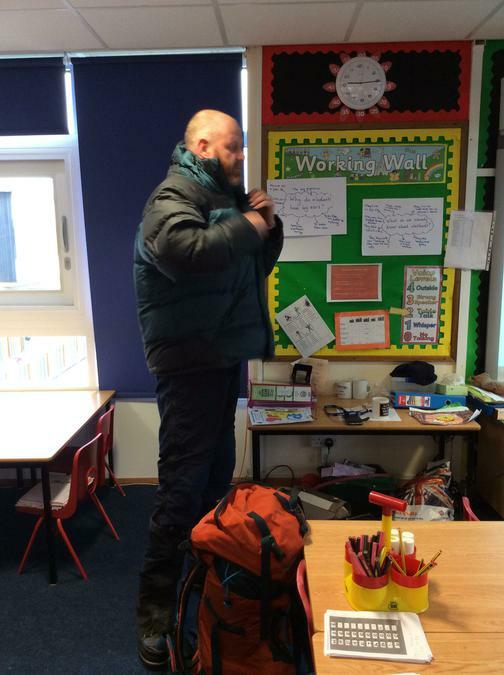 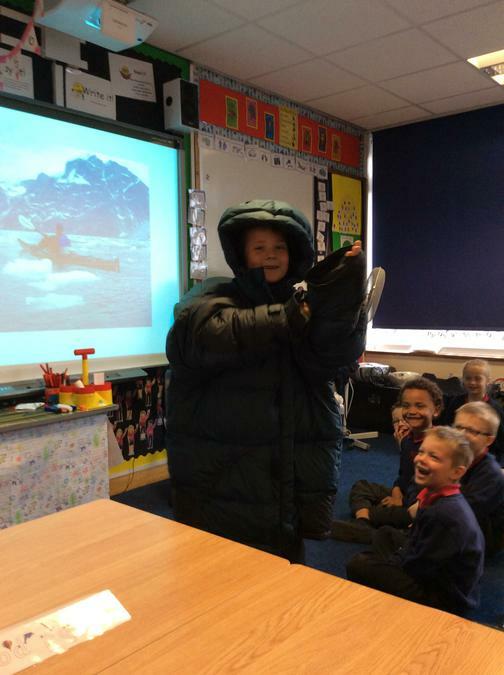 Mr Dunn visited as an Arctic explorer and shared with us some amazing facts and pictures of his adventures! 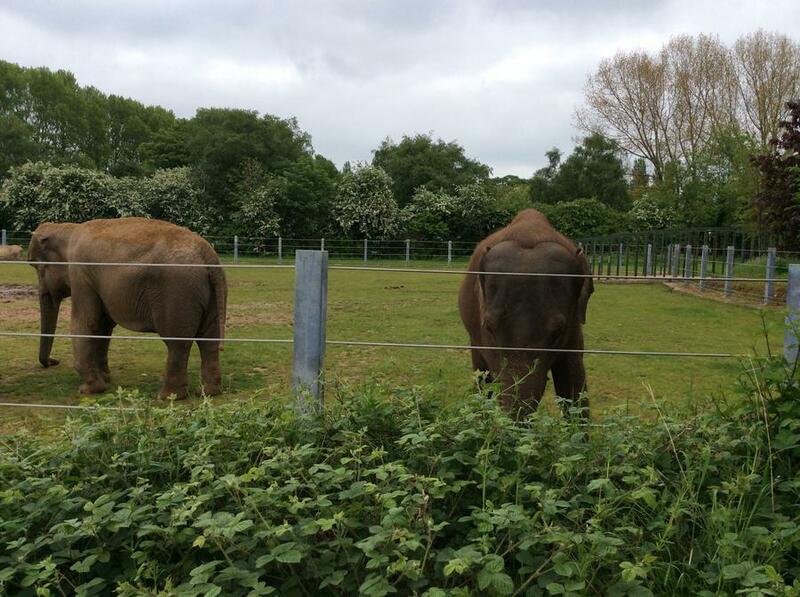 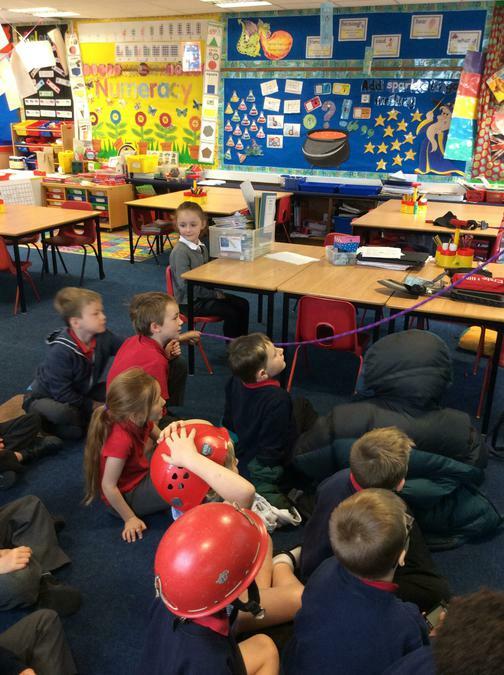 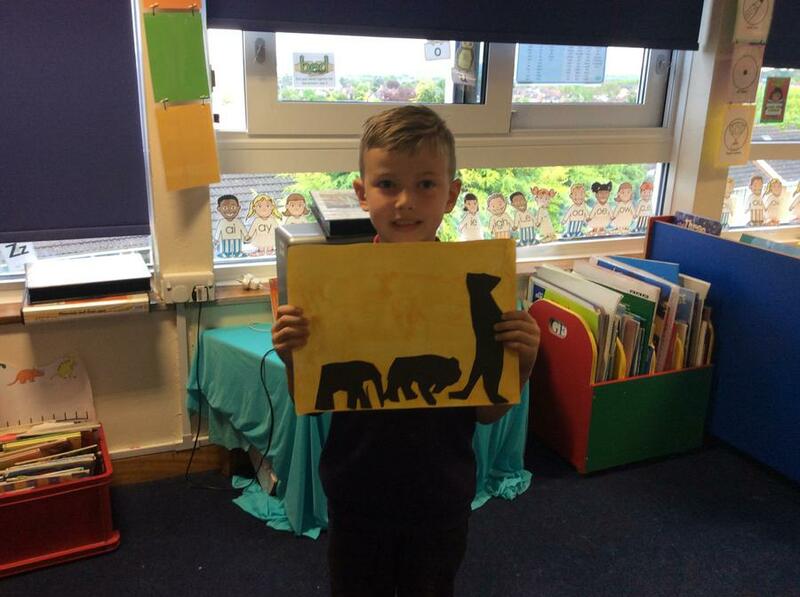 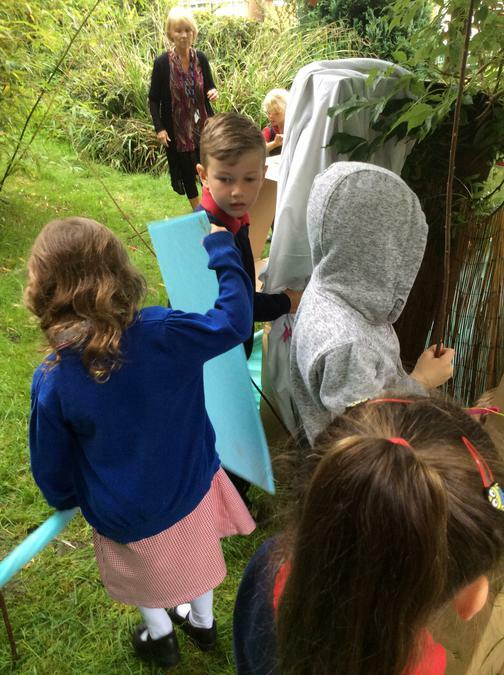 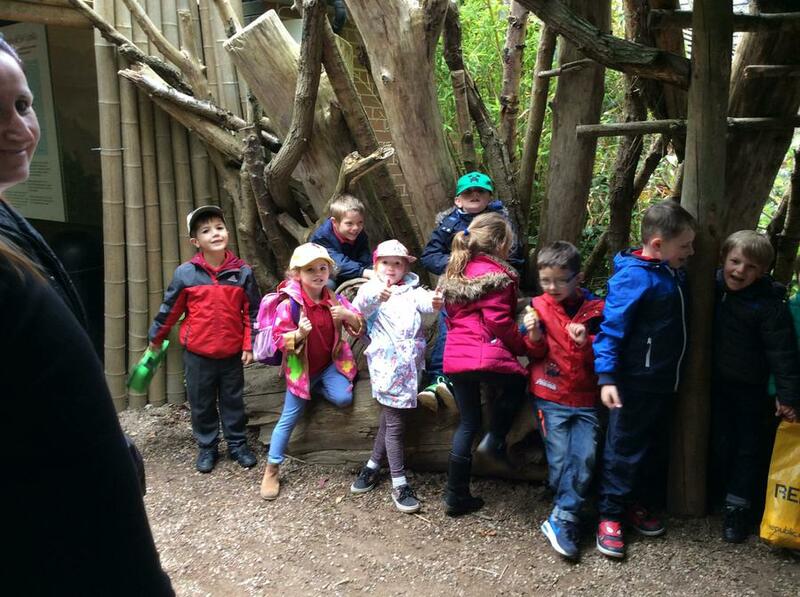 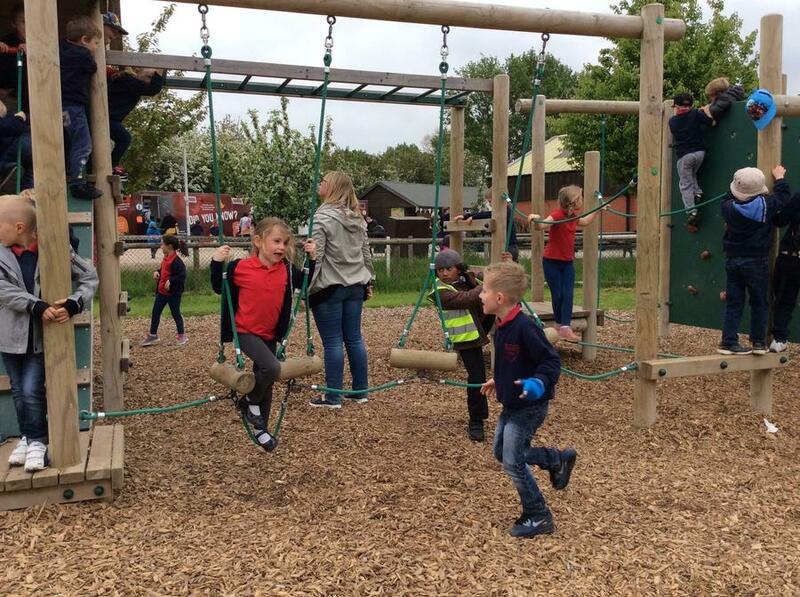 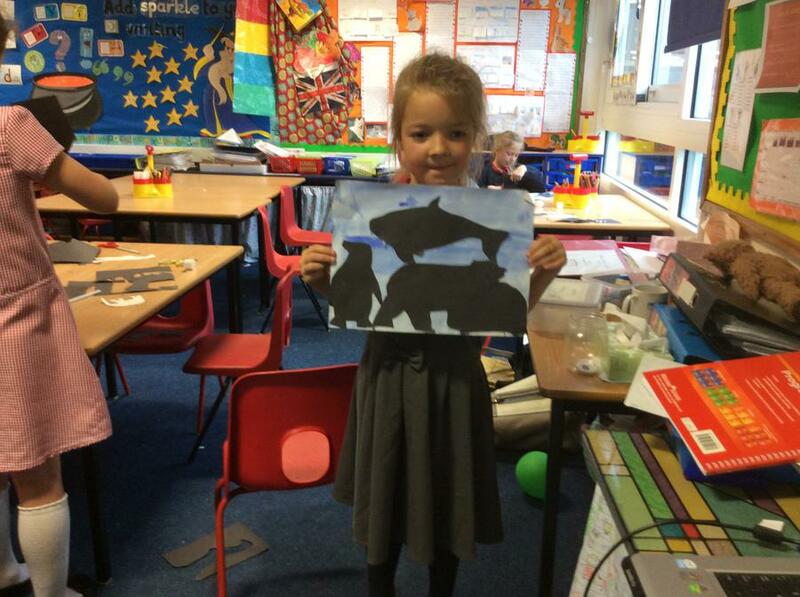 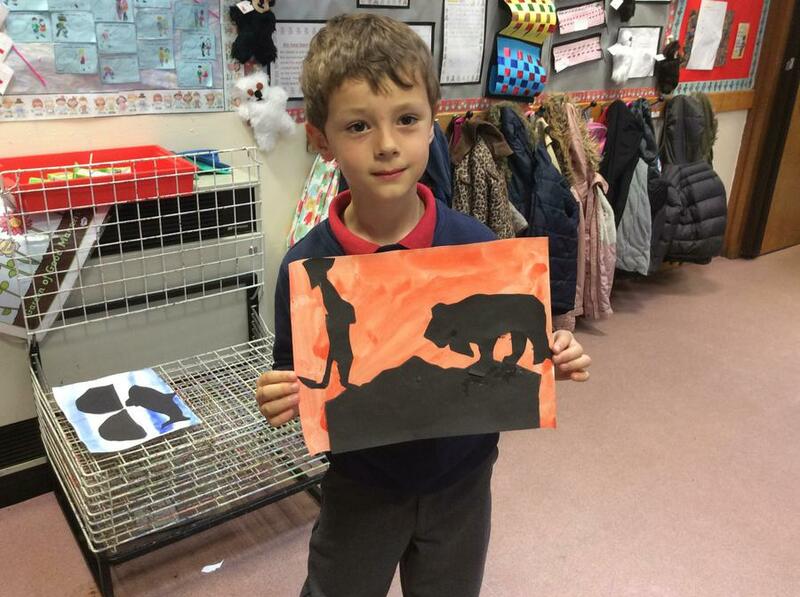 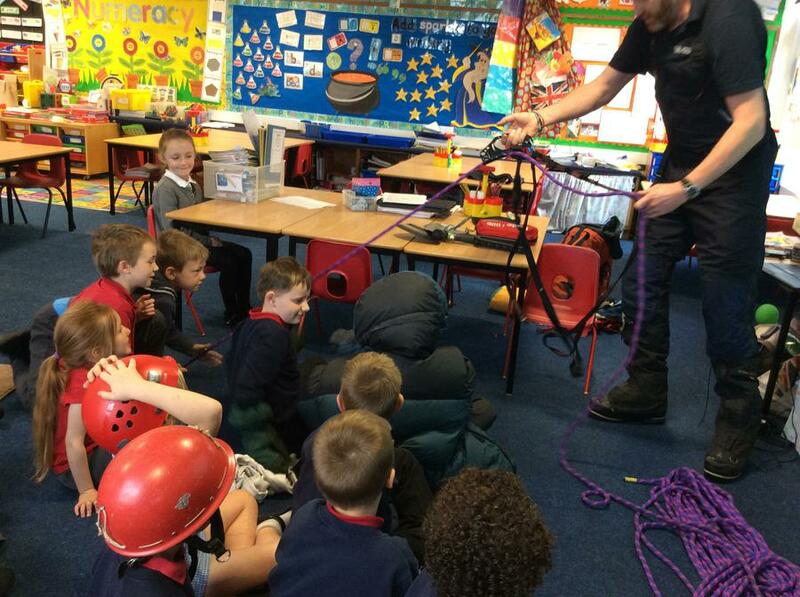 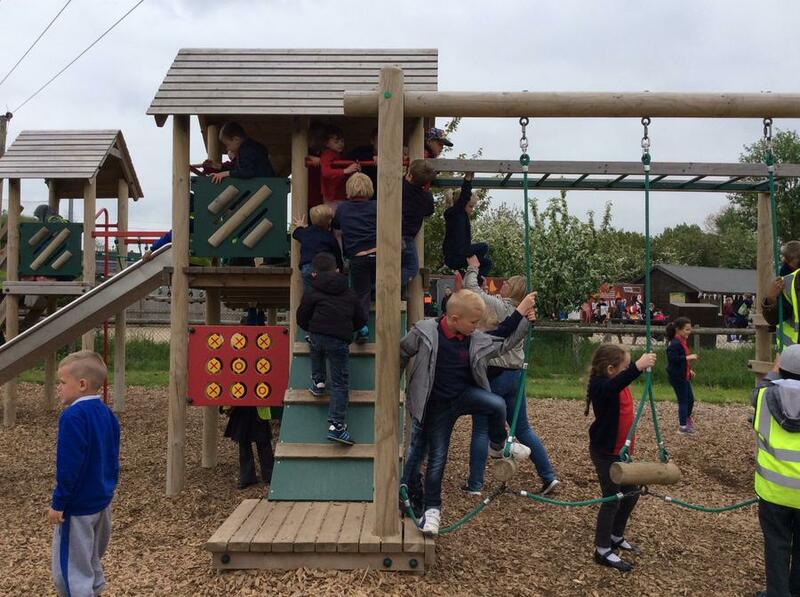 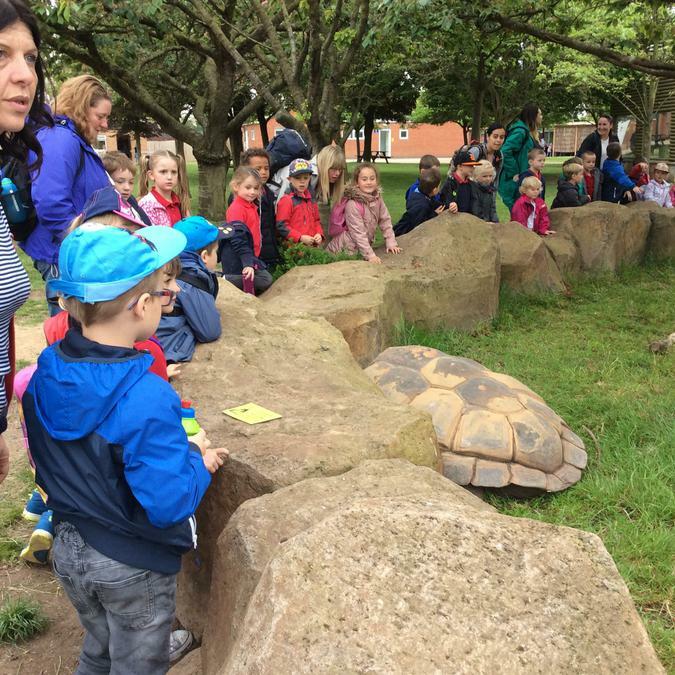 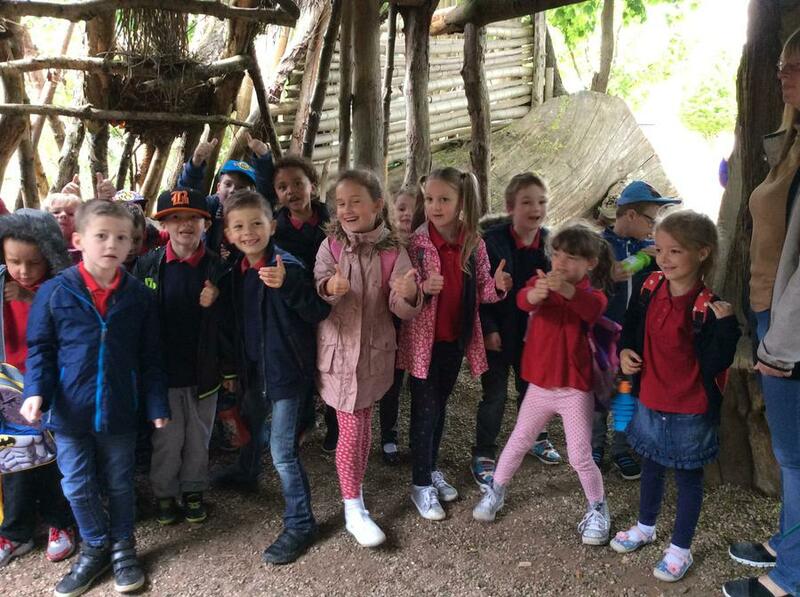 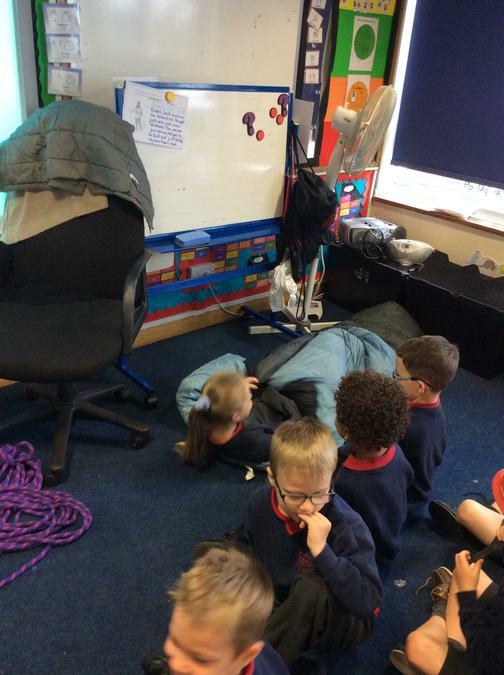 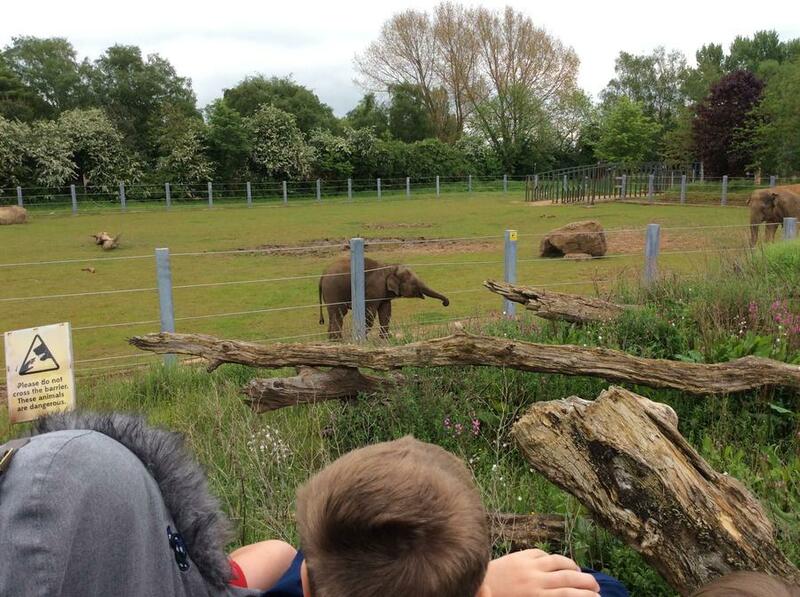 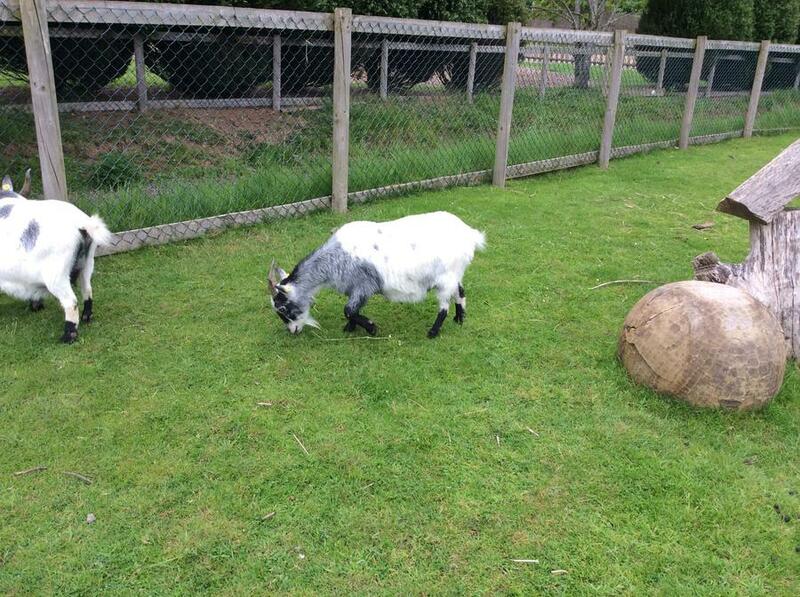 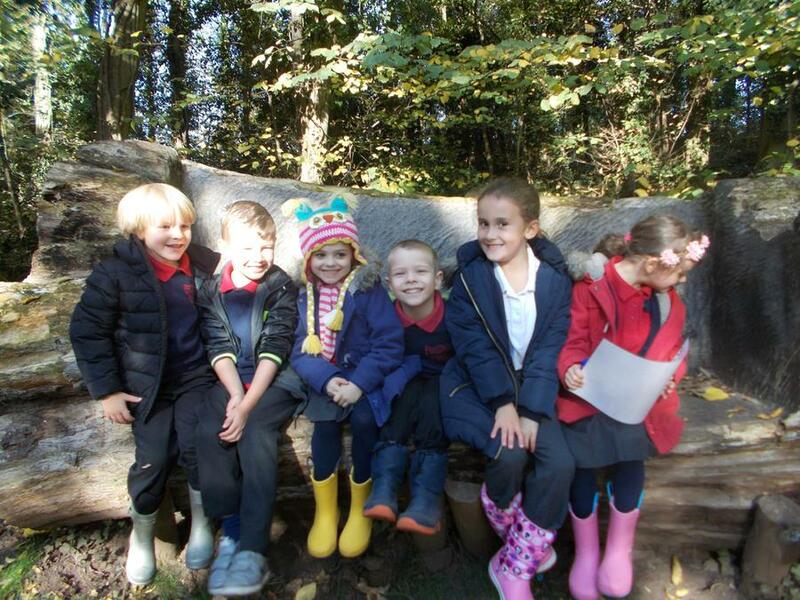 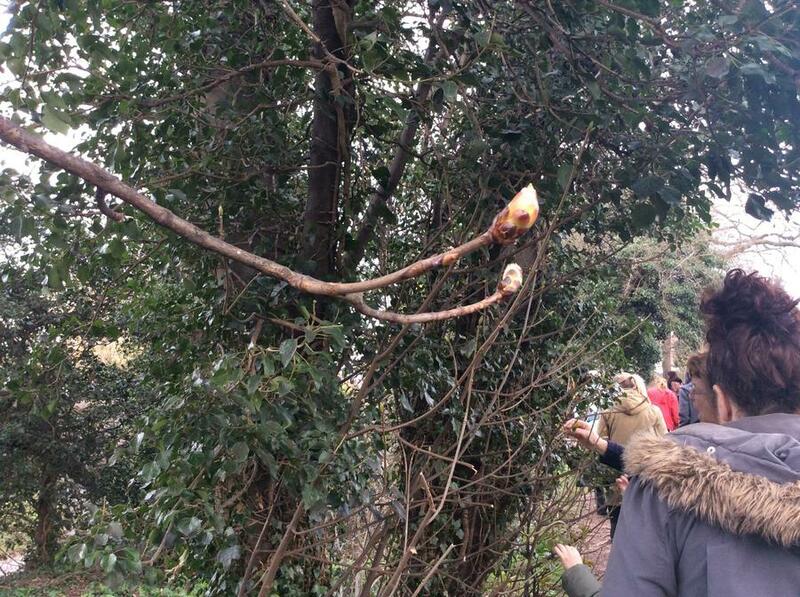 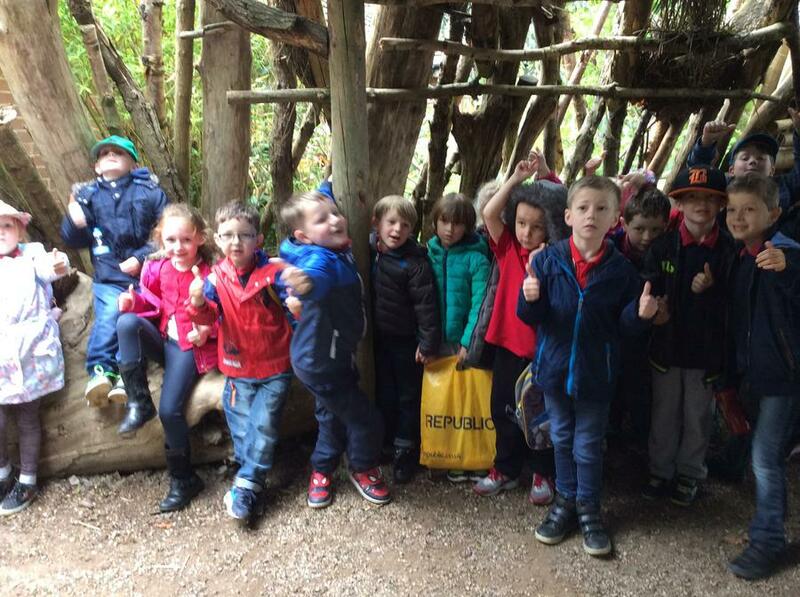 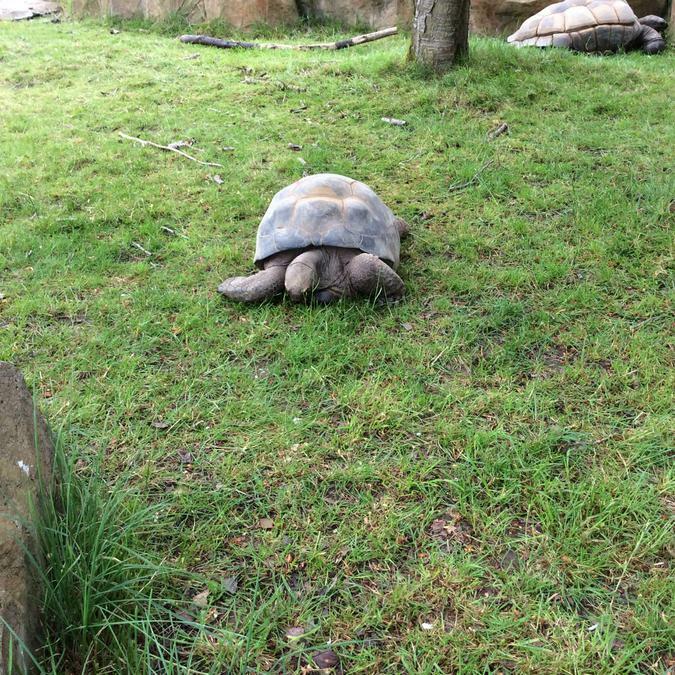 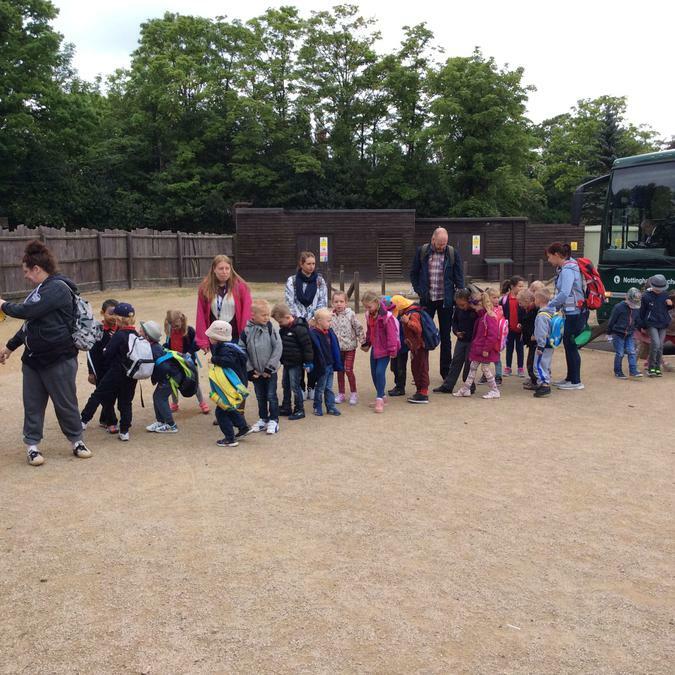 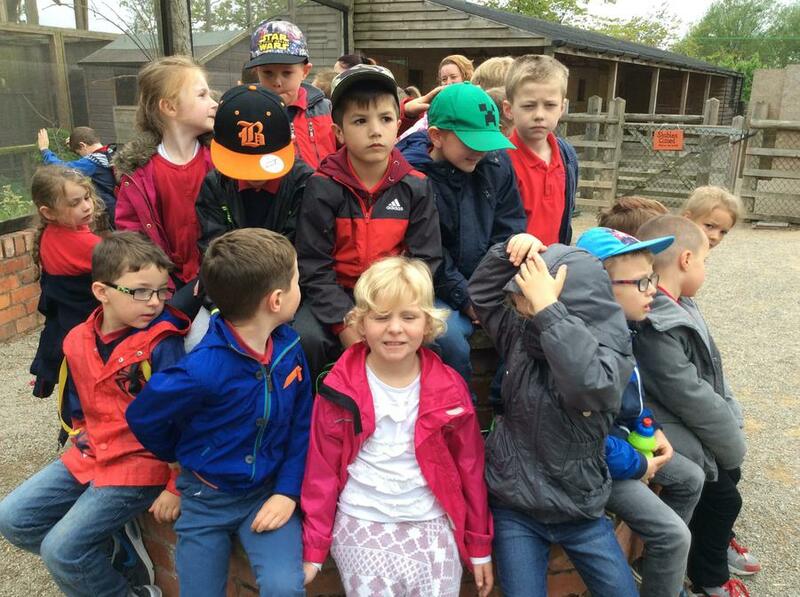 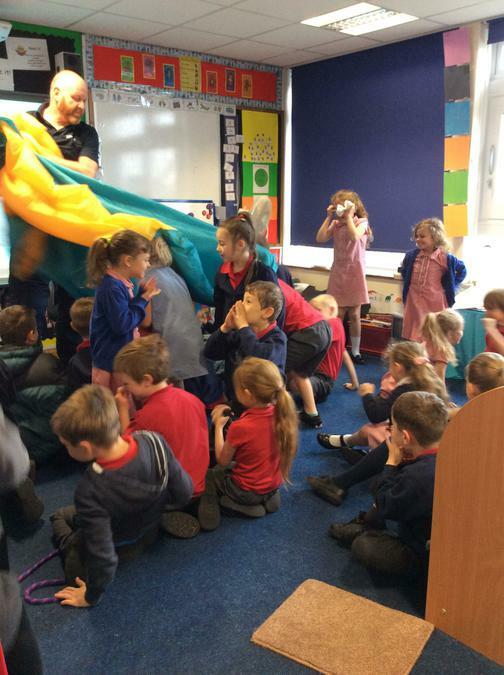 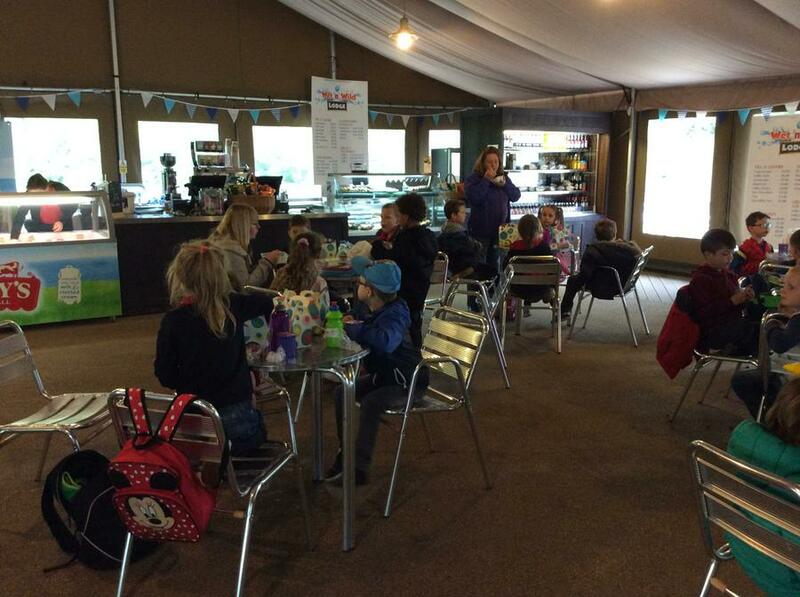 Class 4 went to the zoo. 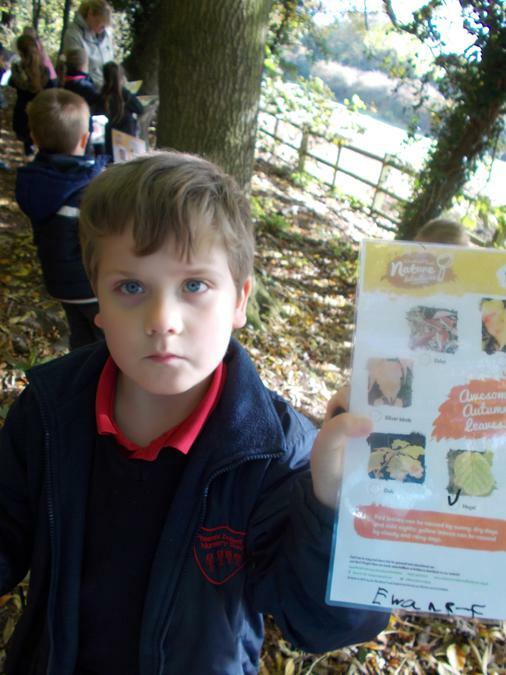 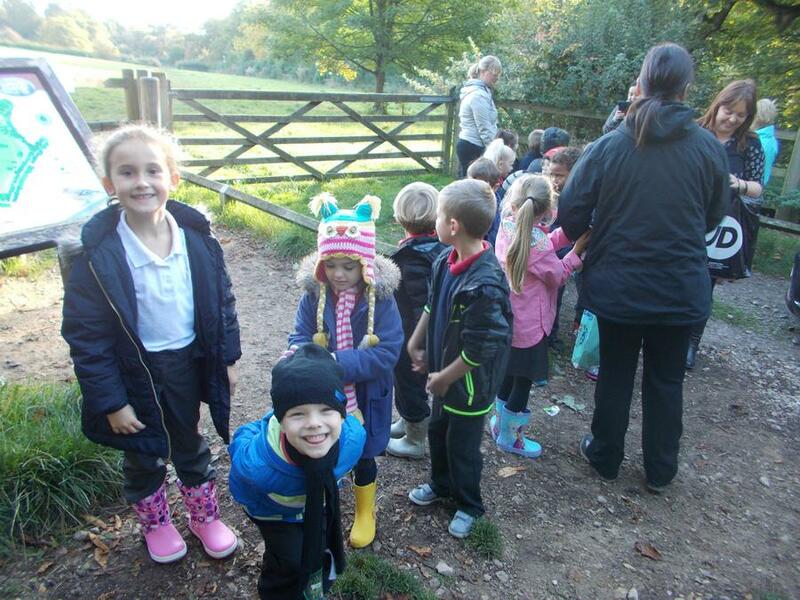 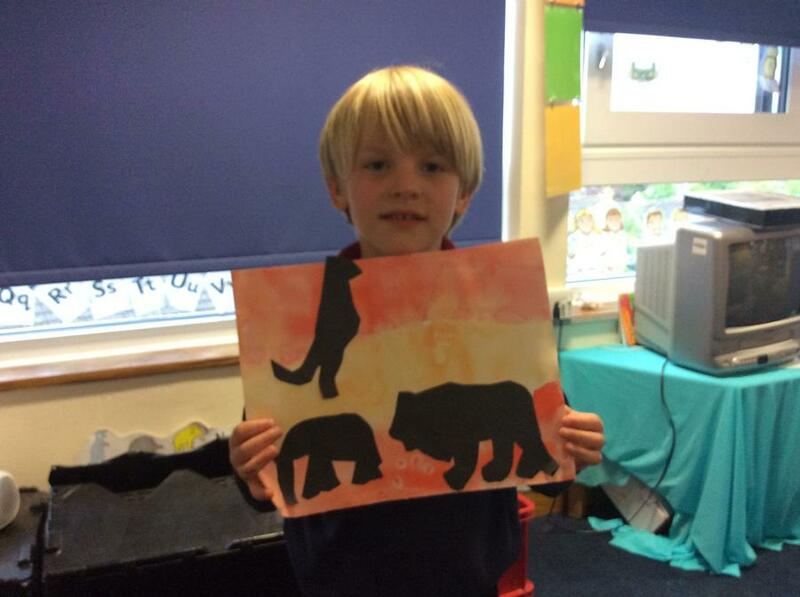 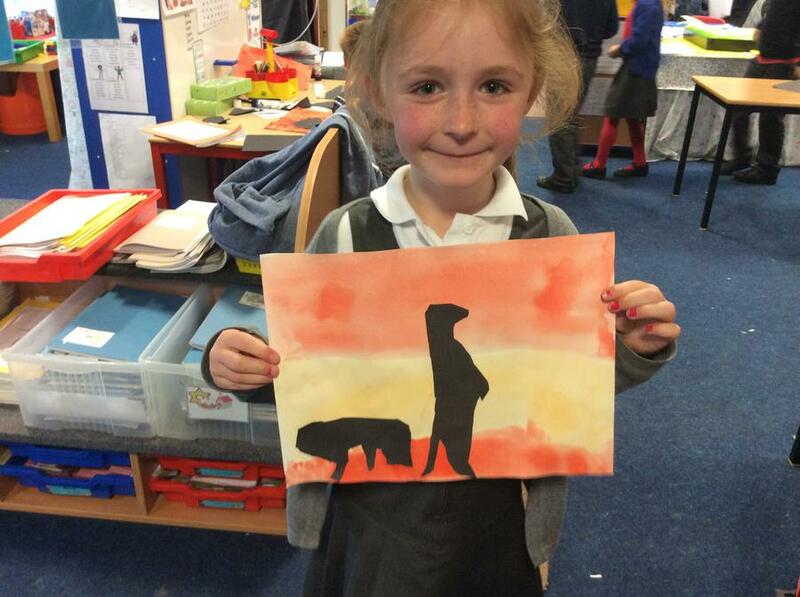 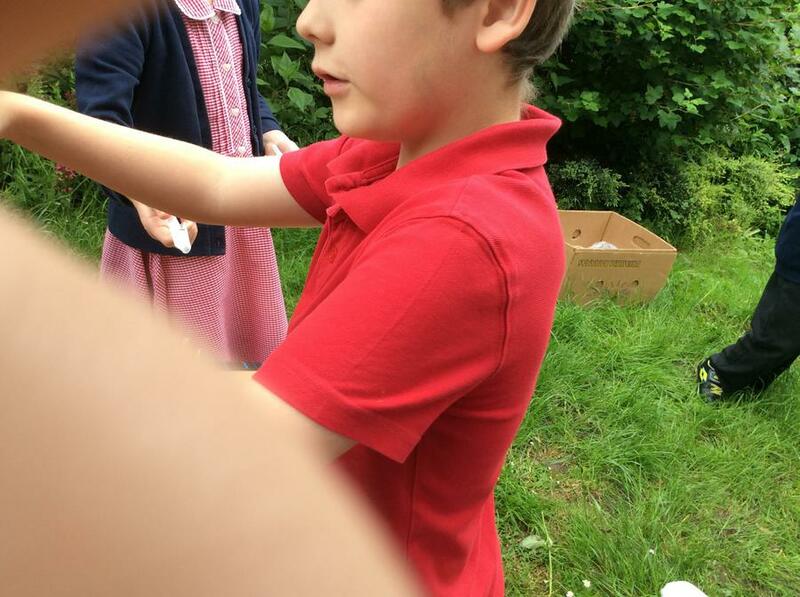 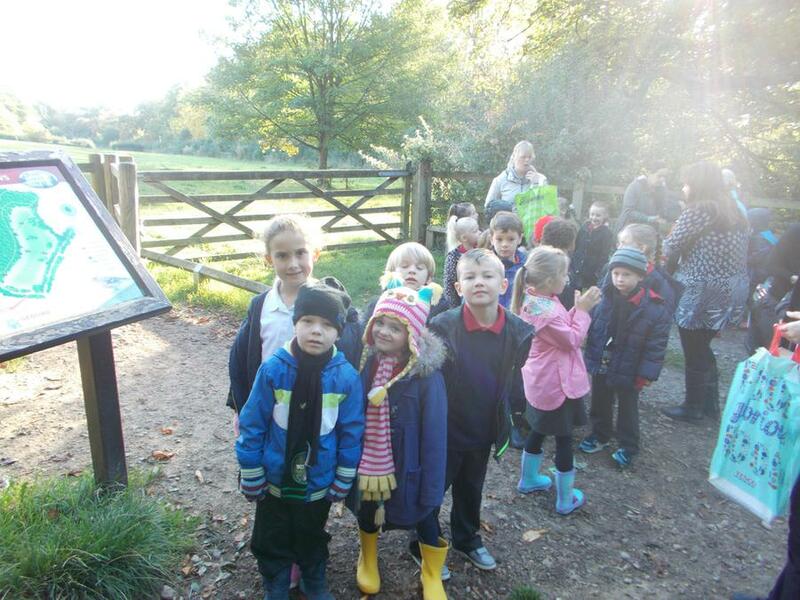 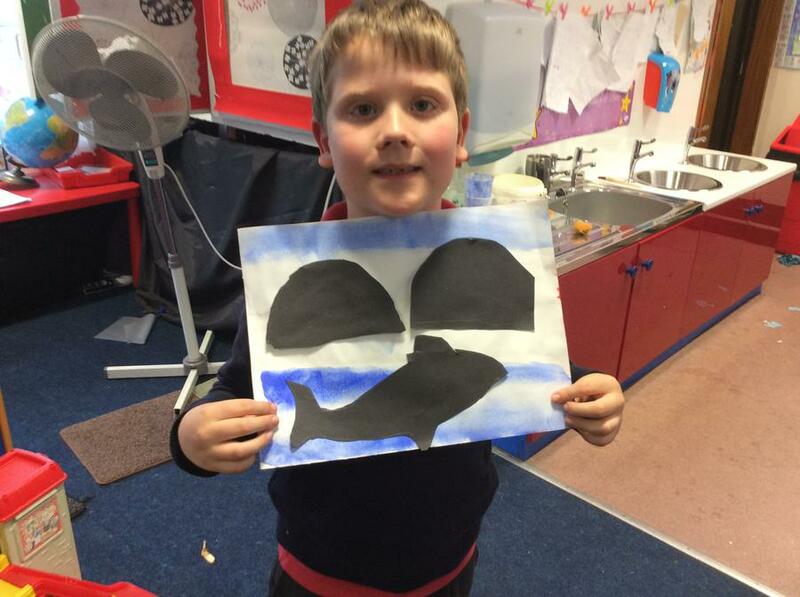 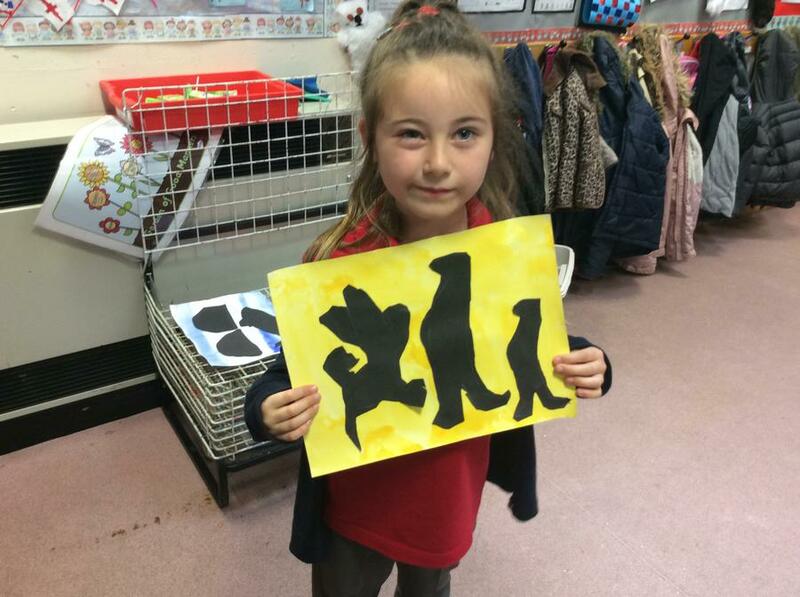 We had a great time spotting the animals we had been learning about. 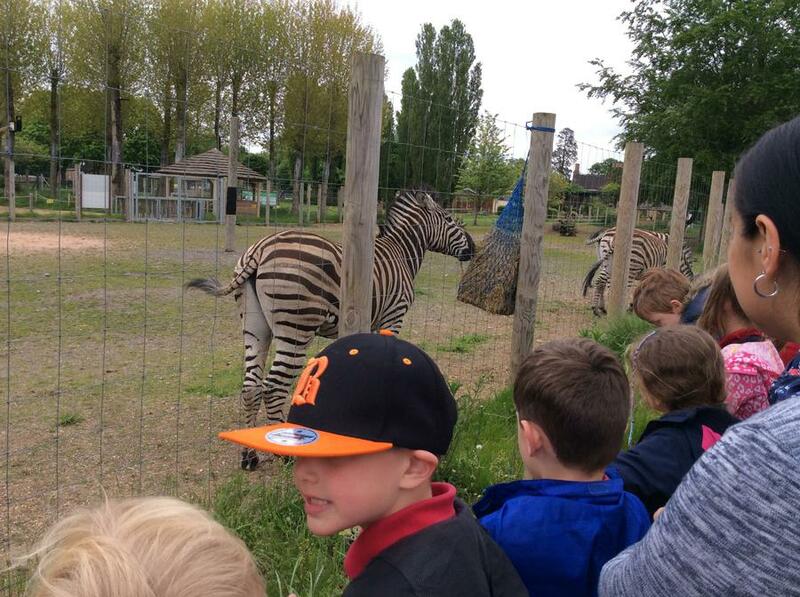 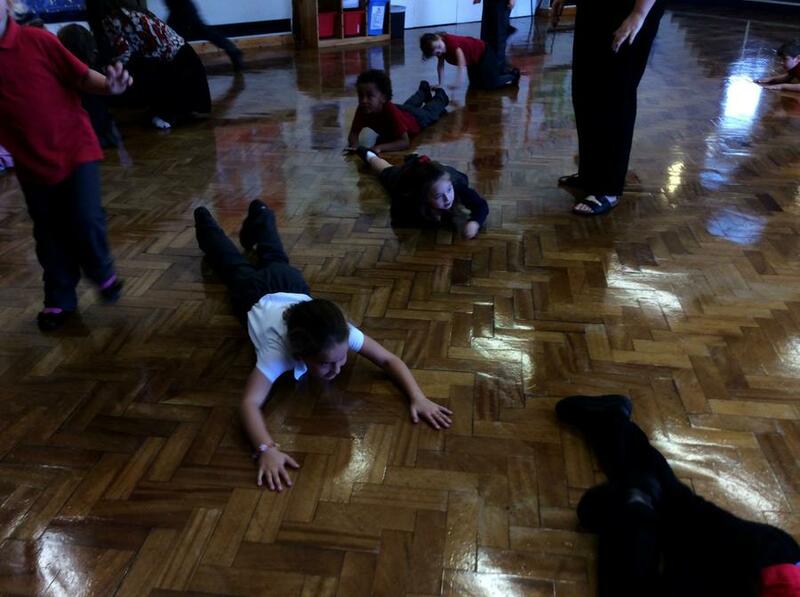 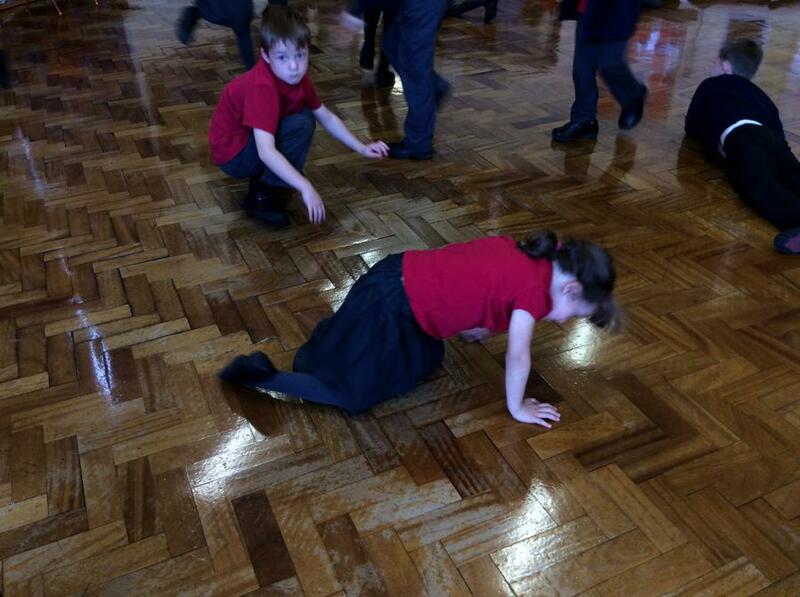 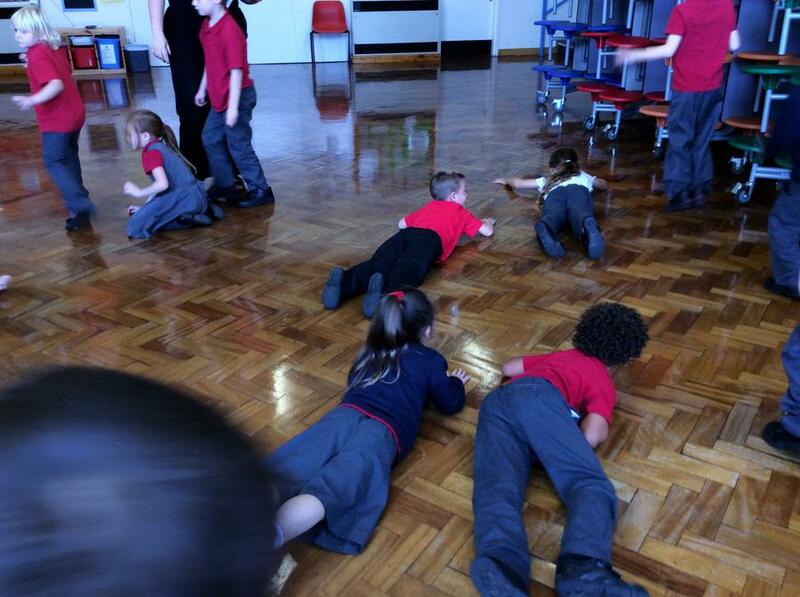 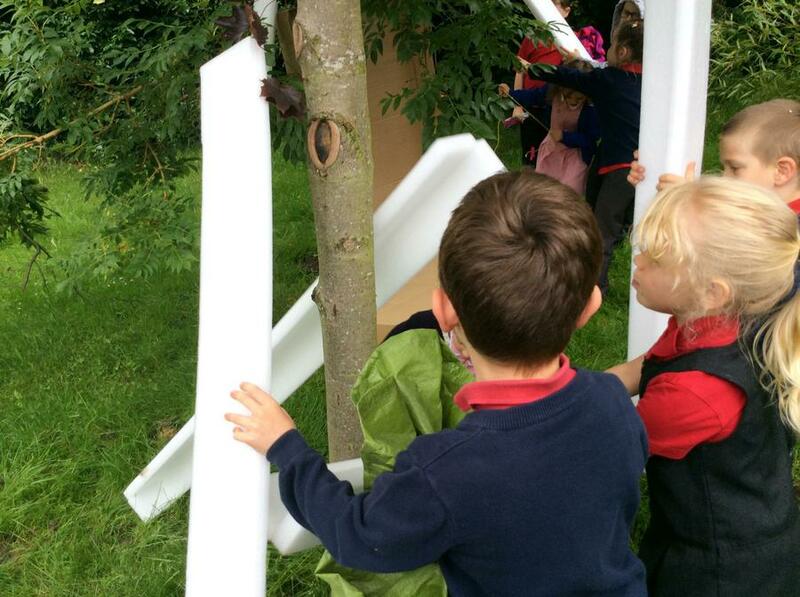 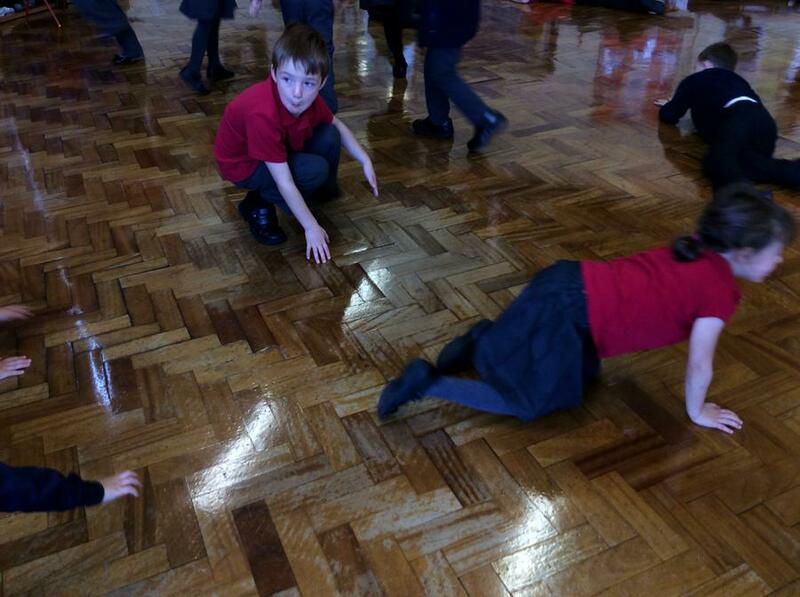 The children could tell the grownups so much information about why Elephants roll in mud and why zebras are stripey. 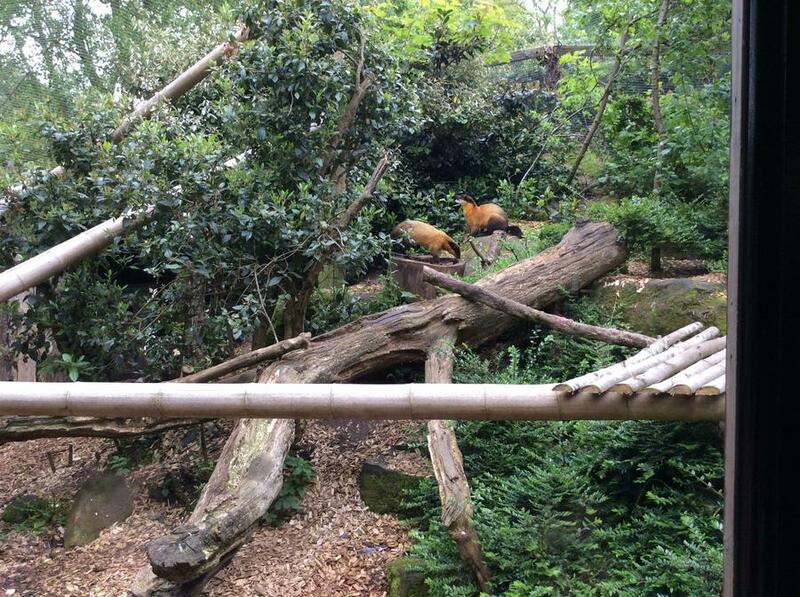 The most exciting part of the day was when an animal escaped but fortunately it was only a Gibbon and we were soon allowed to go back and explore. 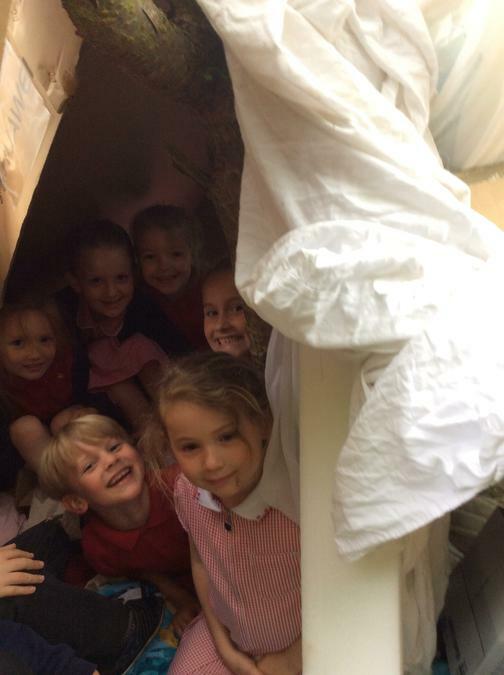 Den day! 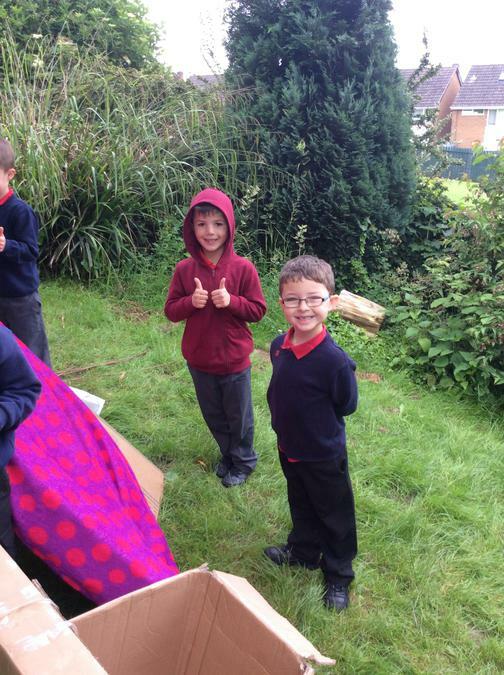 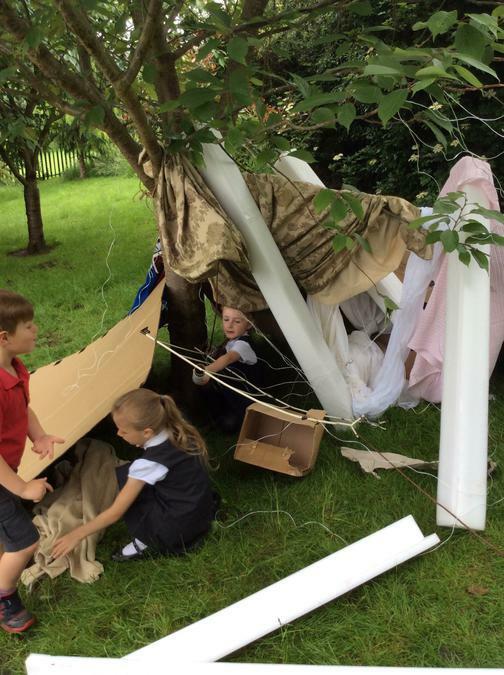 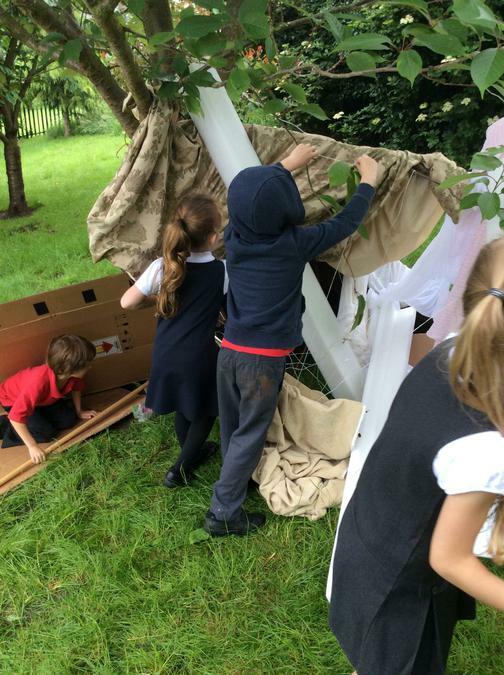 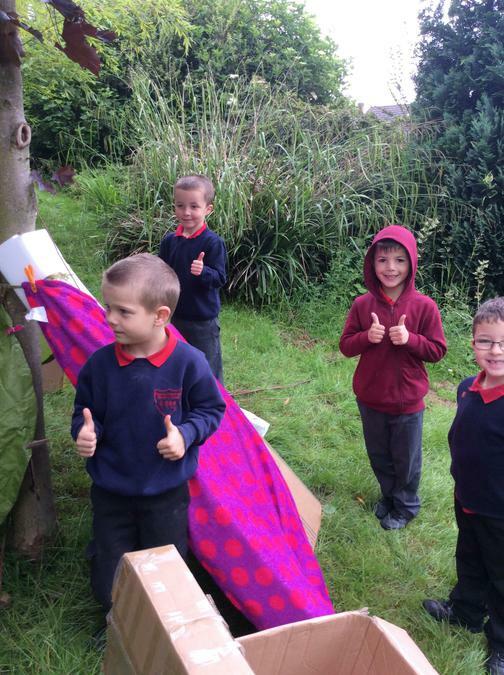 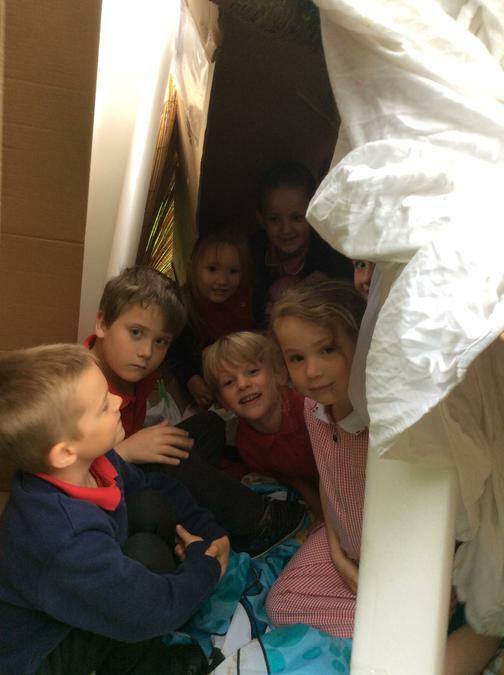 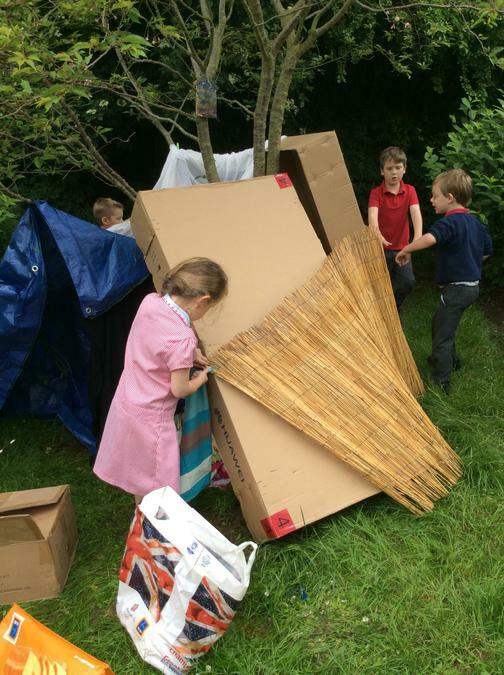 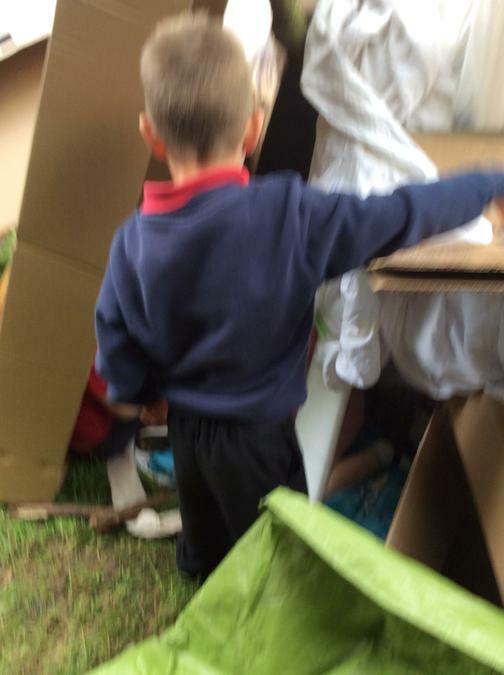 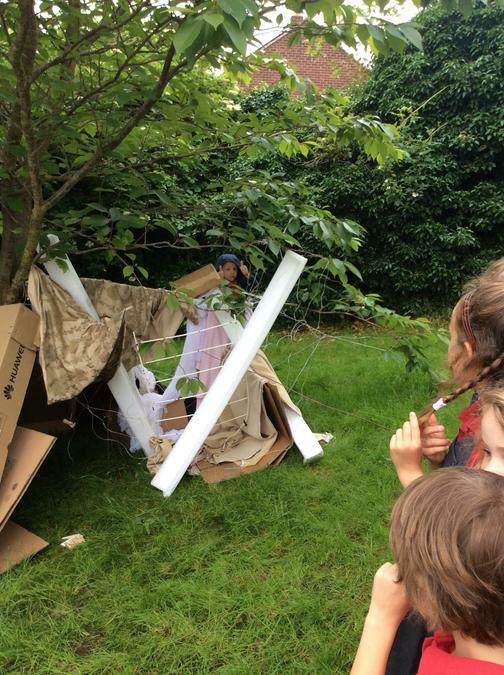 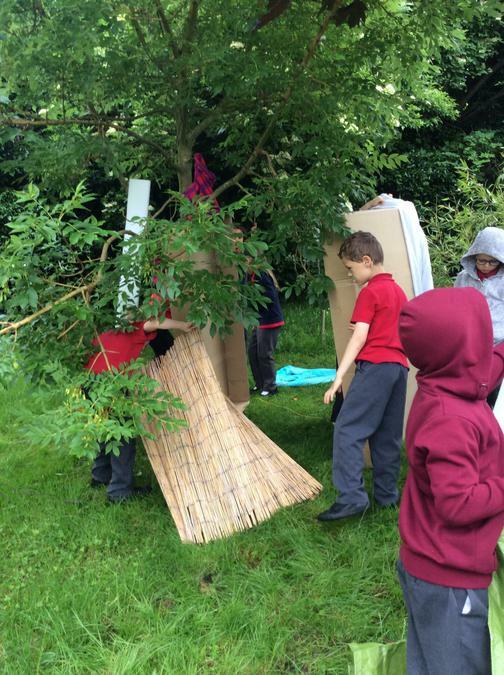 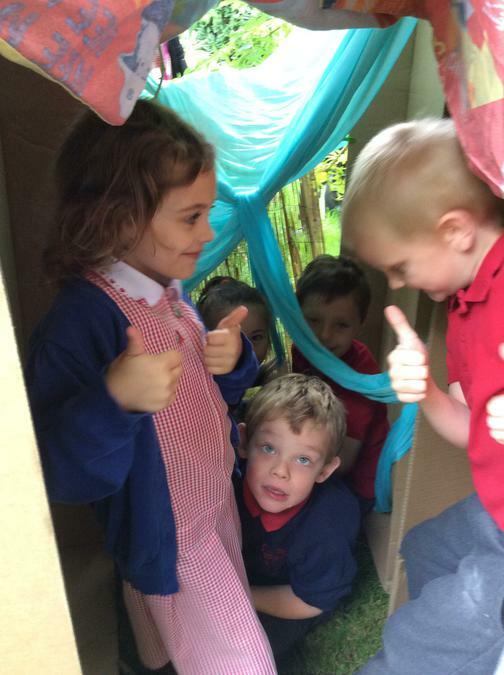 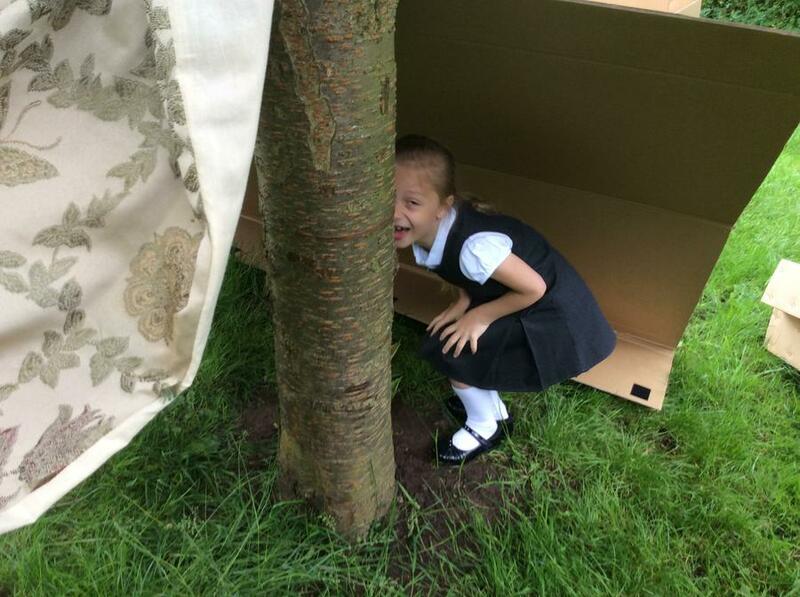 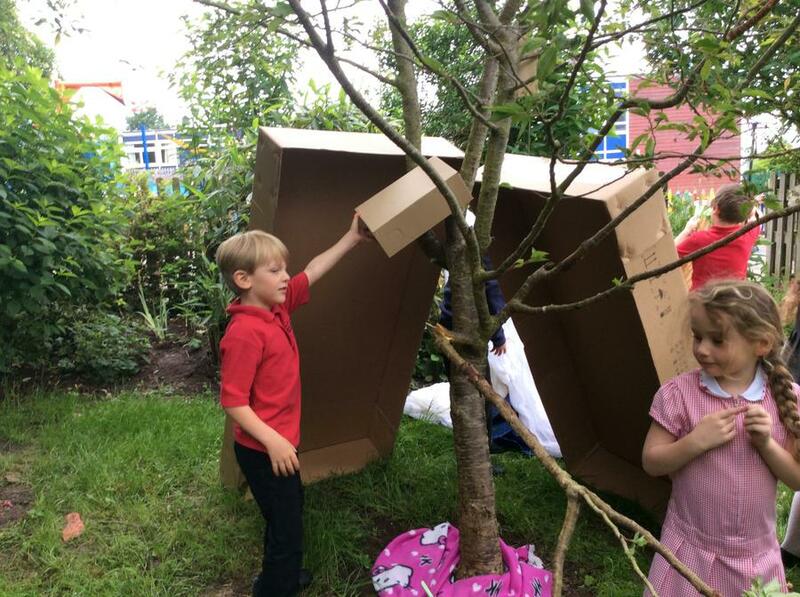 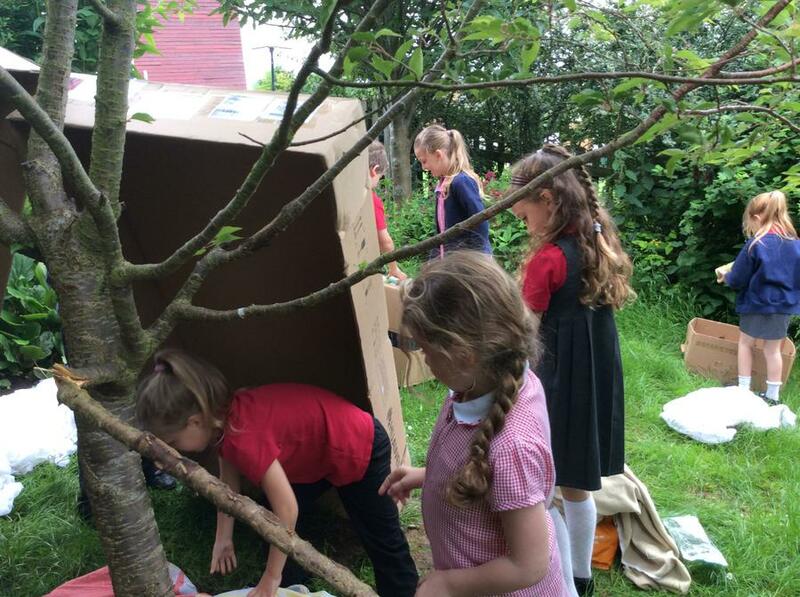 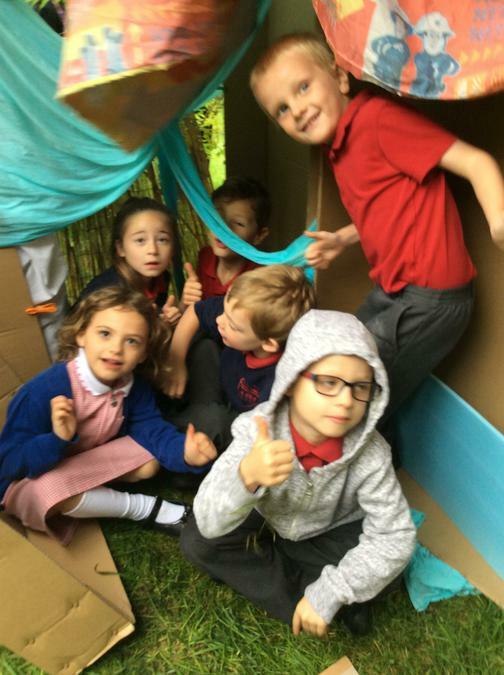 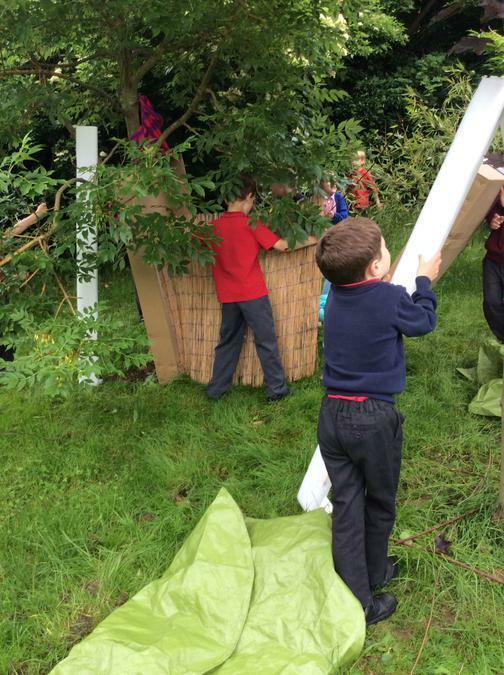 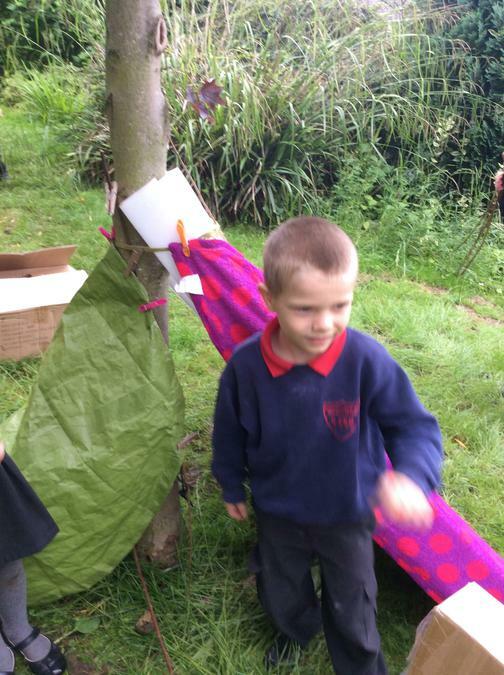 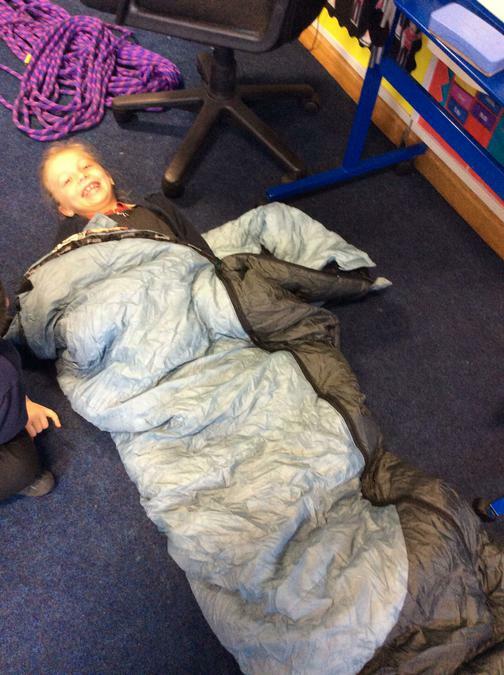 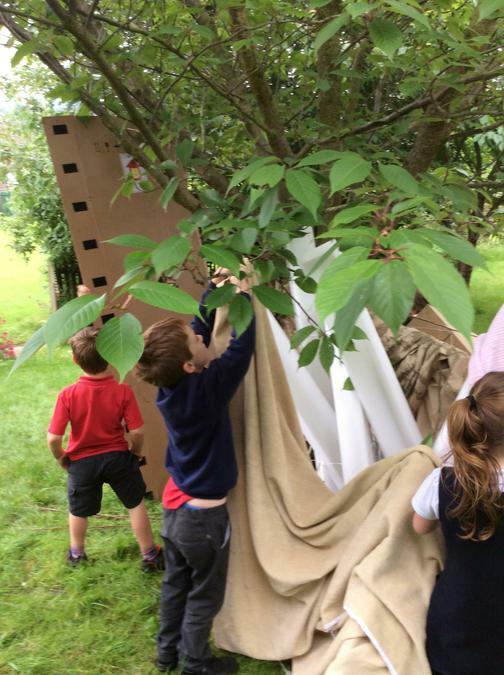 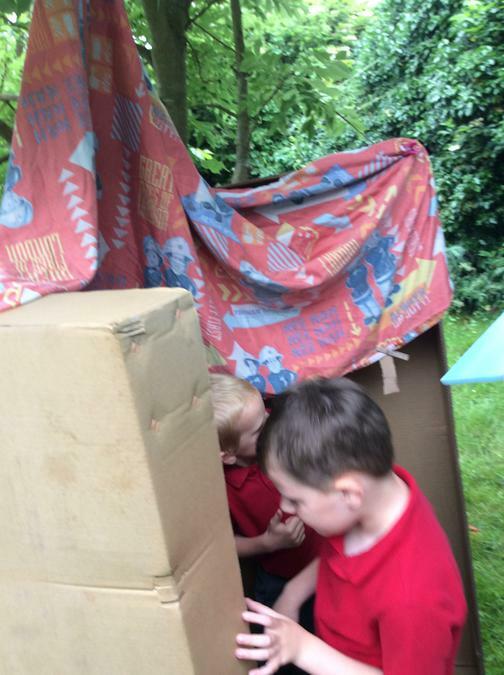 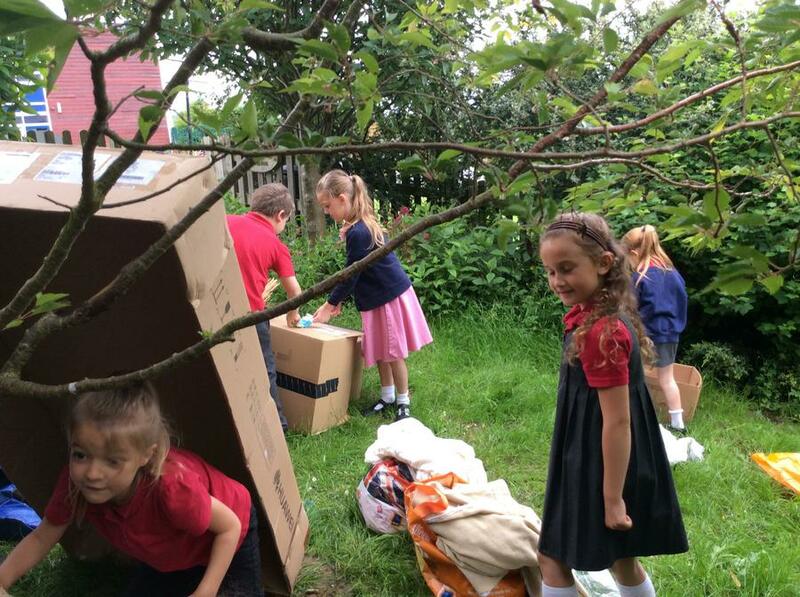 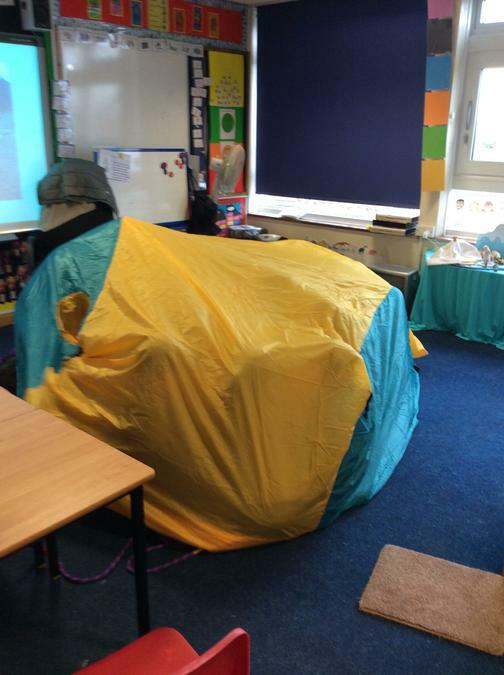 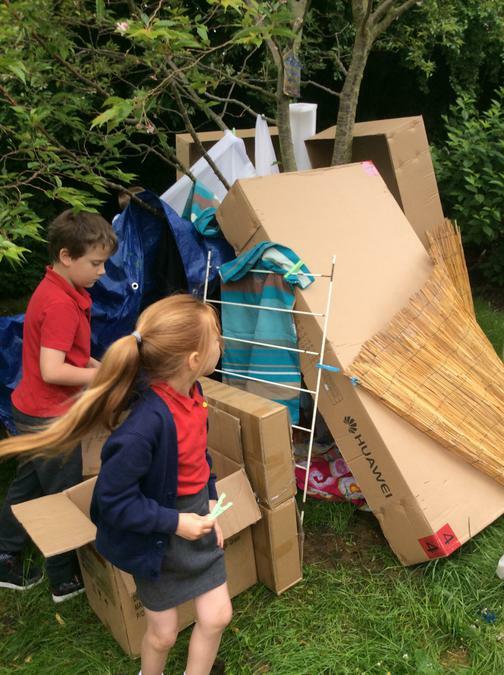 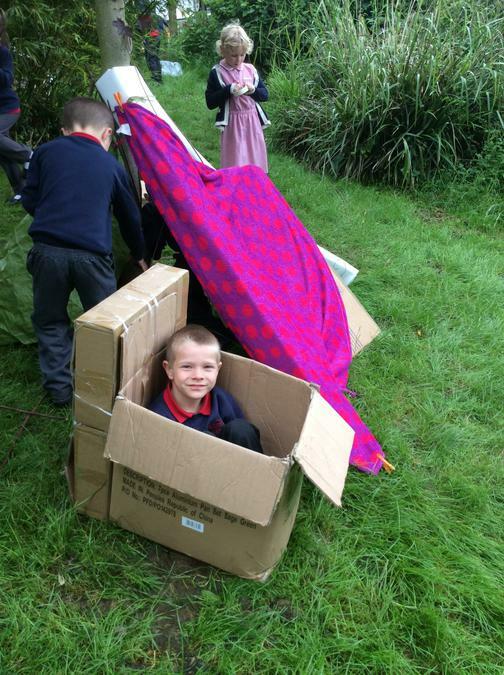 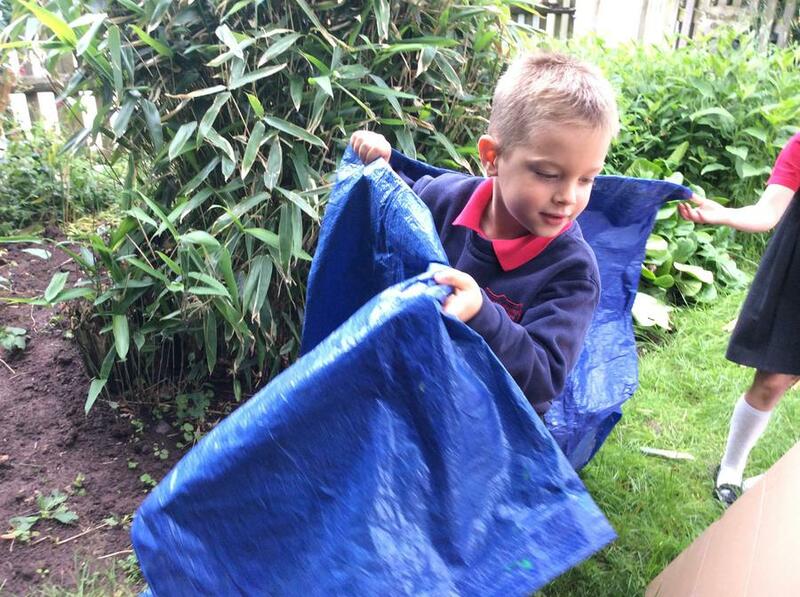 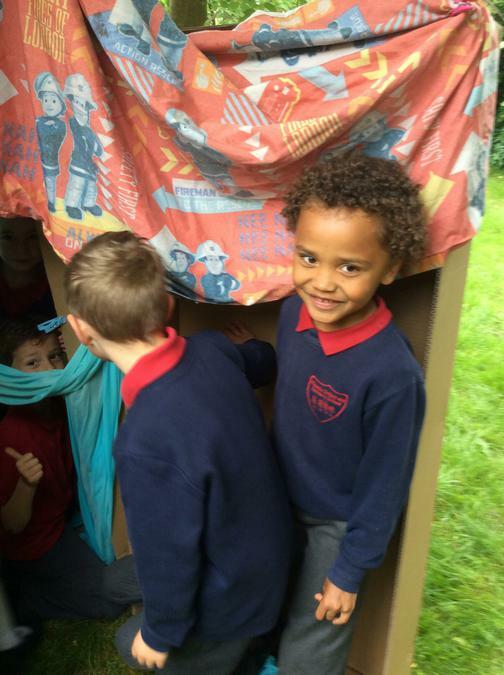 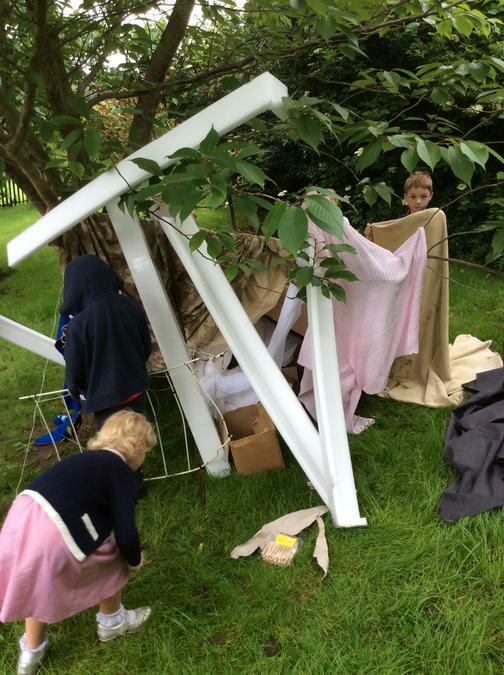 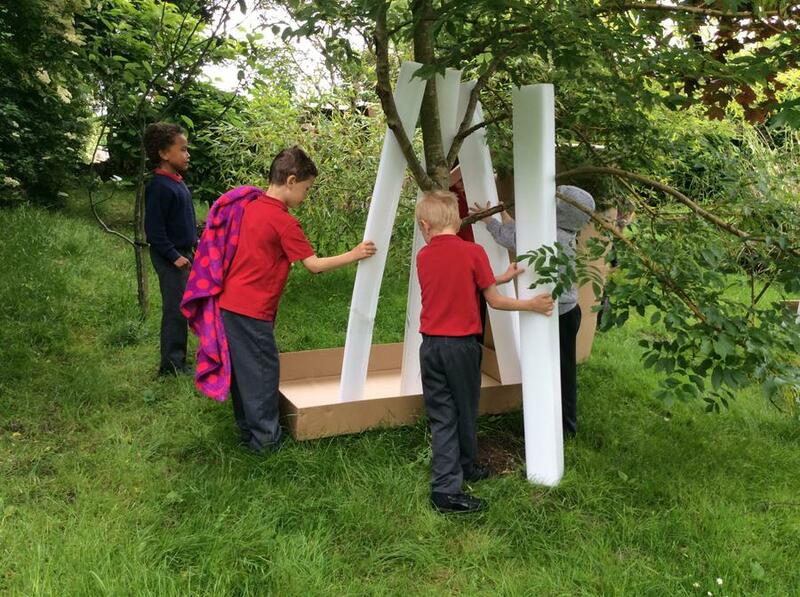 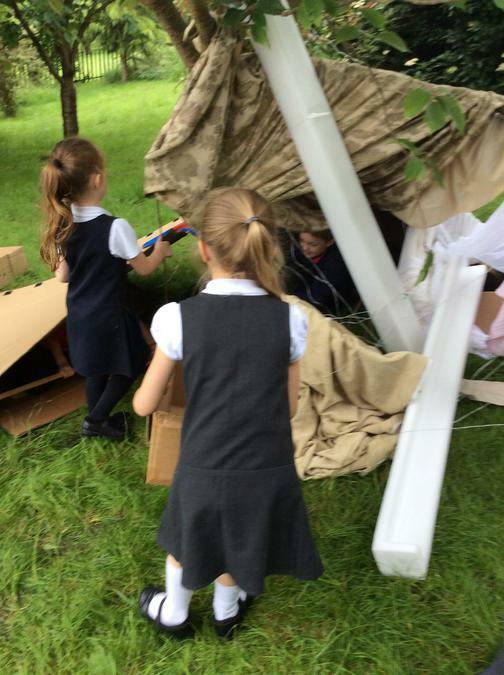 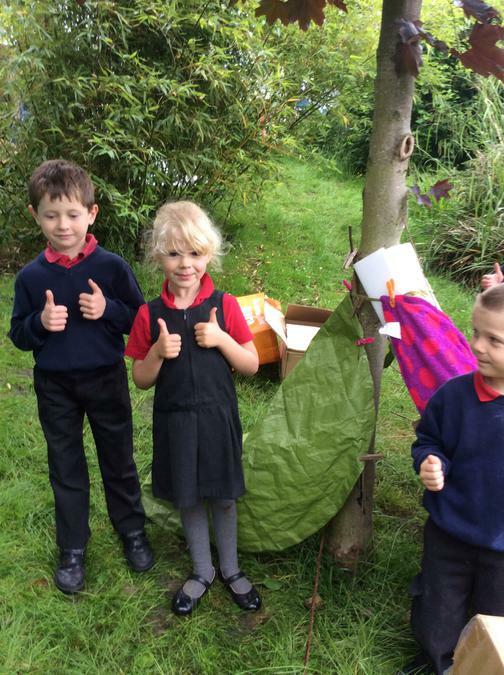 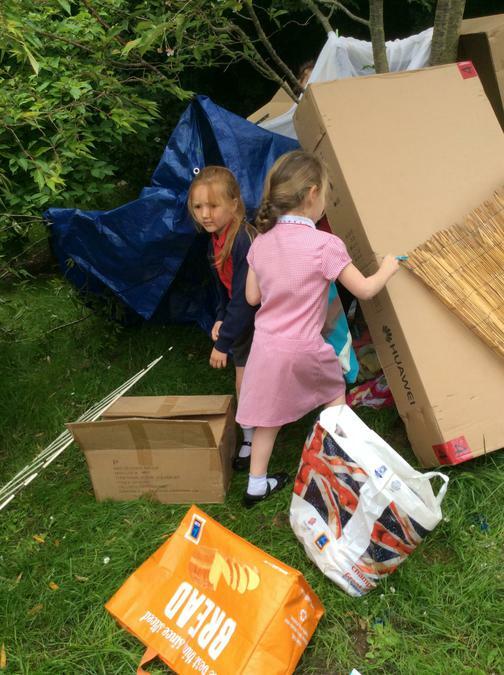 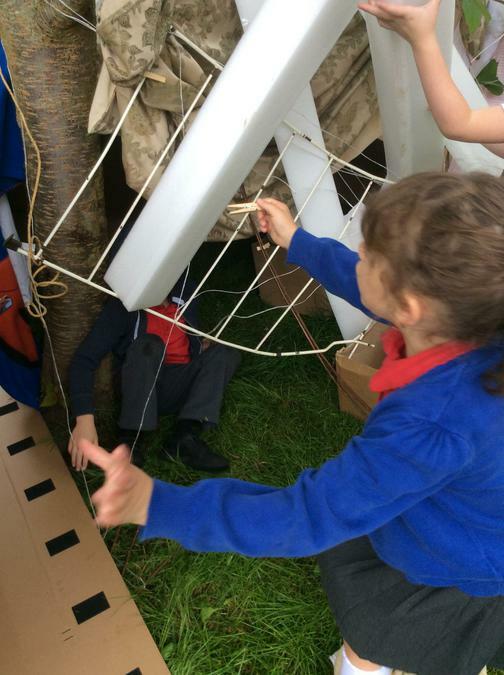 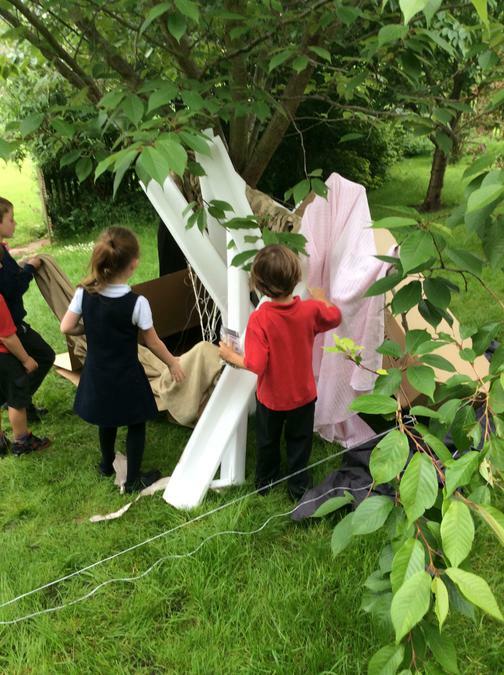 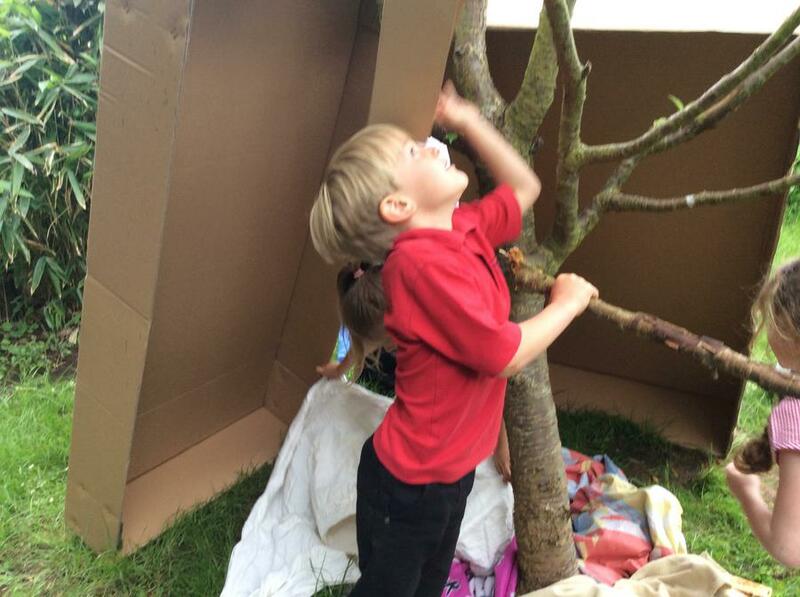 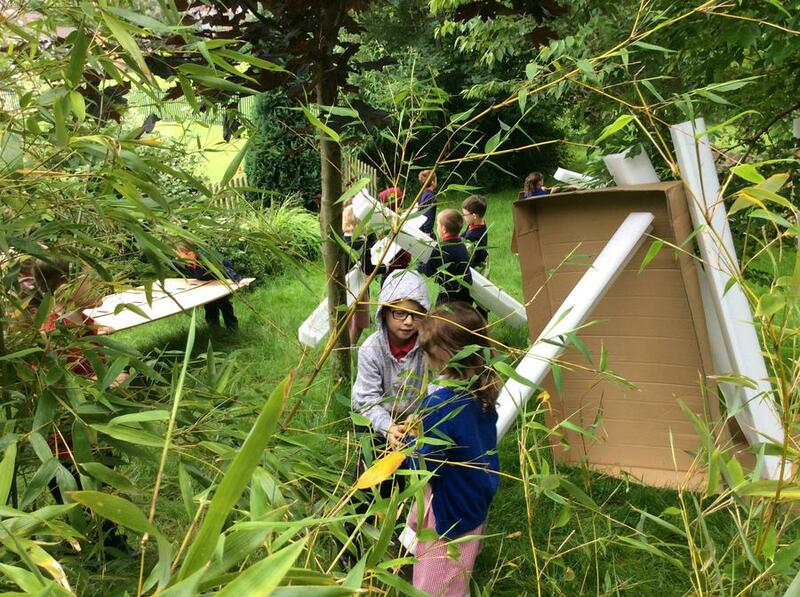 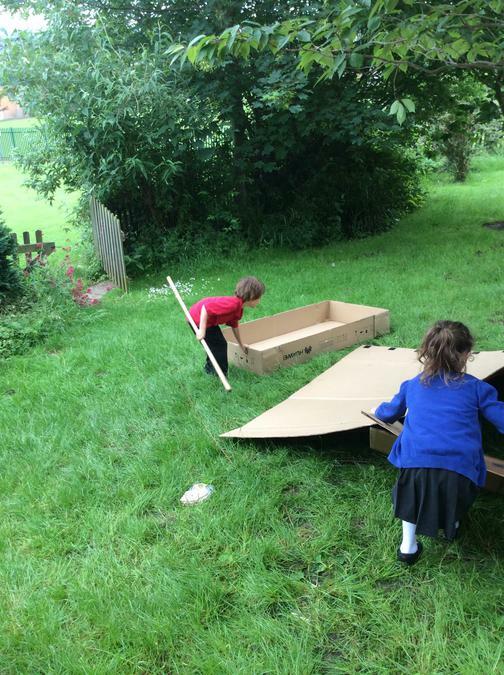 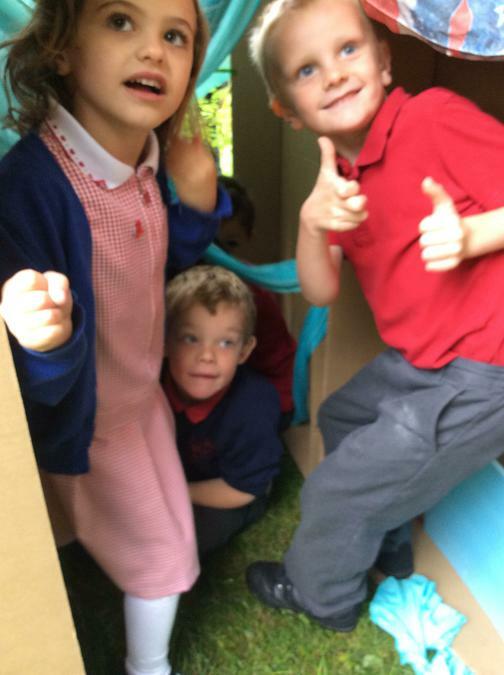 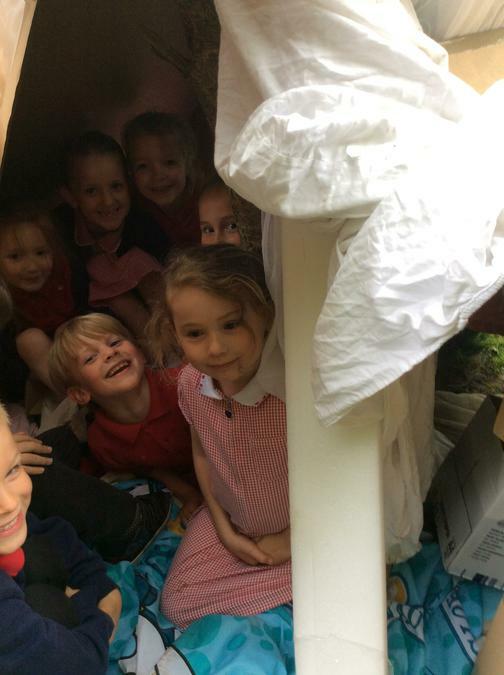 Look at the fantastic dens class 4 made as a team.